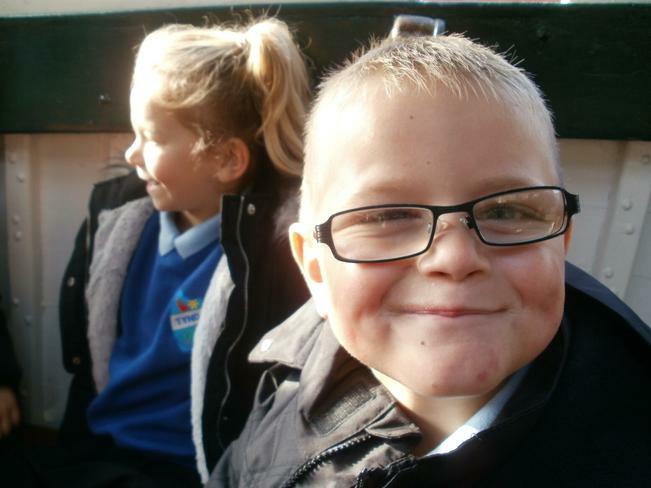 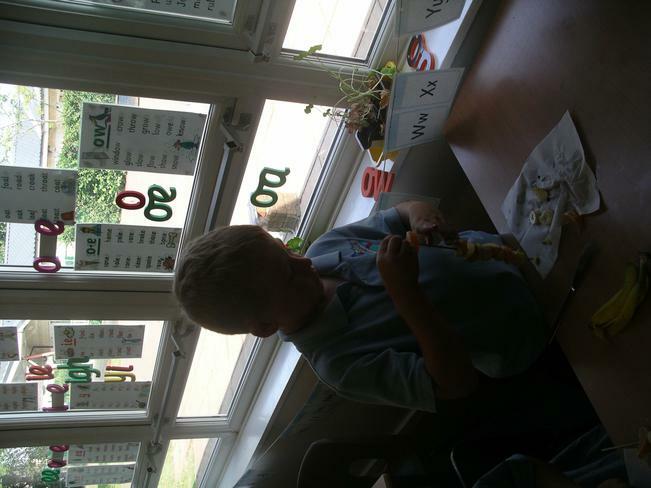 Wow - what a busy week we have had in Falcon class! 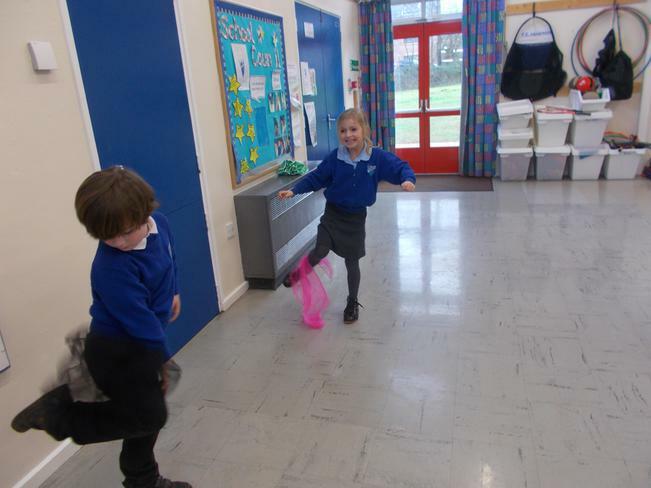 We have been busy doing lots of practice for sports day and getting even better at our race events. 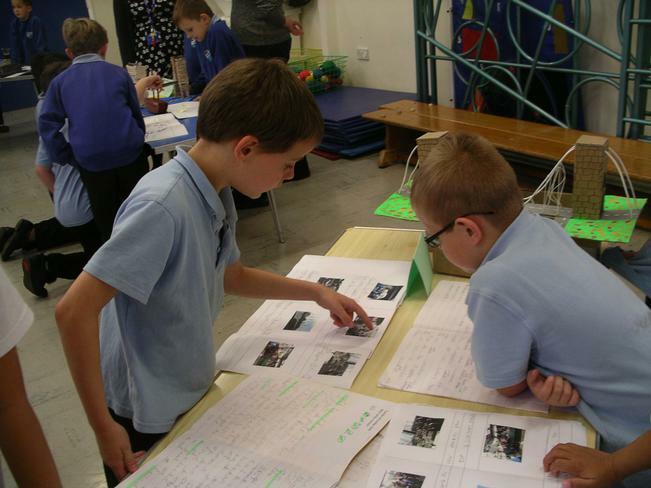 We then wrote a recount of sports day in our English books - we really enjoyed showing off our skills. 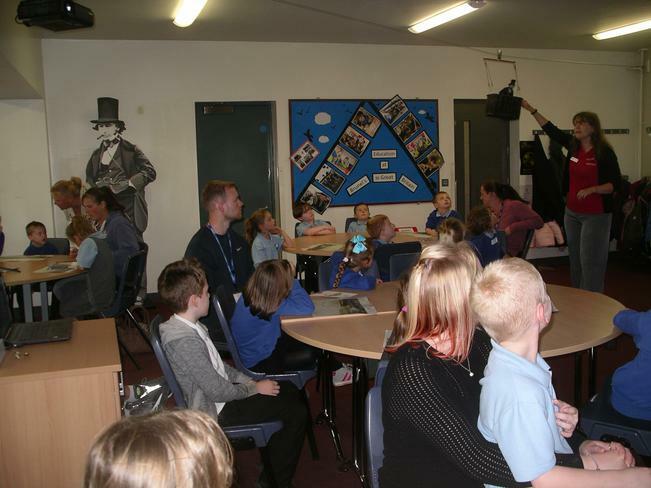 We hope you all enjoyed watching us. 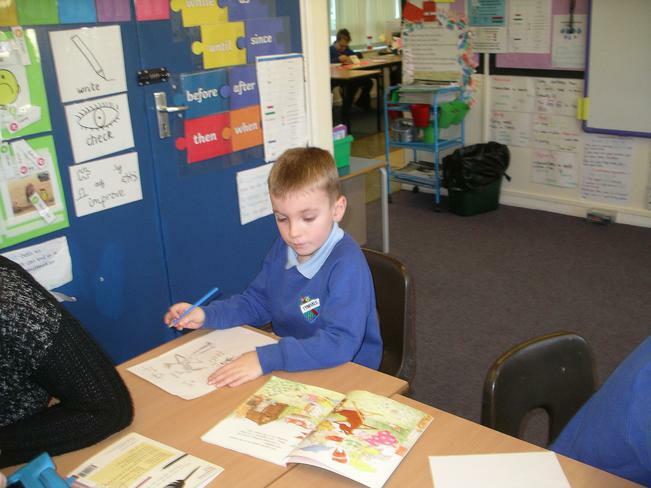 We have finished the book 'How To Find Gold' we made our own treasure maps for hidden treasure in school. 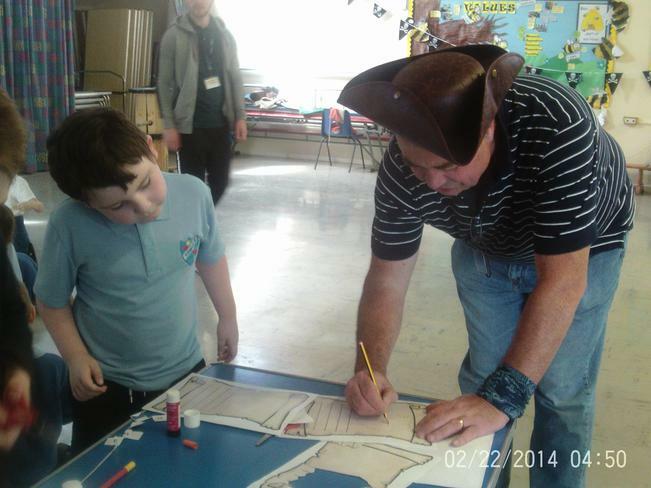 Afterwards we write instructions so anyone could have a go at creating their own treasure map. 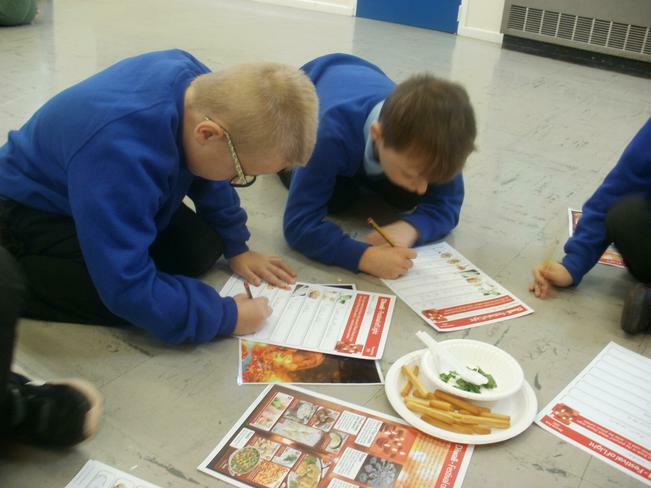 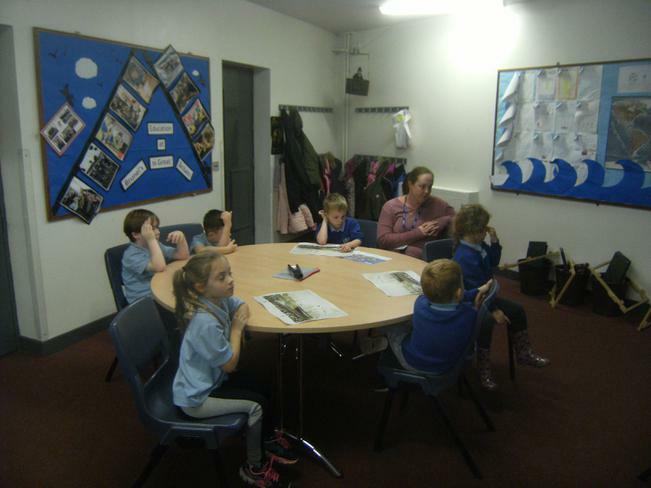 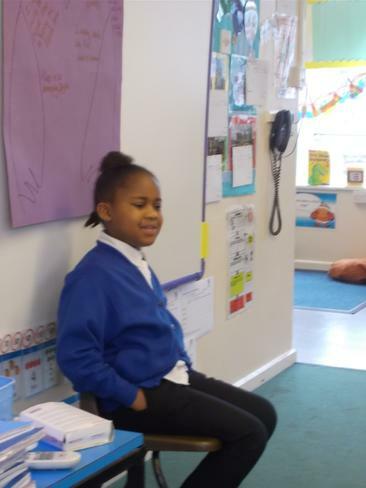 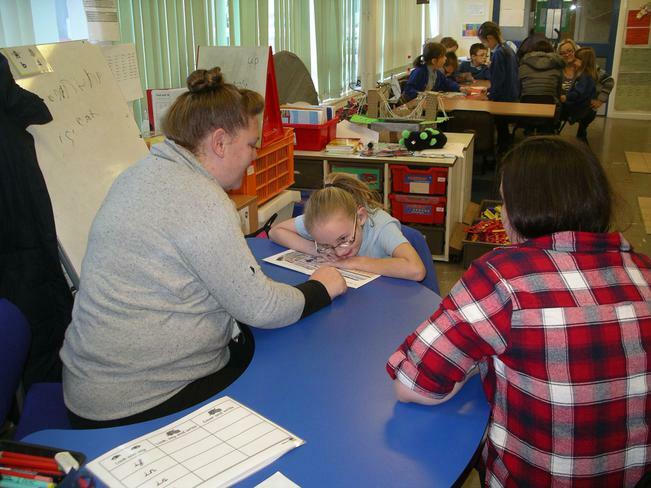 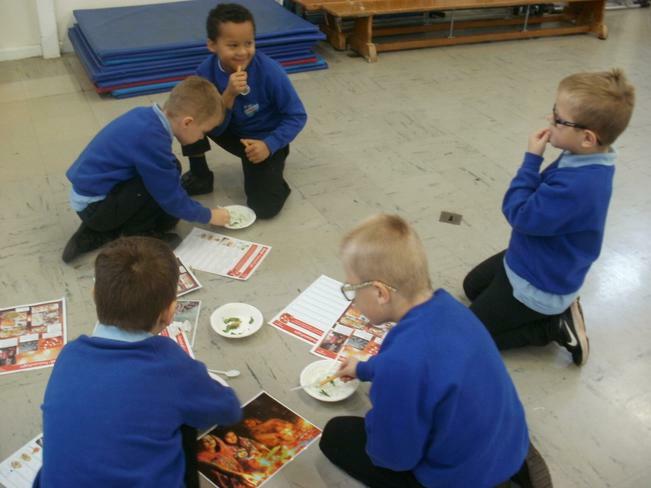 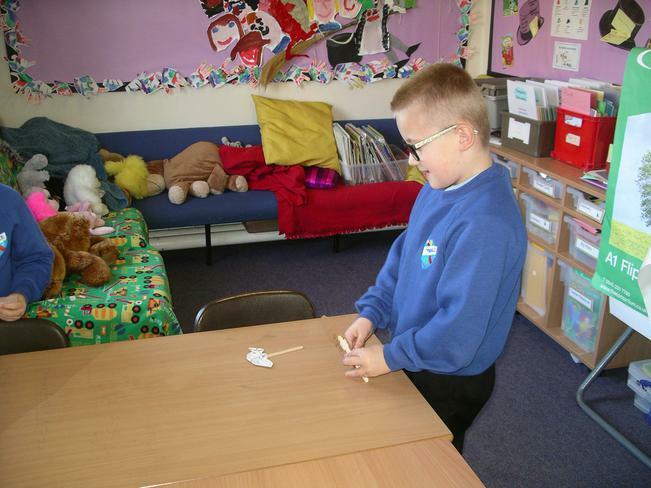 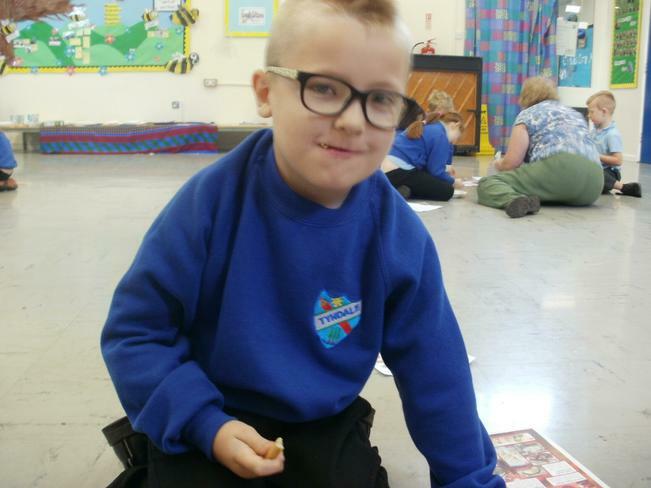 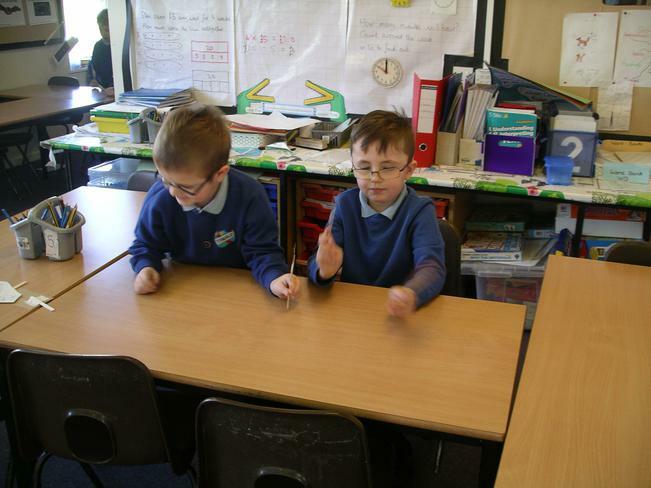 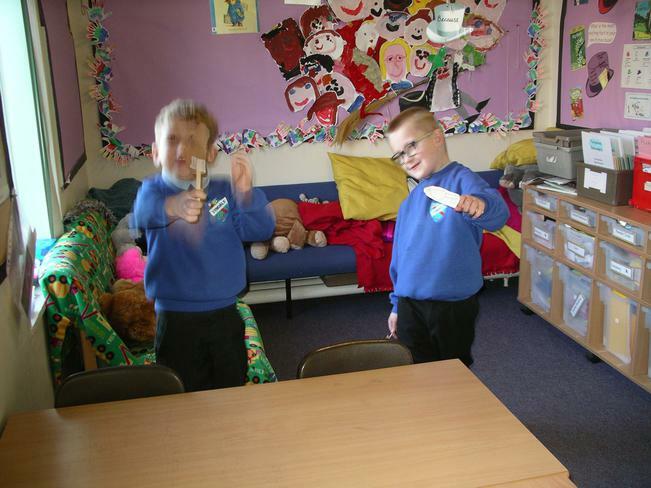 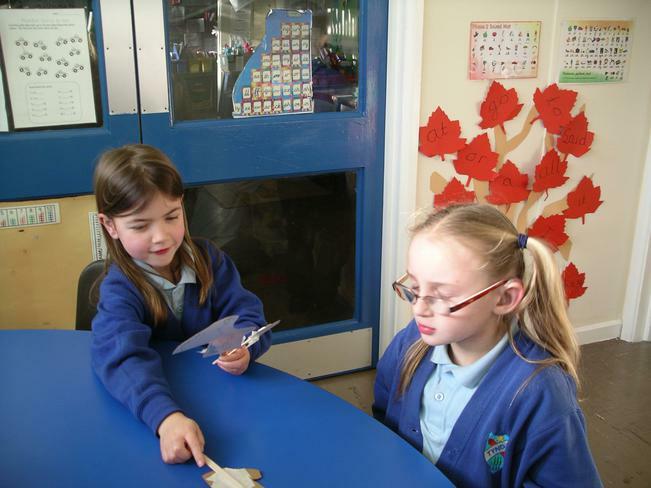 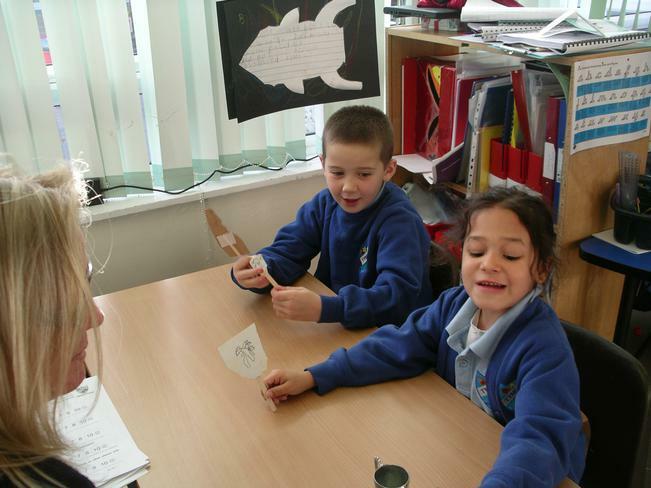 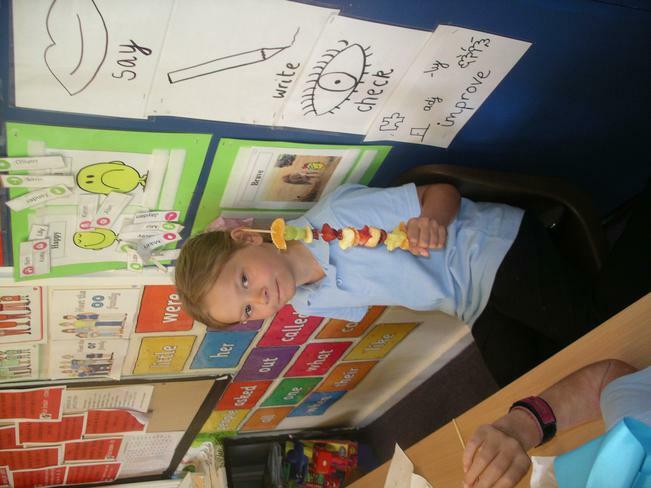 This week, Falcon class have been impressing Miss Roberts, who has been teaching them whilst Mrs Newell is absent. 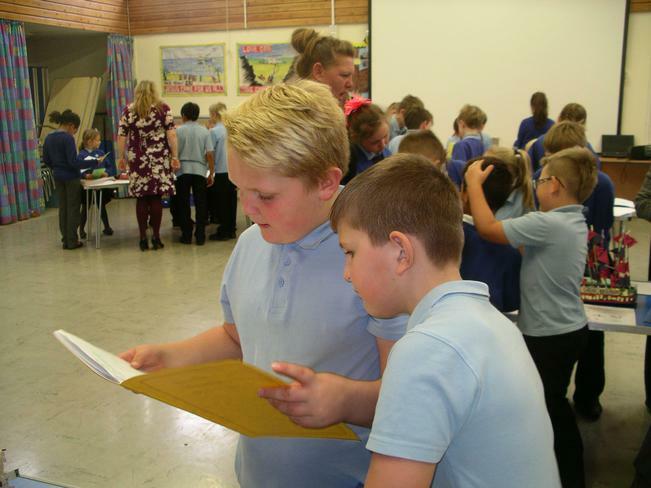 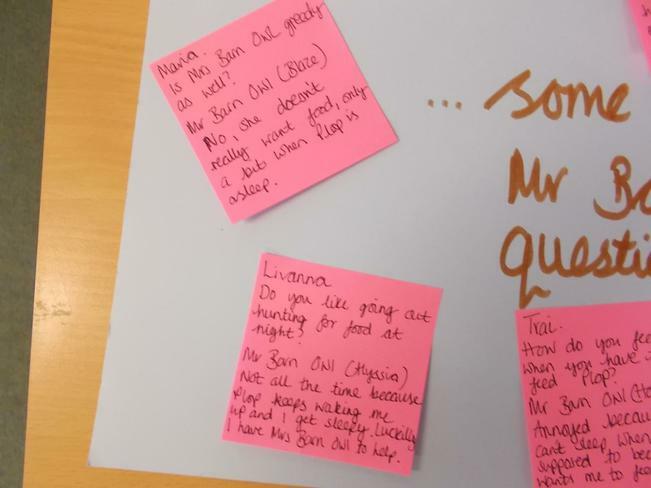 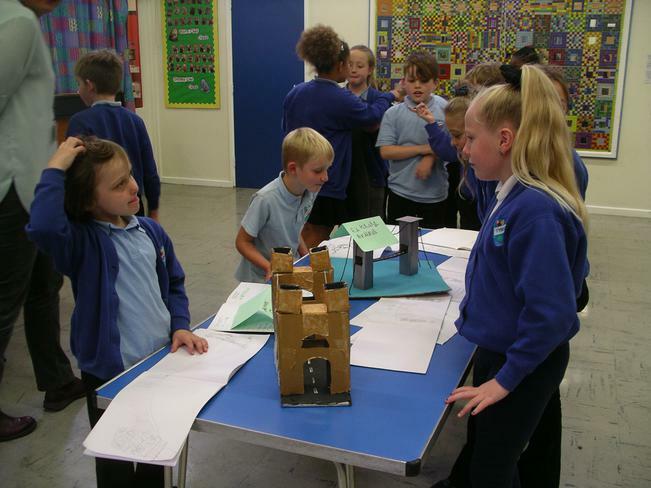 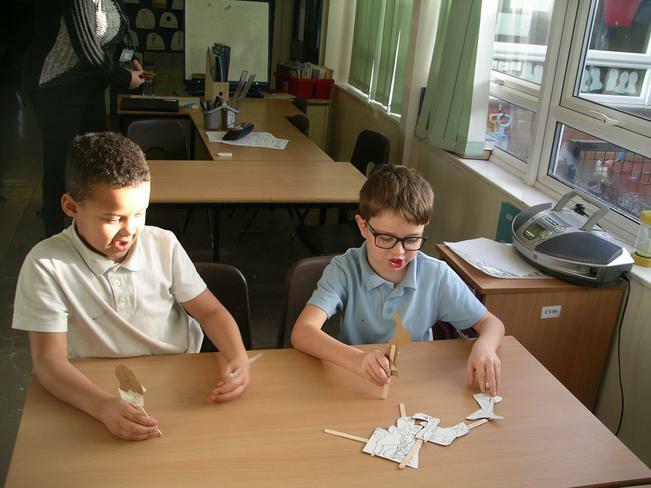 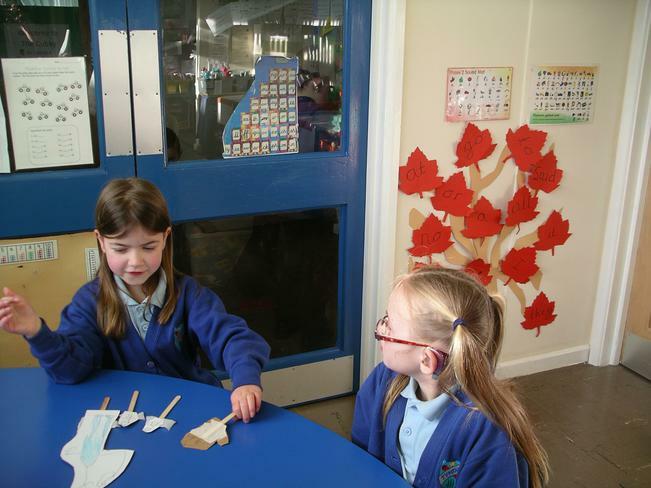 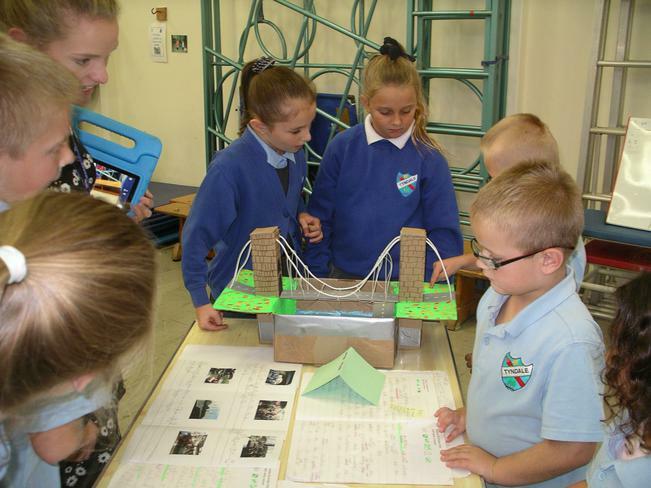 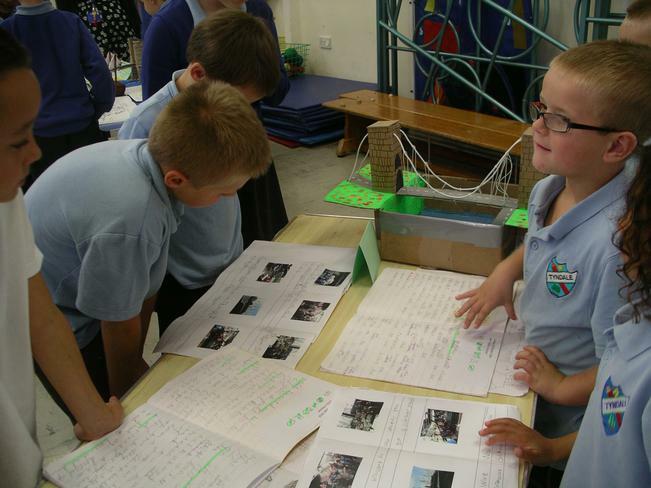 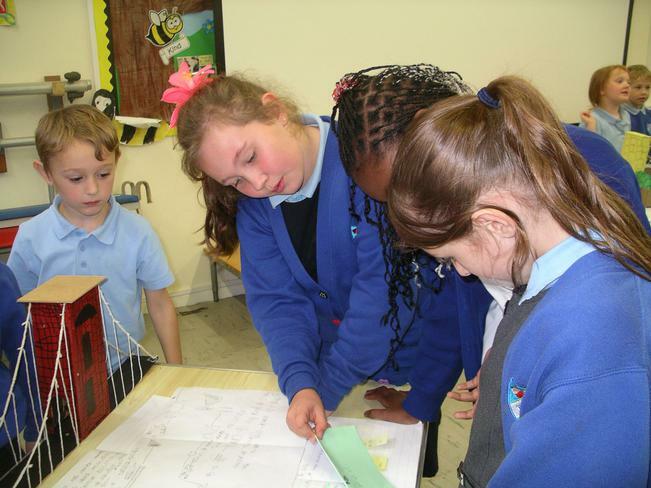 The children have been very busy thinking about their learning over the last year for their school report comments and have been consolidating lots of maths knowledge to help them fly when they move into Year 3. 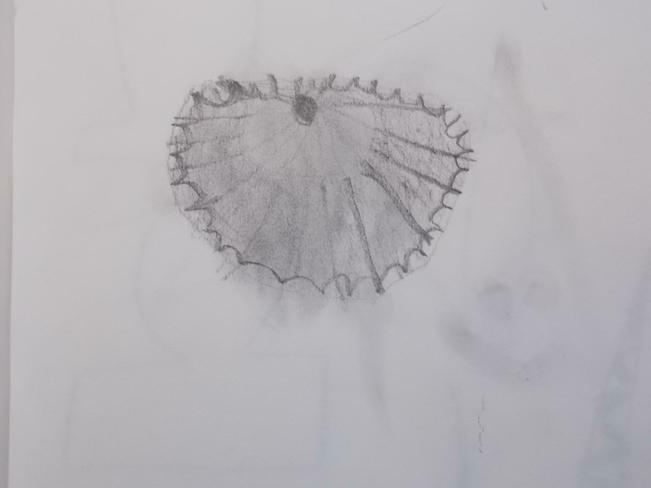 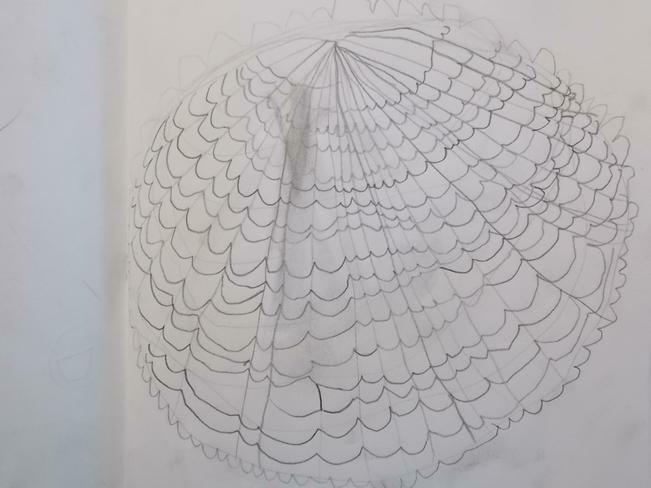 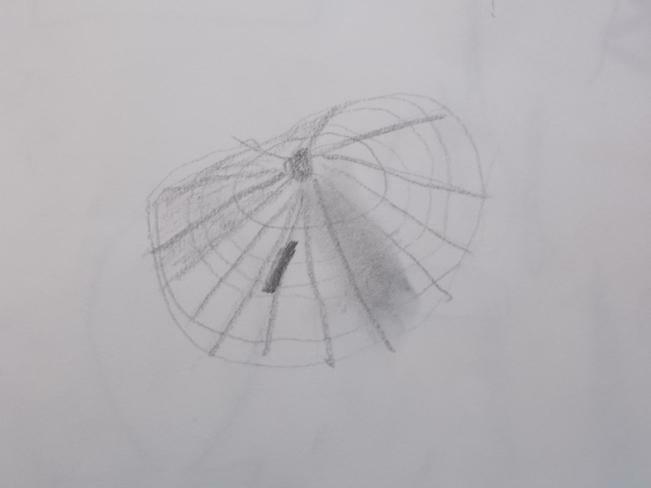 In art they have continued practising their pencil control and have been using their observational skills to sketch some shells. 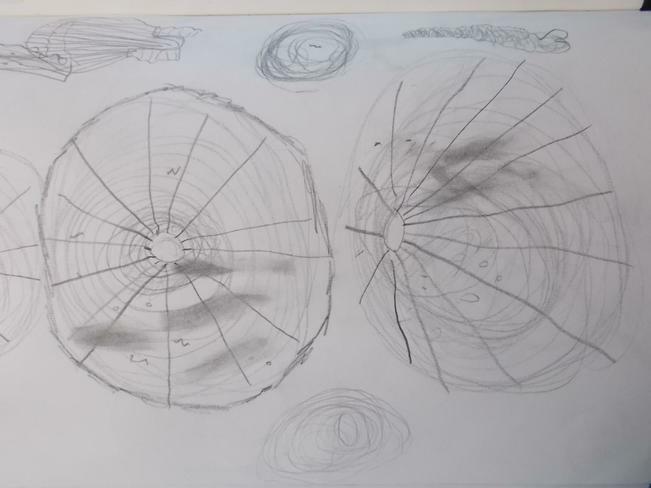 They have been using different ways of mark making to create different effects and smudging to create texture and shadow in their pictures. 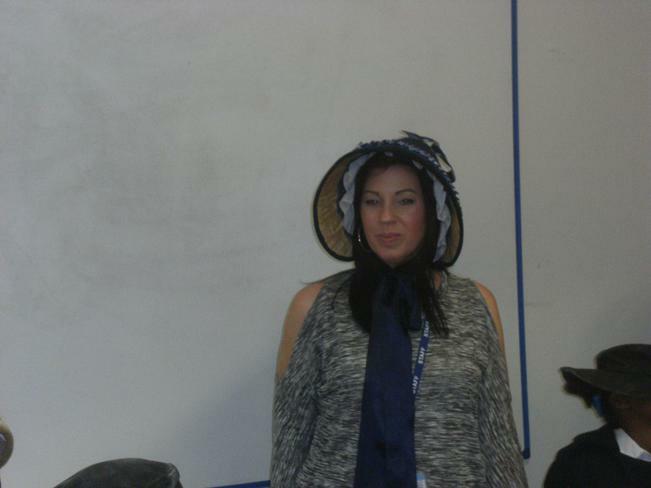 I (Miss Bisset), would like to thank Year 2 for being such an amazing class this week. 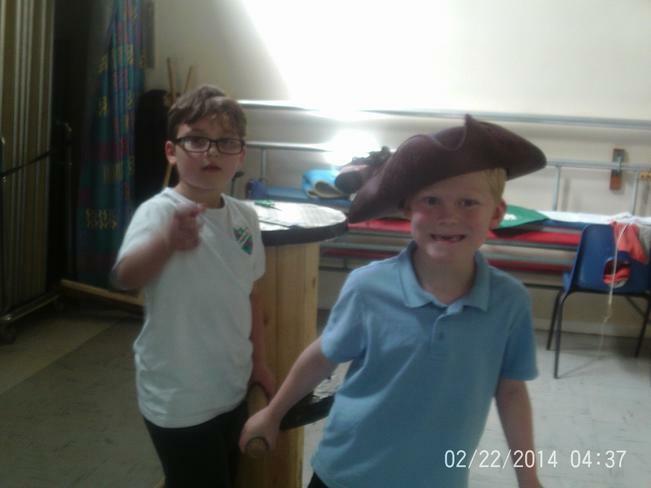 We started the week by hunting for gold, and found treasure in the pirate ship. 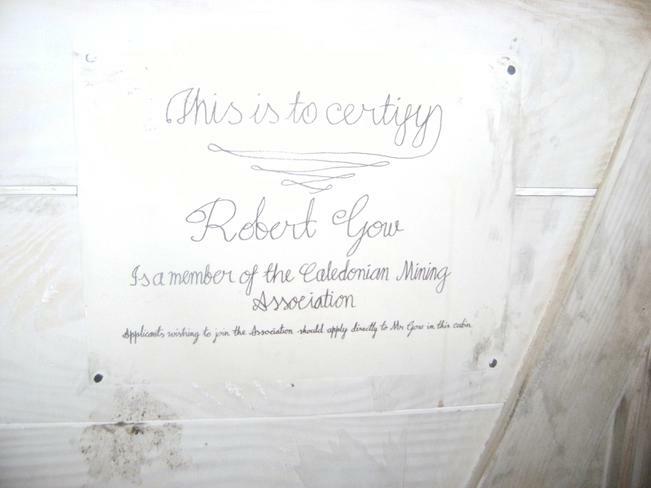 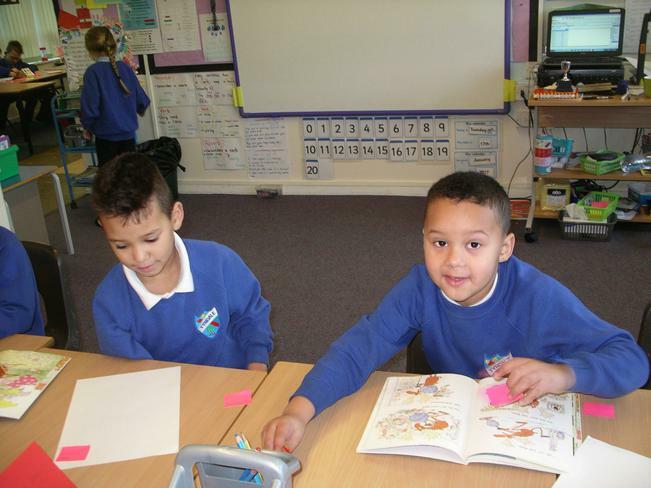 We found the book How to Find Gold and have been writing our own versions. 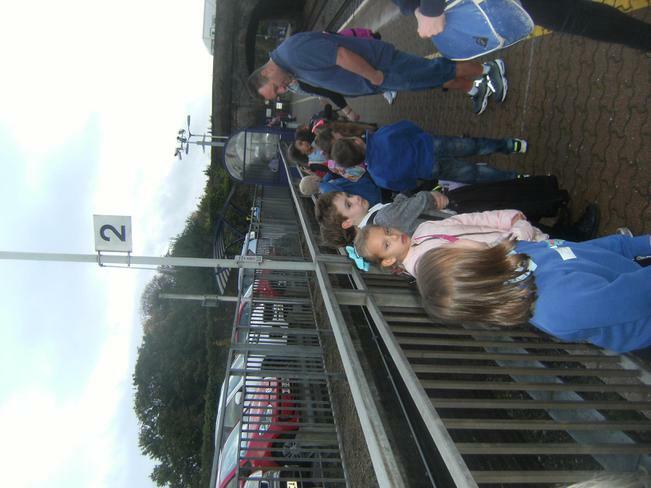 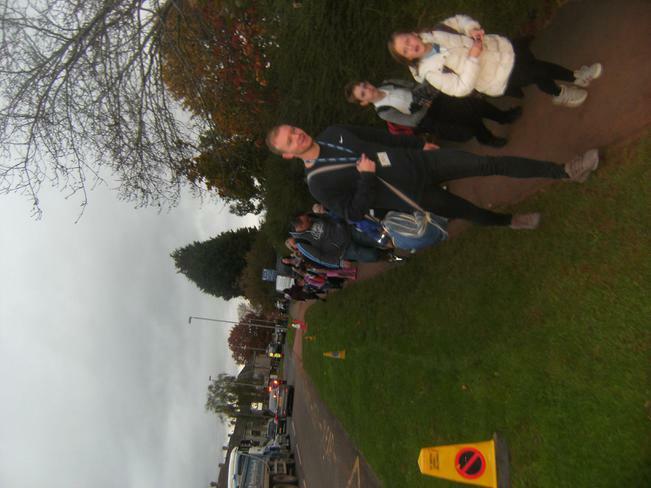 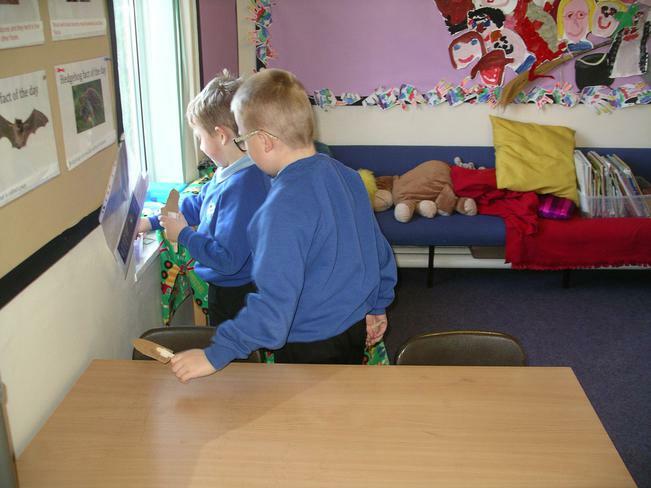 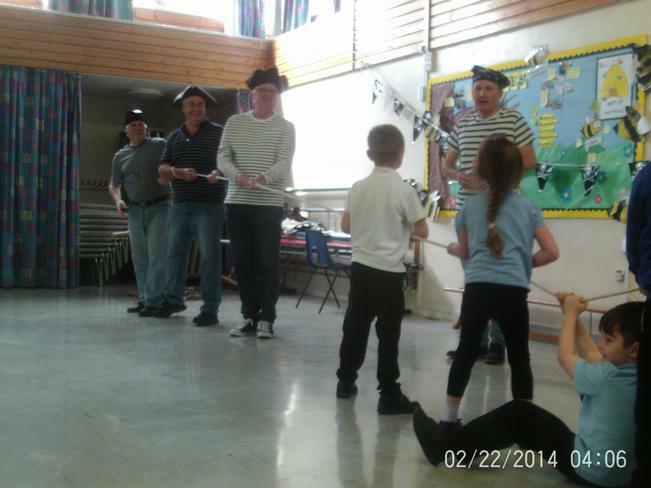 Here they are on the treasure hunt. 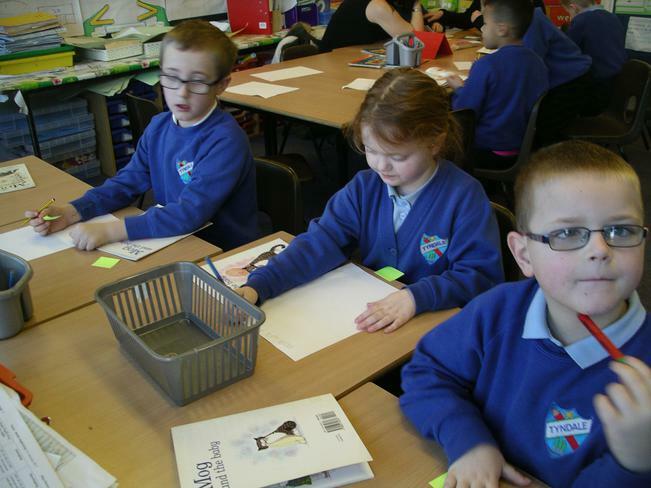 Year 2 have been very busy writing this week. 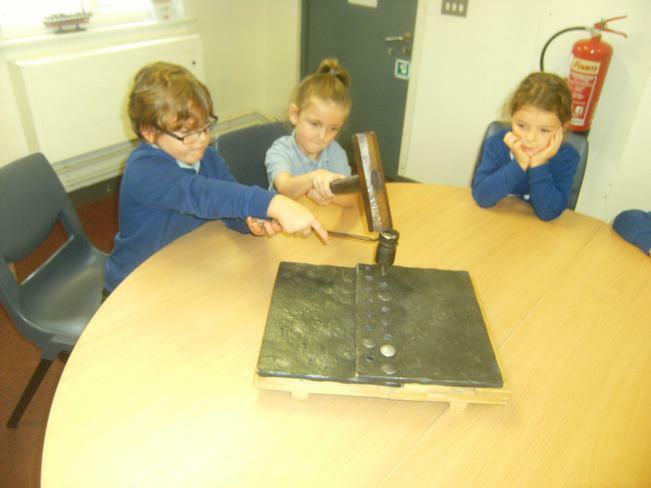 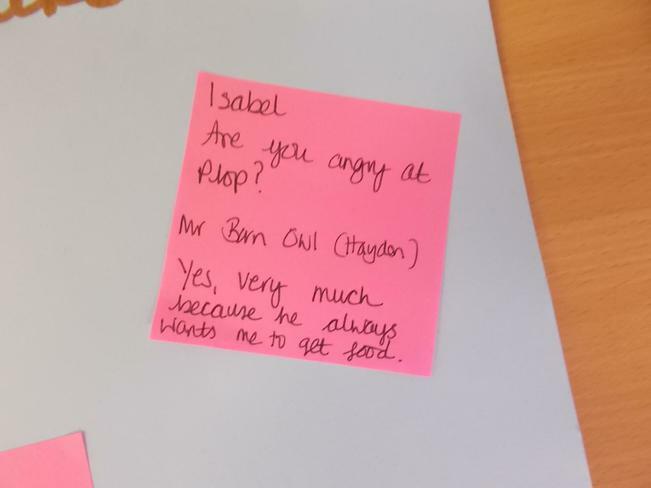 Today they really impressed Mrs Harris. 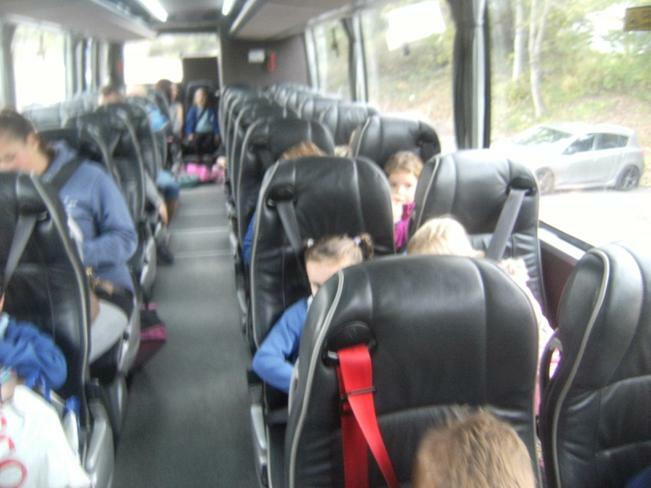 Before lunch they were all writing setting descriptions really quietly. 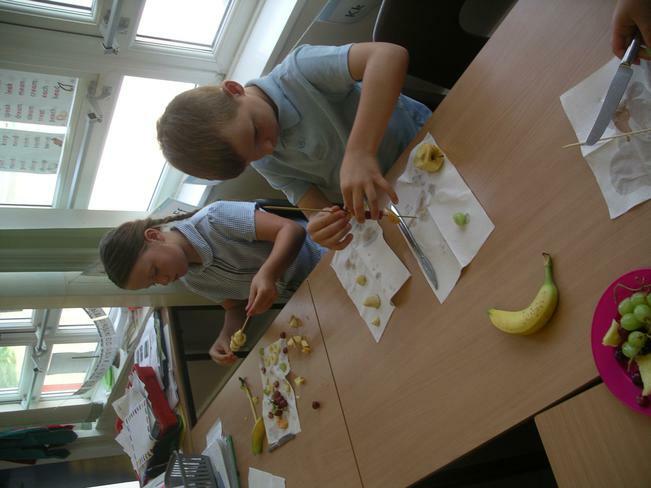 Look how hard they were working! 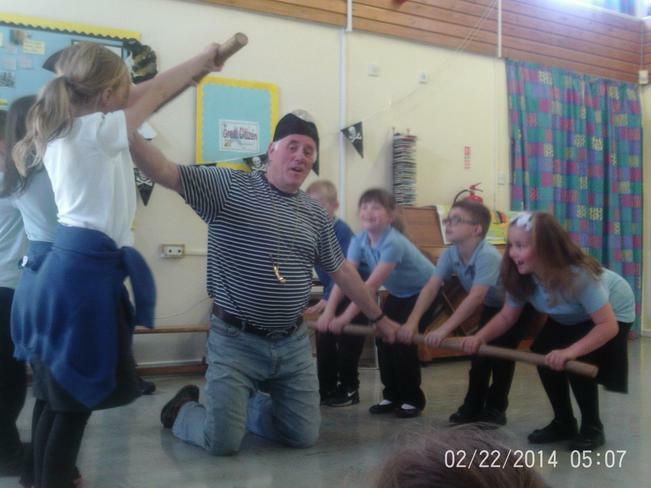 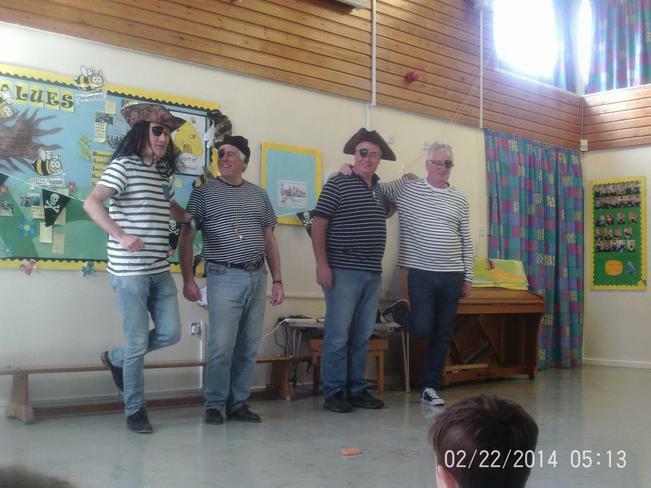 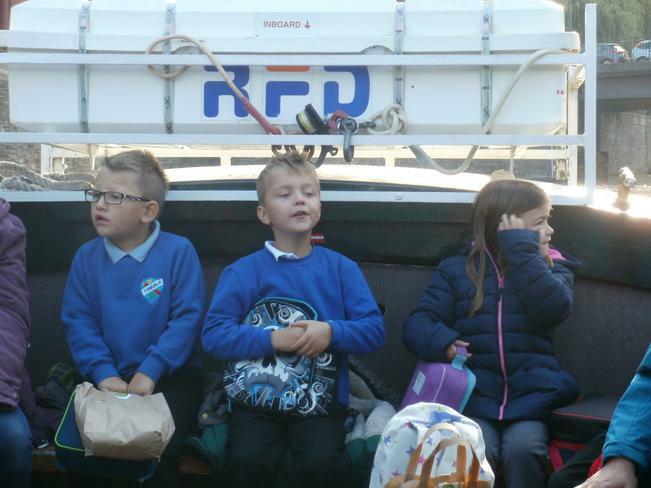 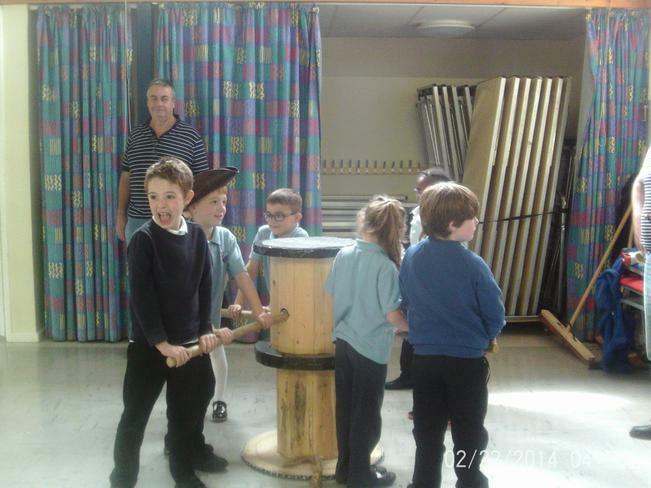 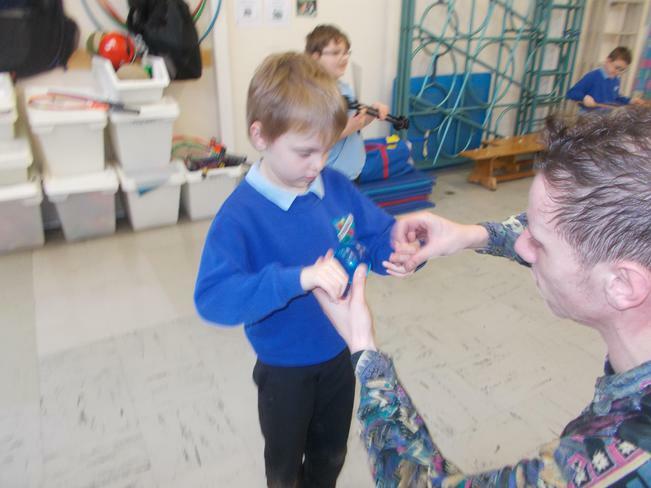 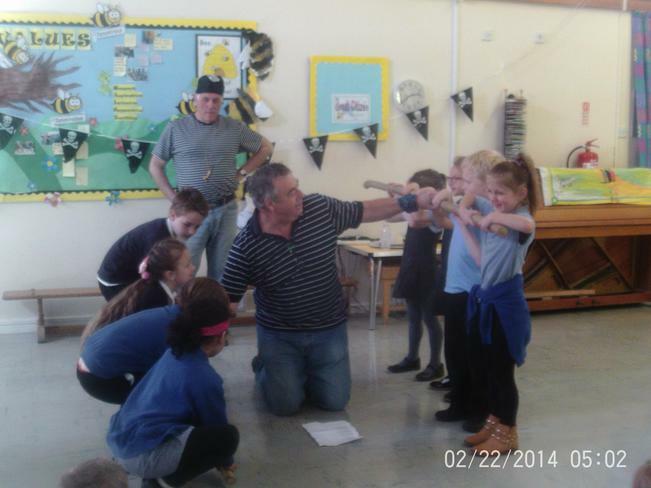 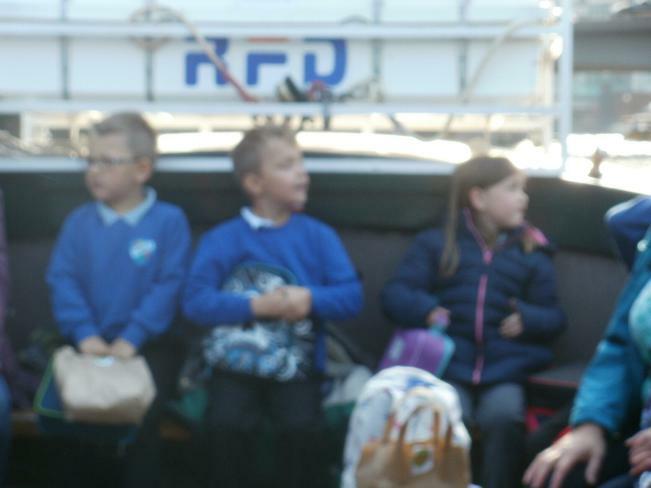 Our Year 2 children enjoyed a visit from the Frampton Shanty Men. 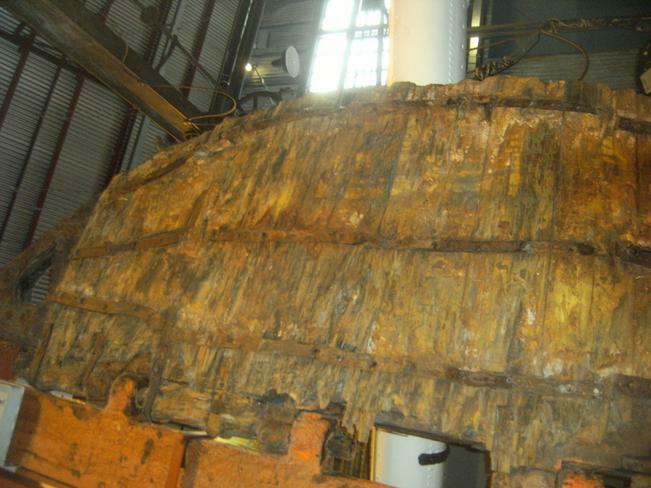 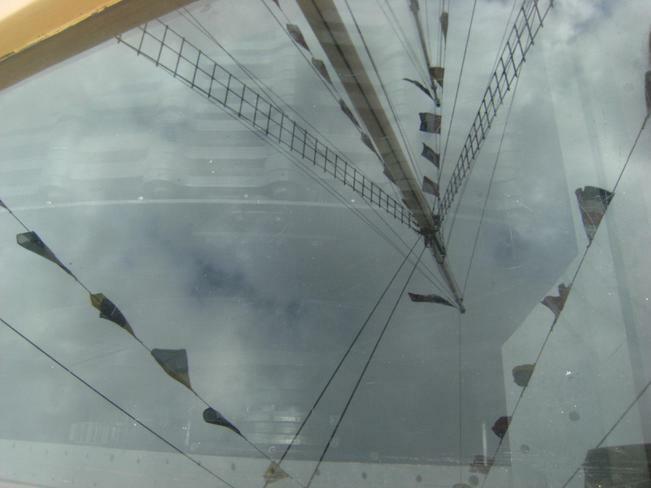 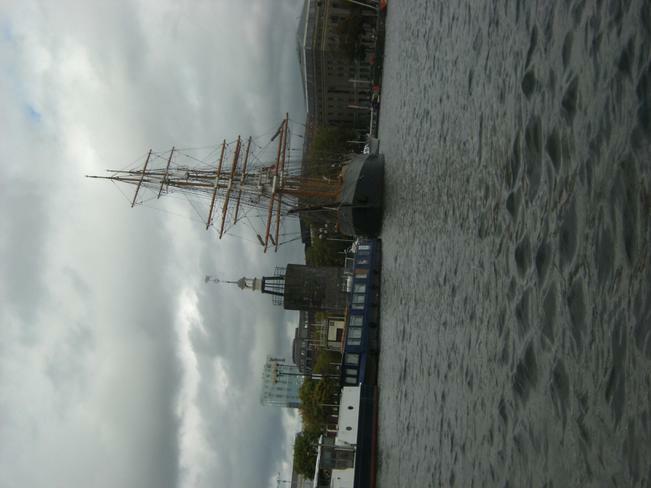 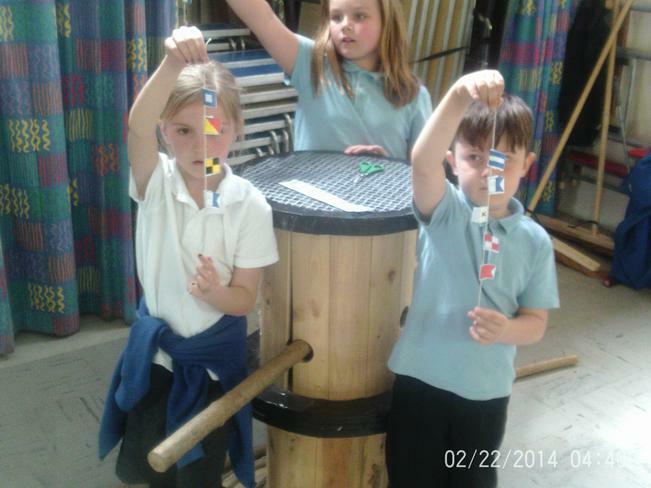 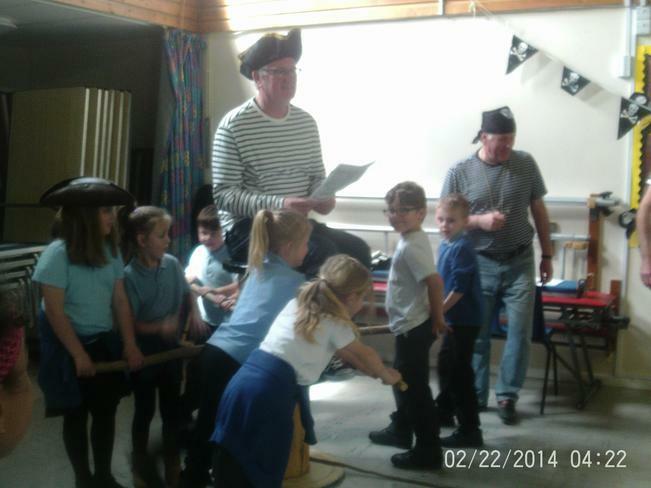 They used signal flags to make their names, learnt pirate songs and turned the capstone to bring in the anchor. 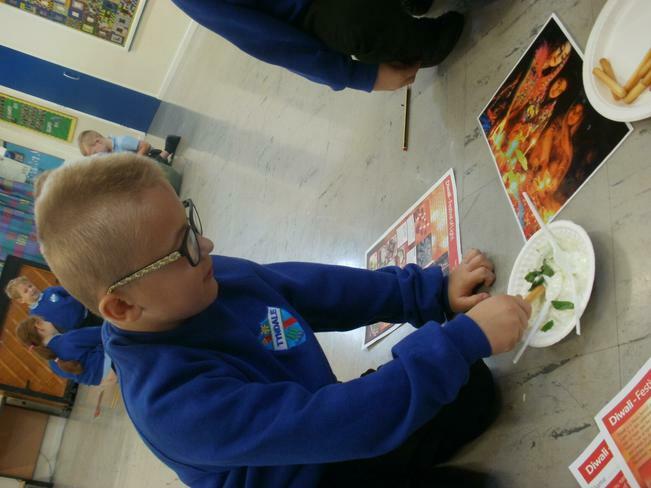 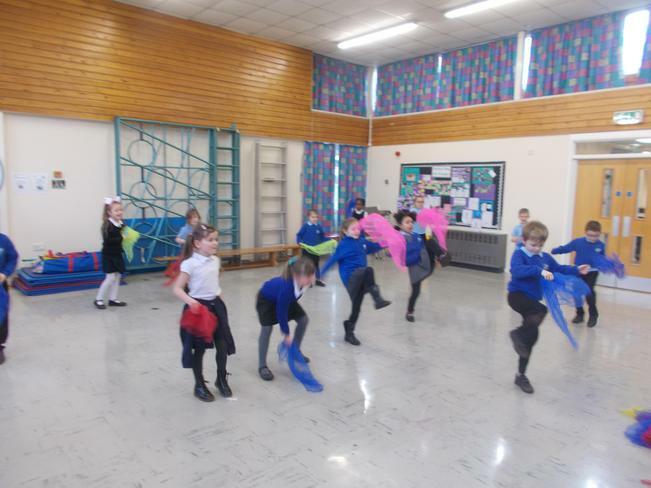 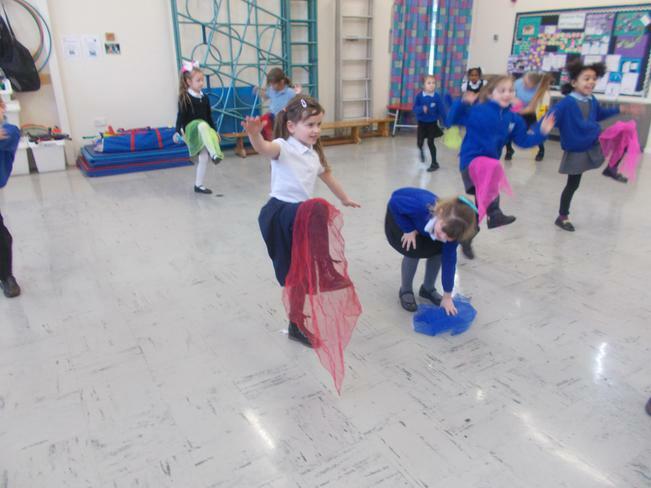 Term 4 highlights part 2: The children enjoyed learning Bollywood moves in our Indian Dance session as part of our Fab Fun Fridays! 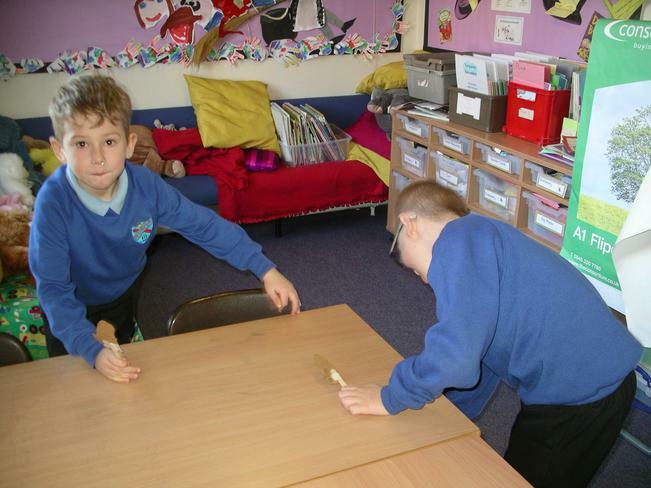 Term 4 highlights part 1: The children were busy building a new house for The Troll - it will keep him from hiding under the bridge and scaring unsuspecting goats! 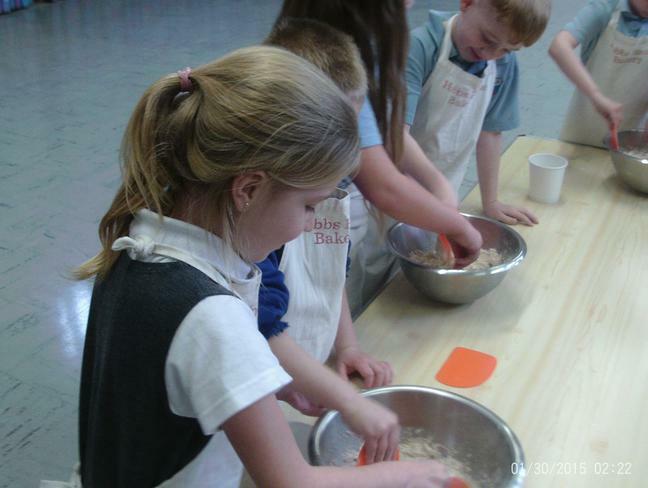 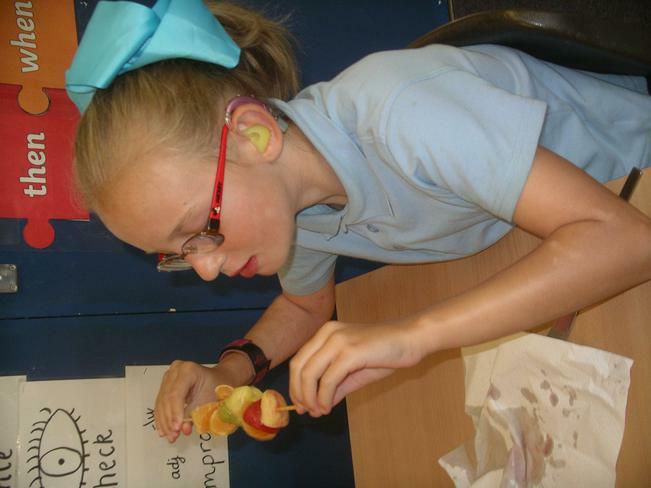 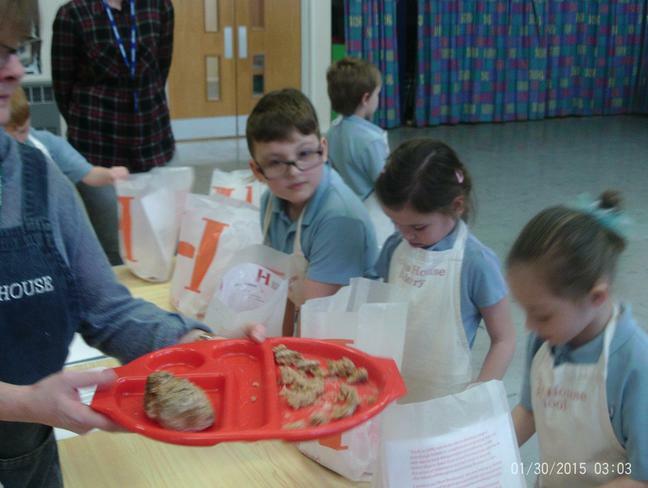 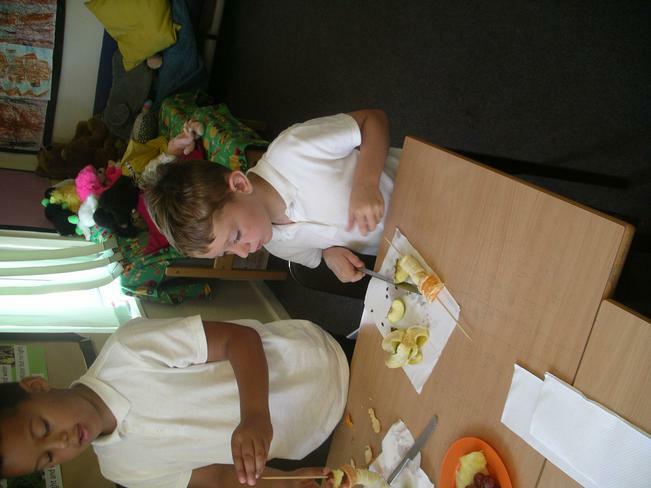 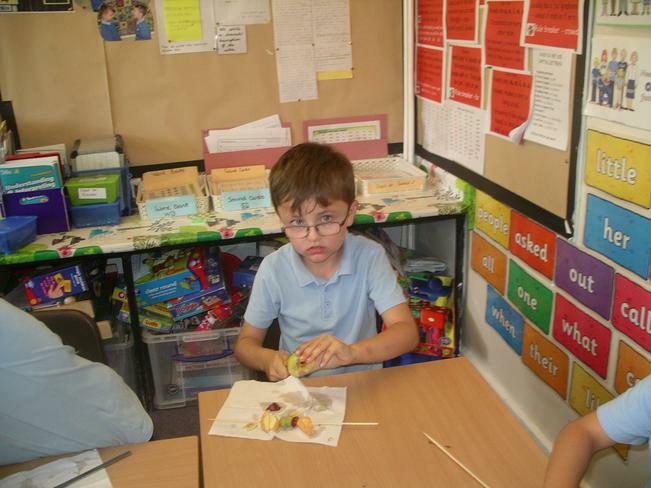 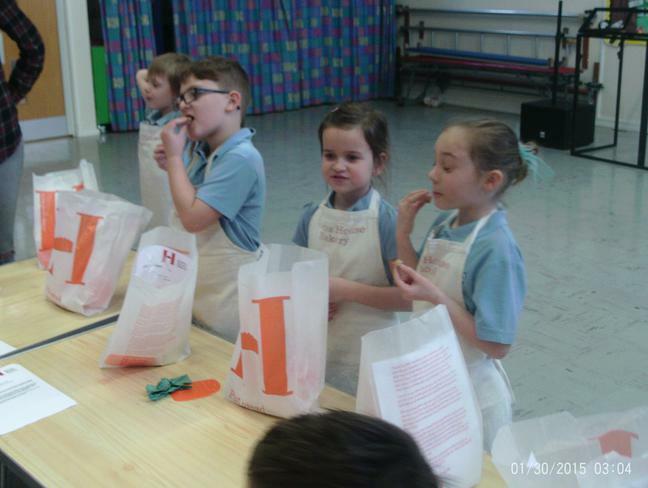 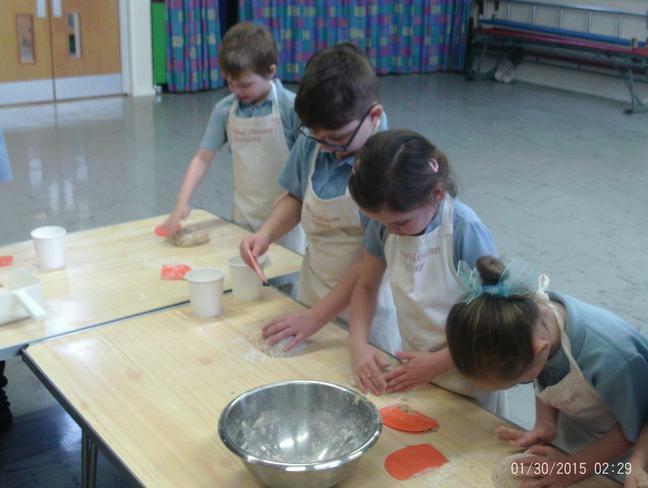 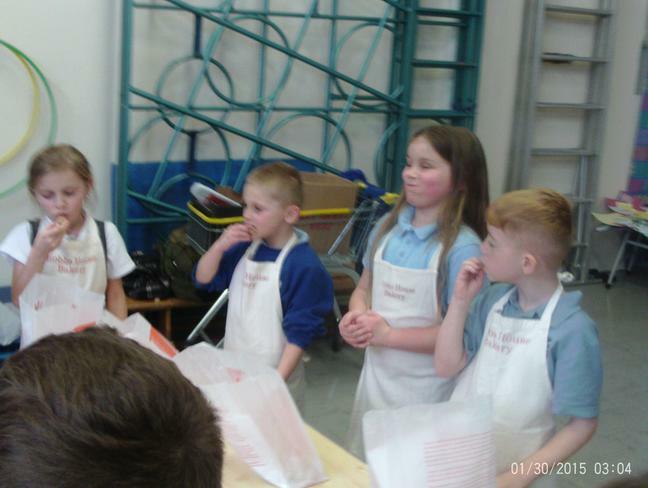 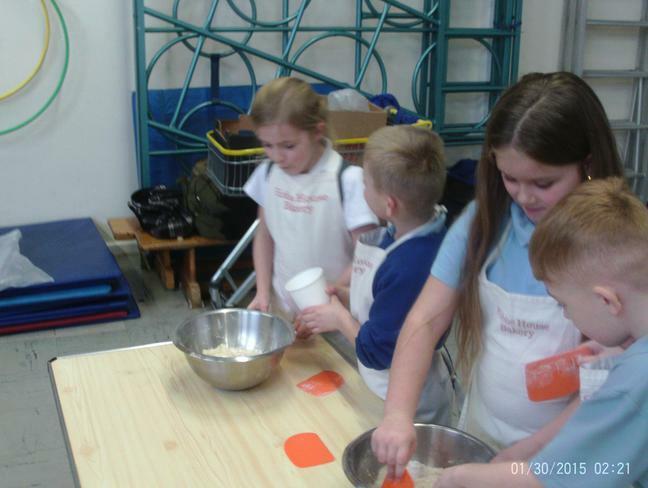 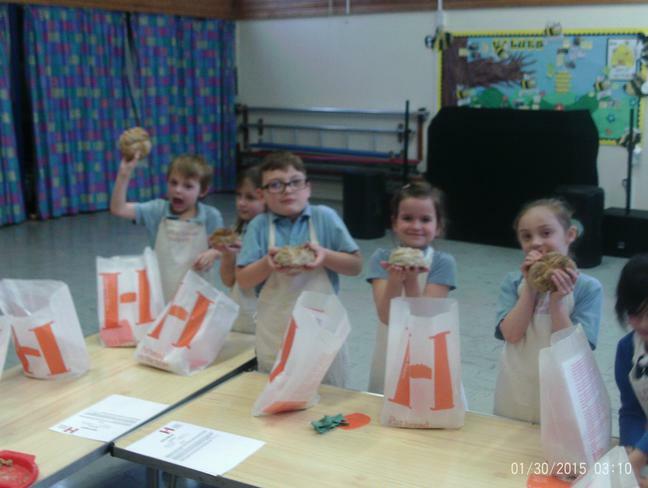 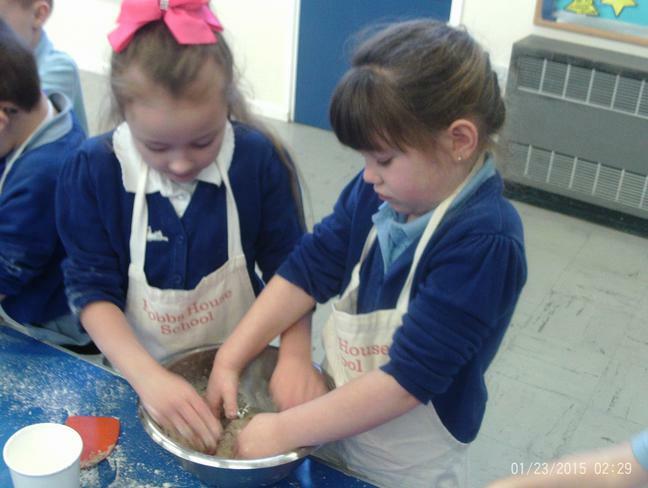 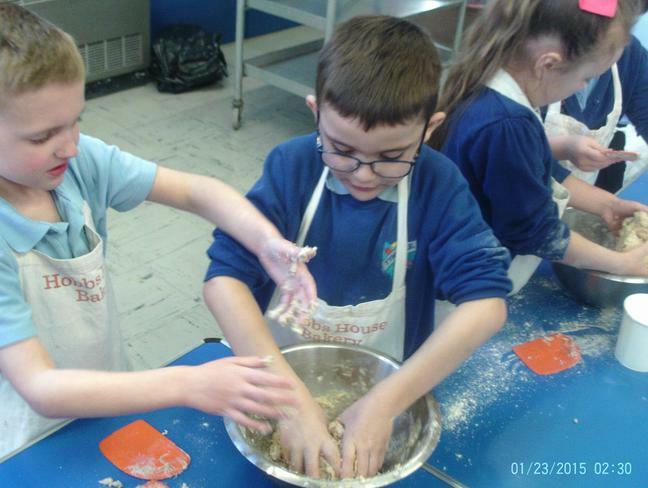 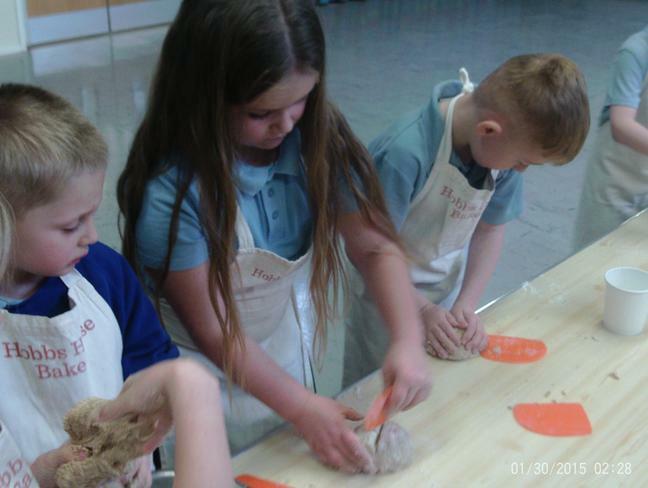 Falcon class enjoyed making, baking and eating bread. 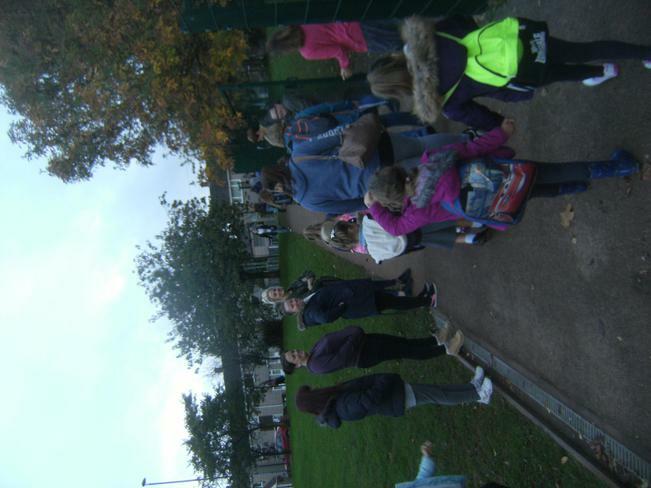 Roll up...roll up! 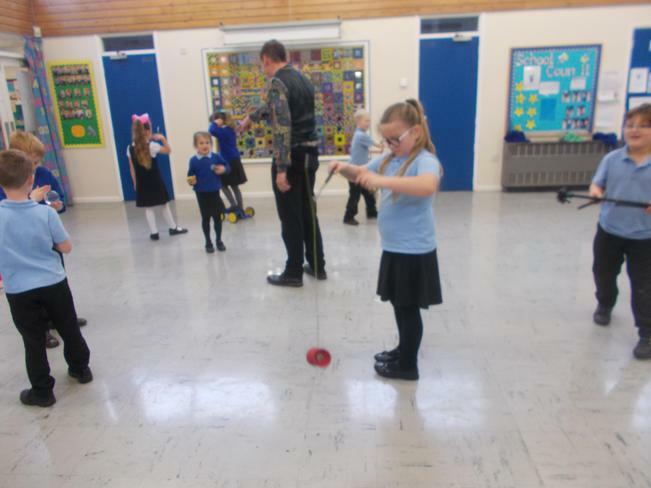 The circus came to town for Falcon class today. 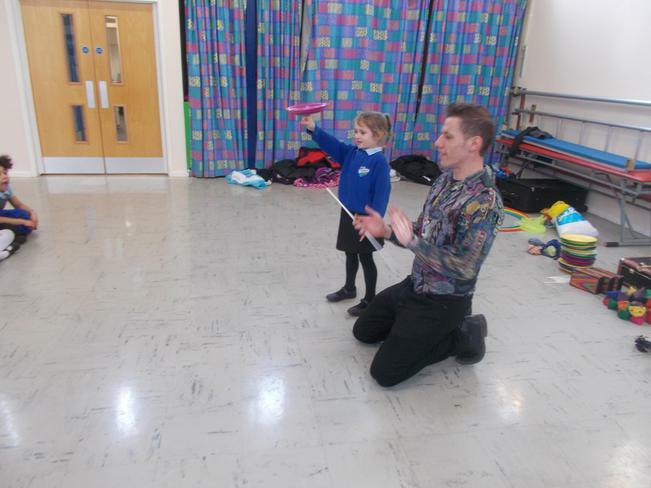 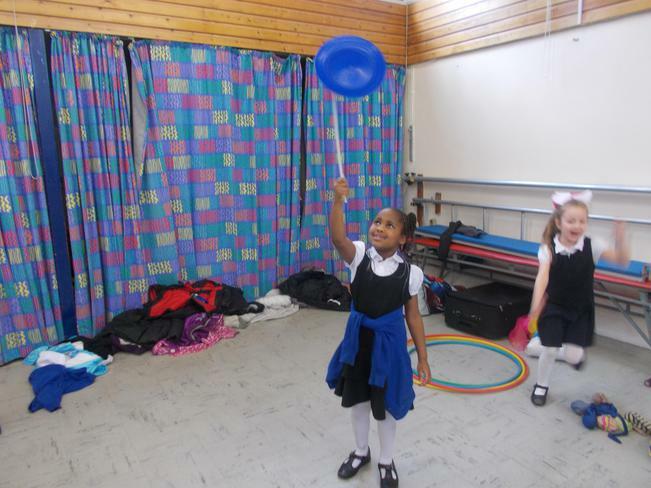 They spent the afternoon with Alex learning how to juggle, balance, spin and twirl. 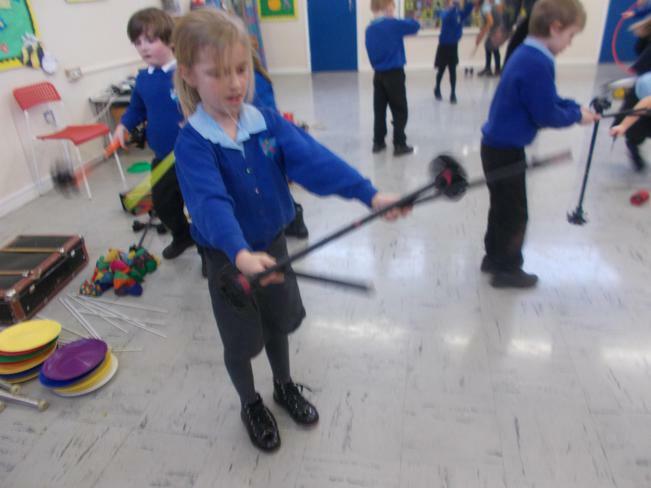 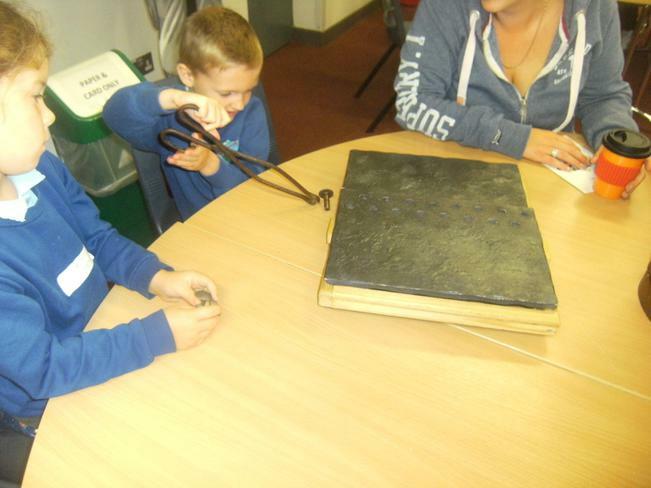 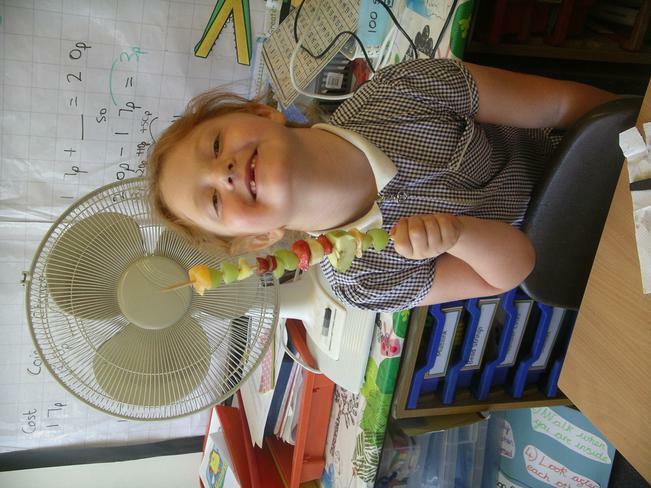 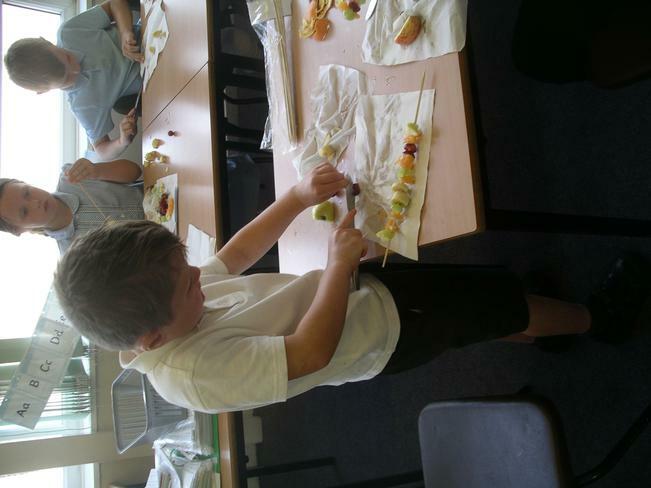 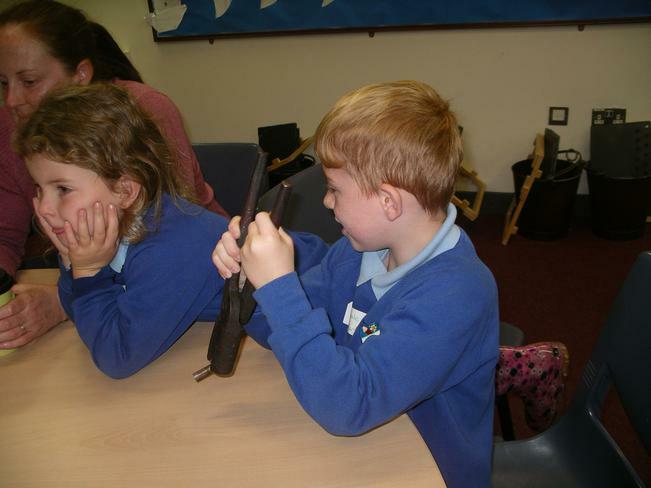 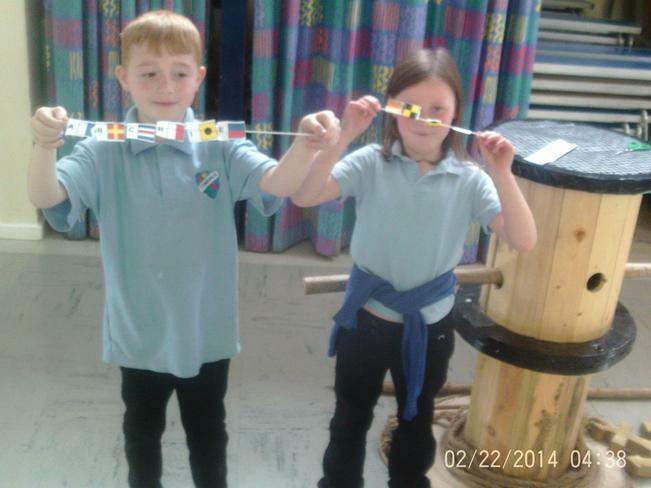 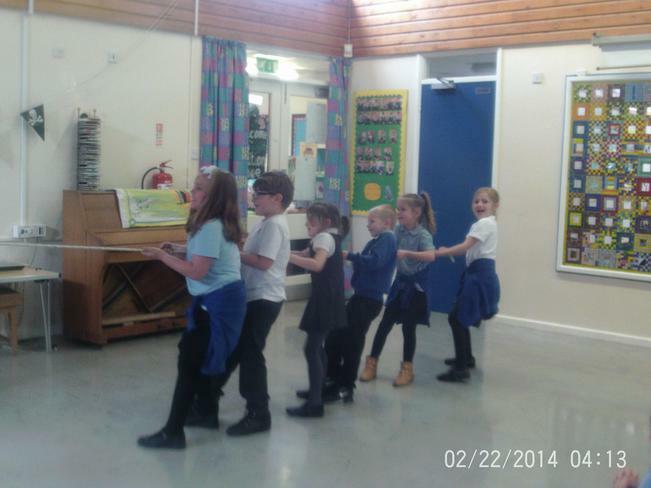 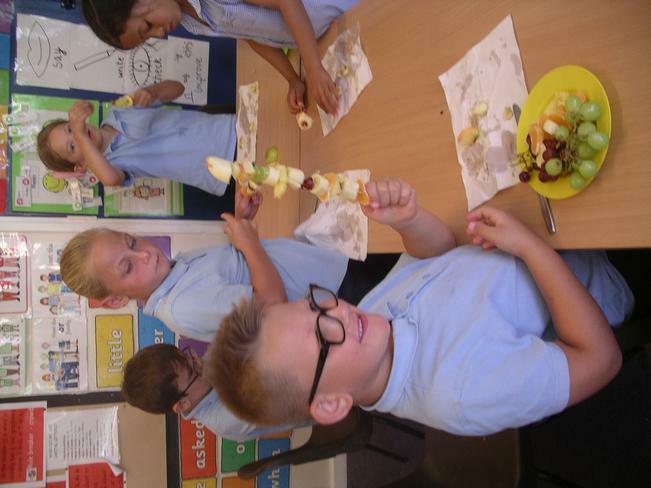 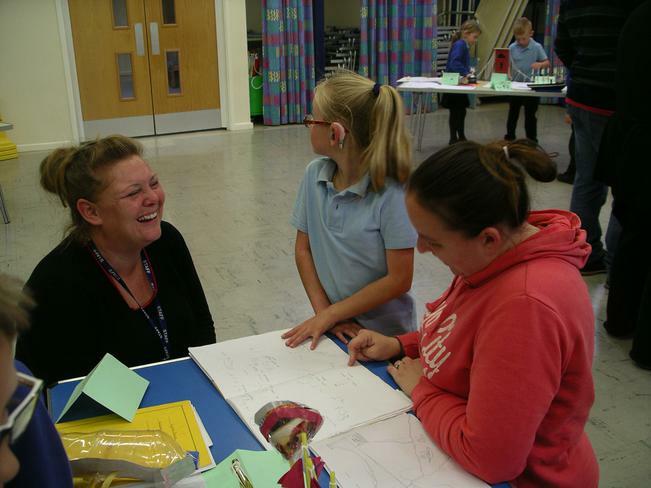 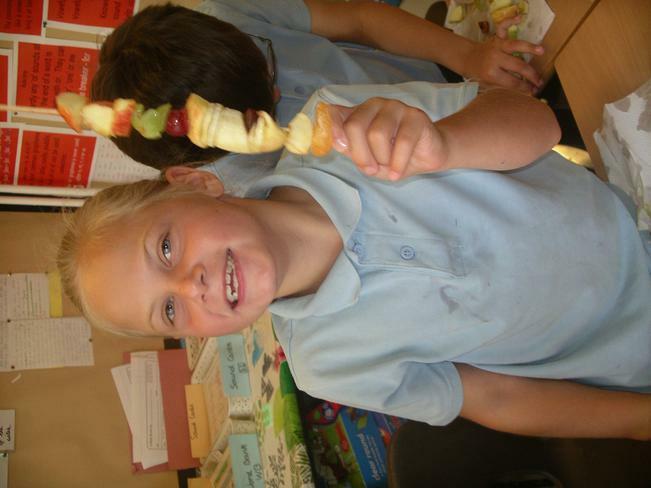 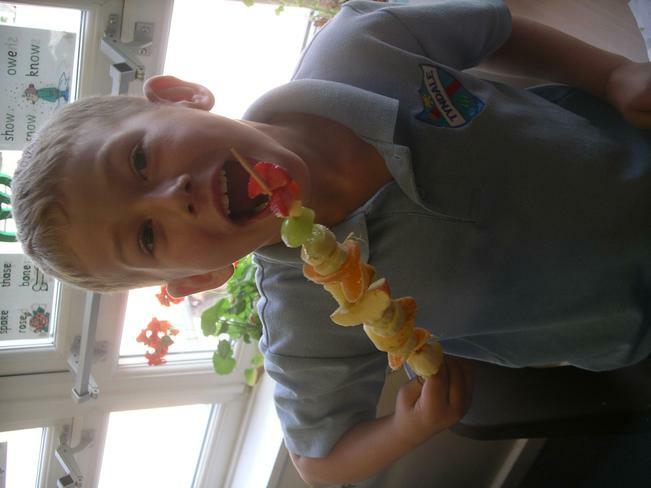 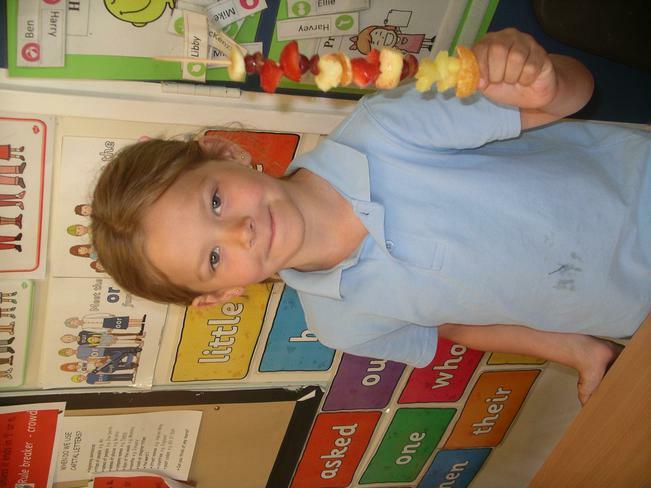 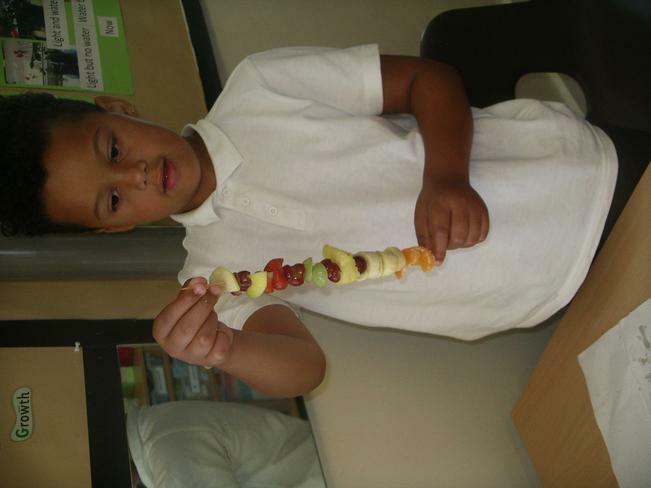 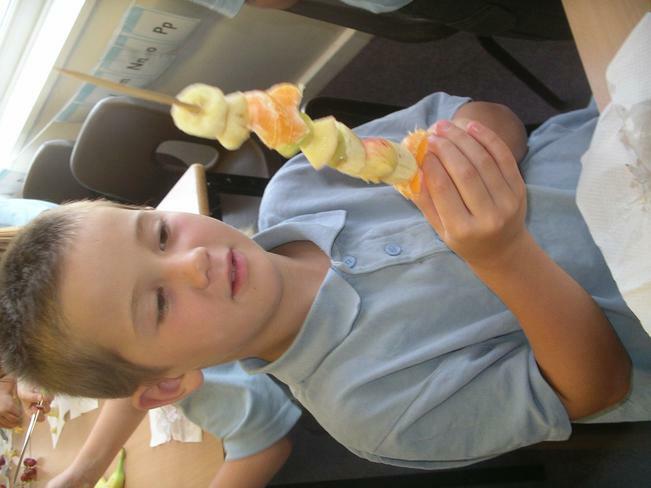 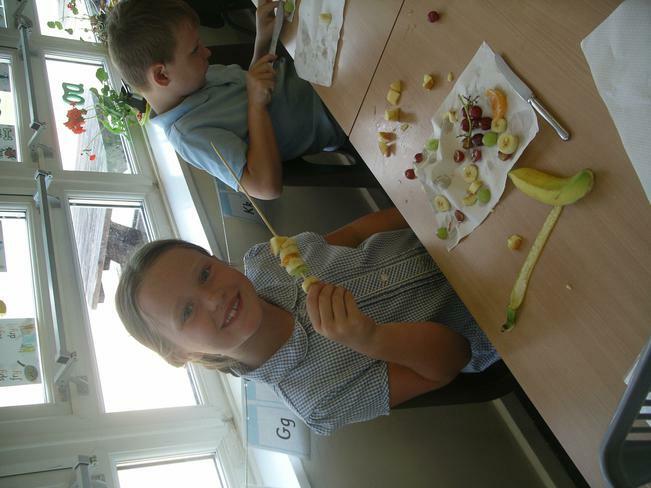 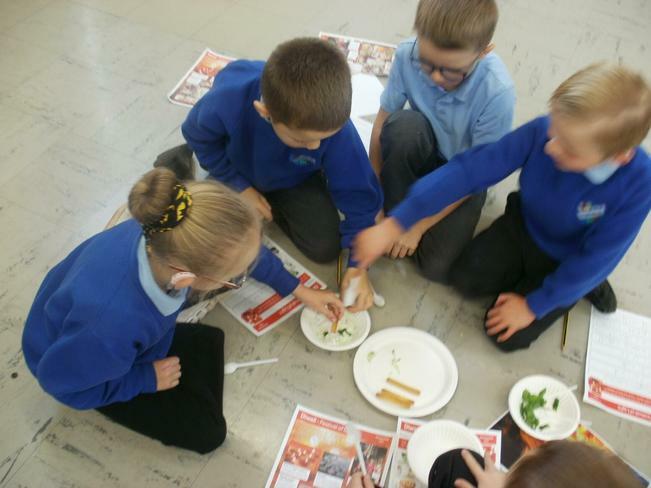 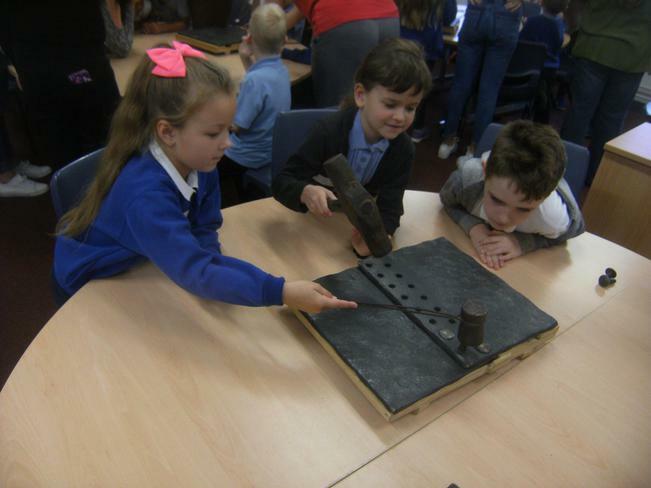 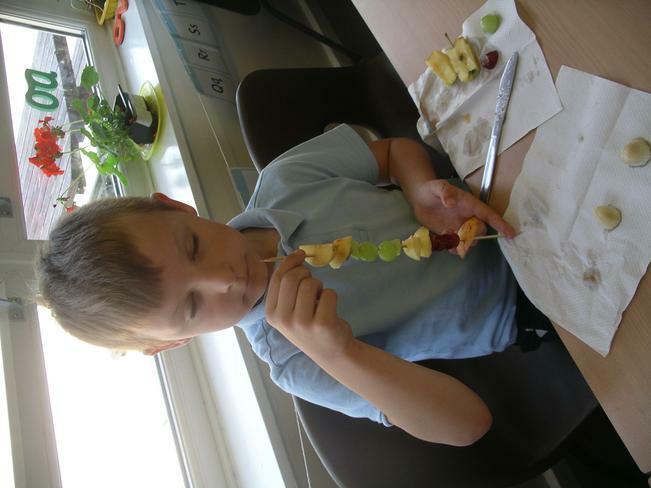 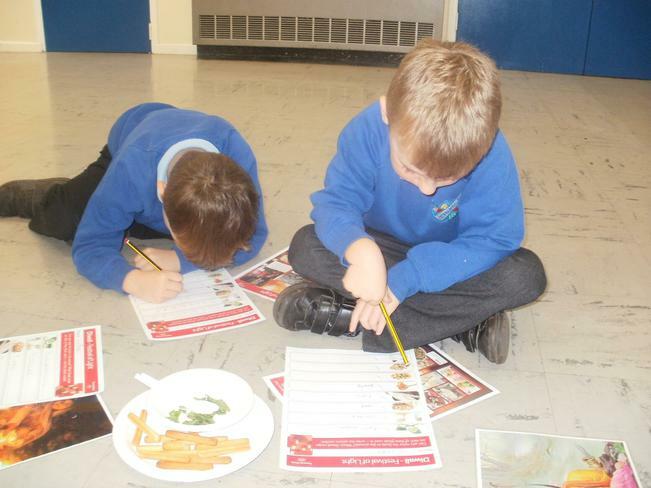 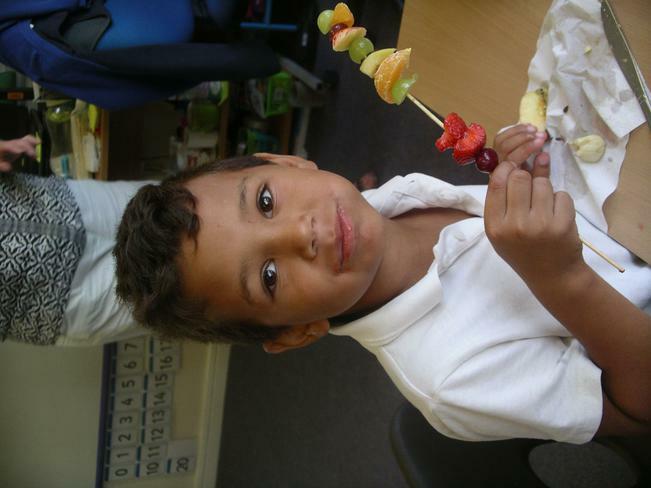 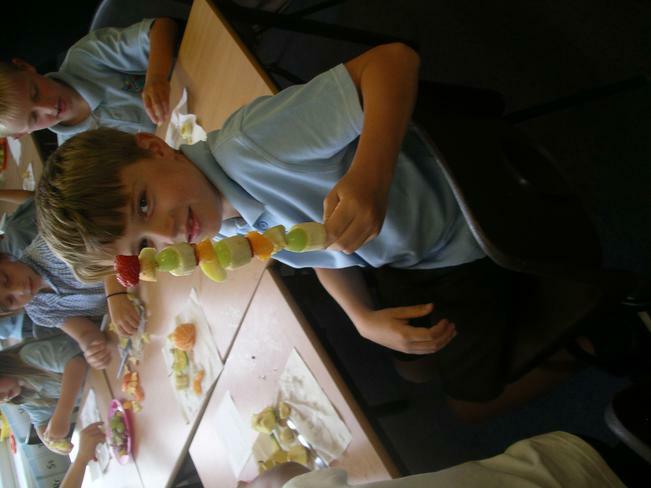 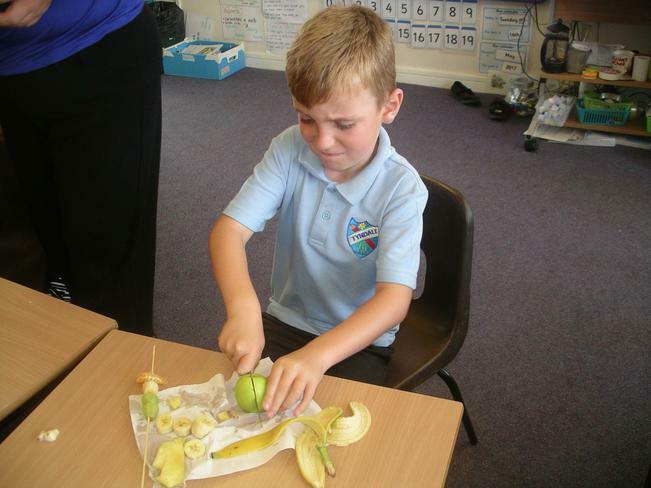 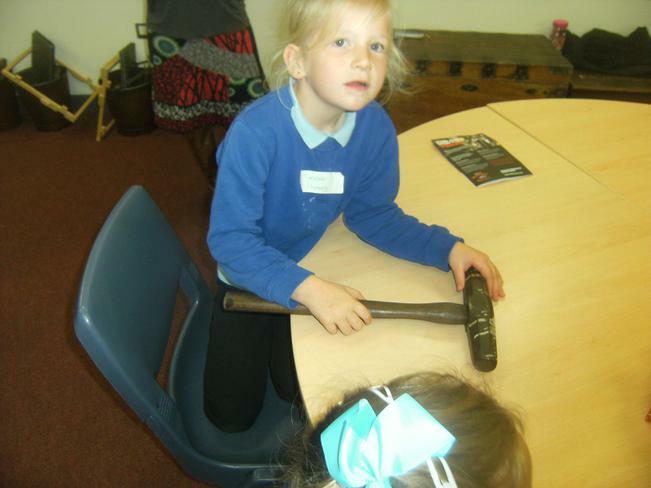 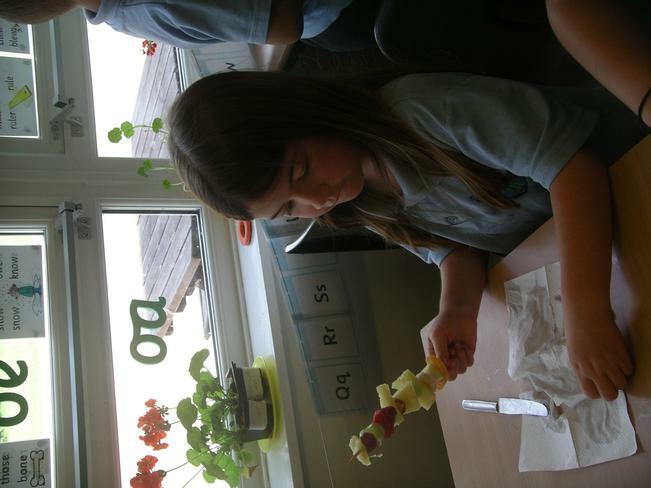 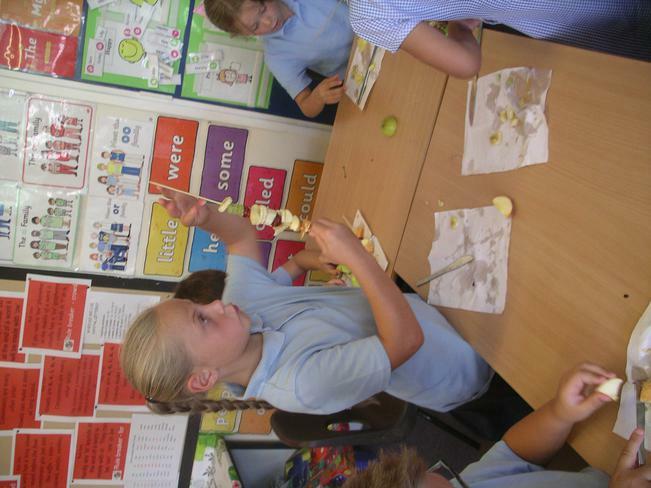 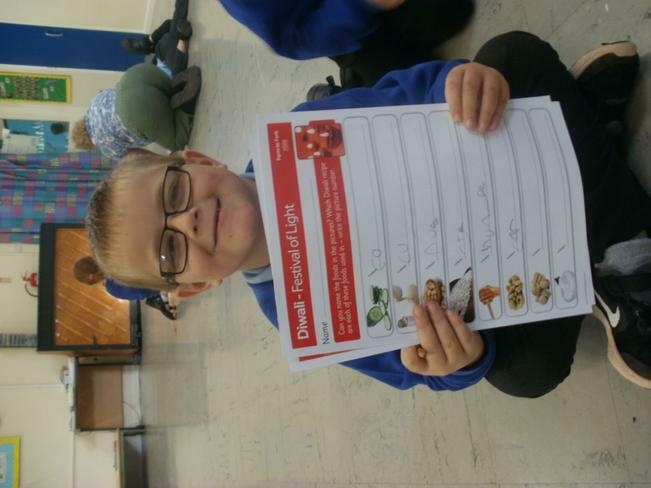 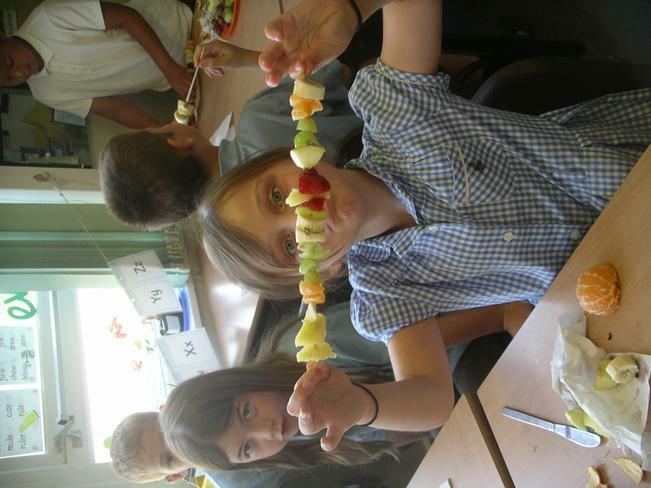 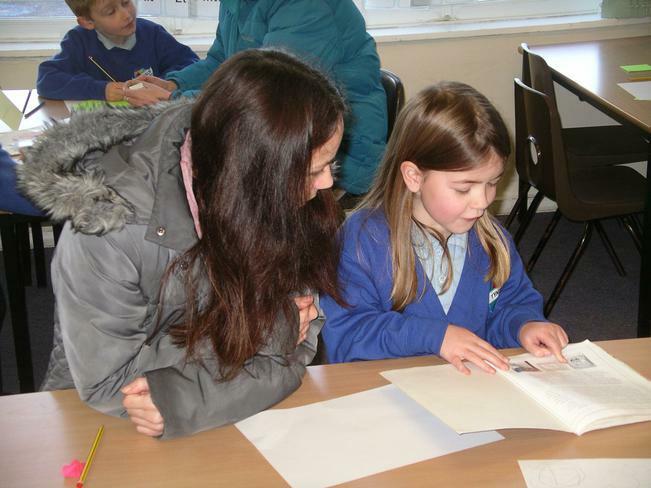 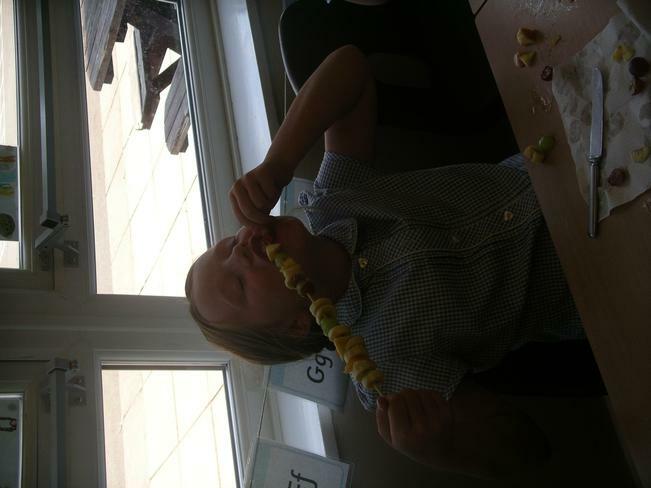 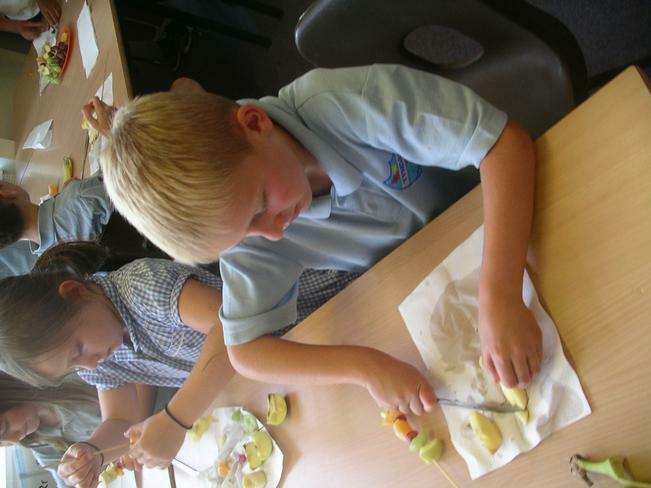 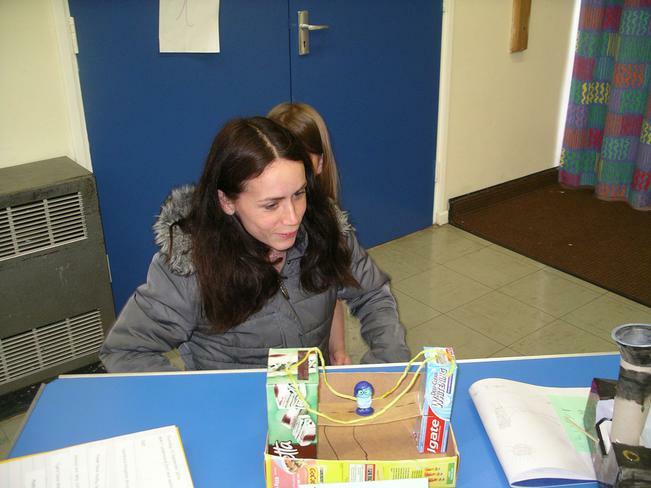 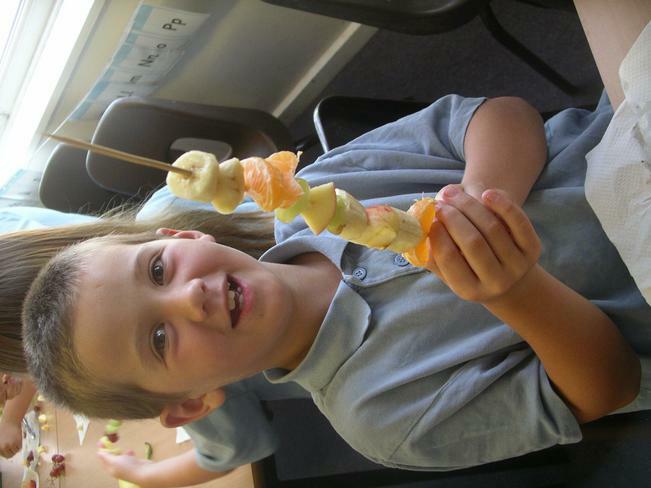 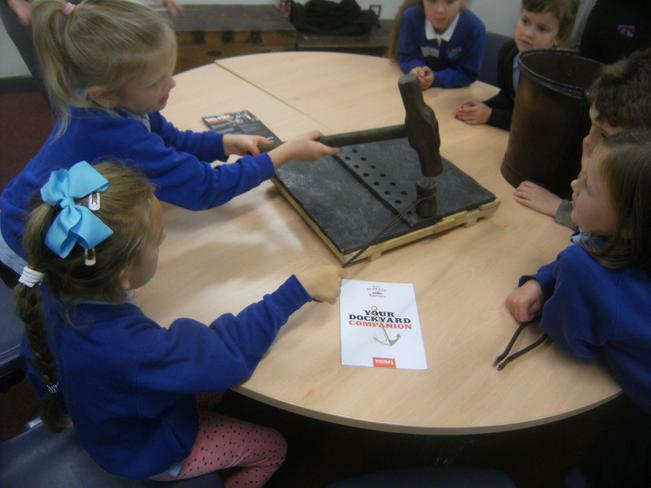 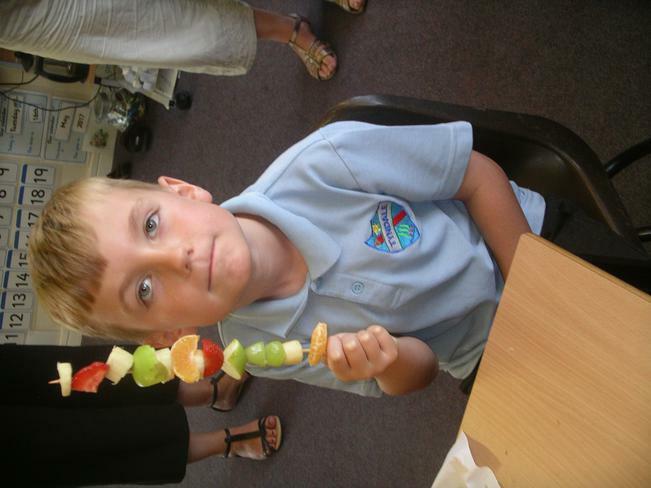 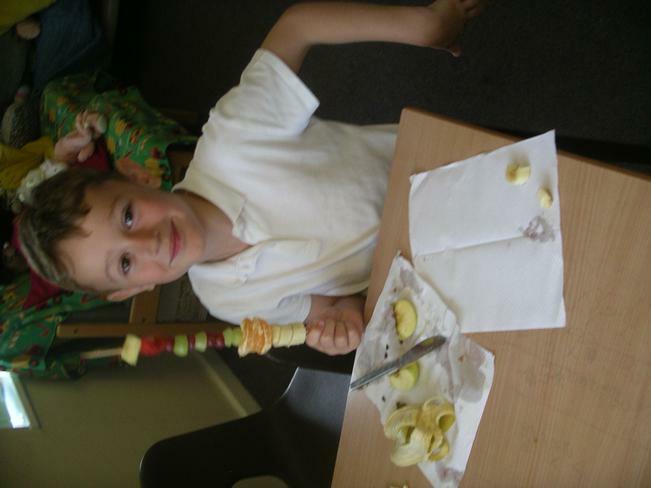 The children really enjoyed learning new skills - although some were rather tricky! 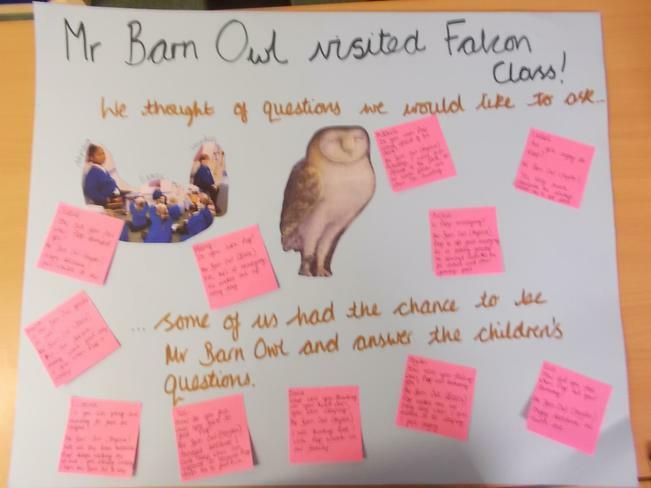 Falcon Class had a 'visitor' today - Mr Barn Owl, a character from our class text 'The Owl Who Was Afraid Of The Dark' by Jill Tomlinson. 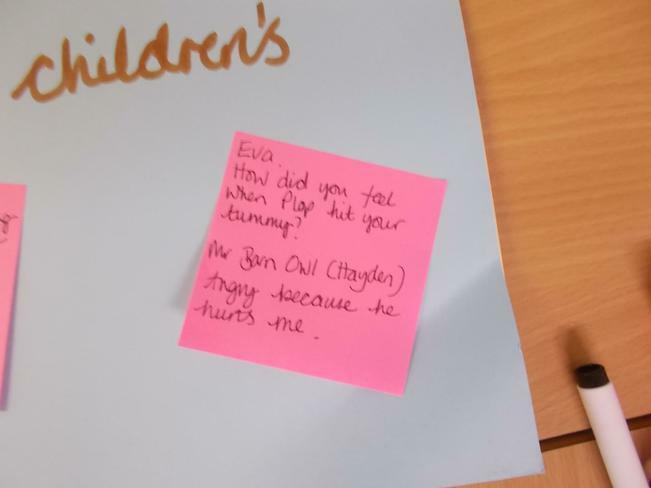 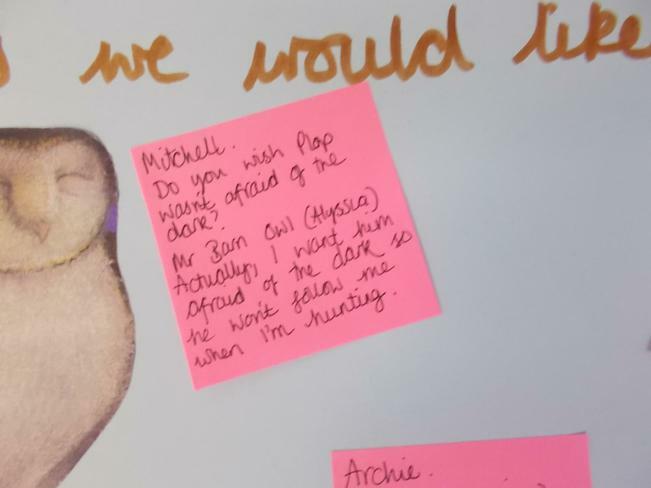 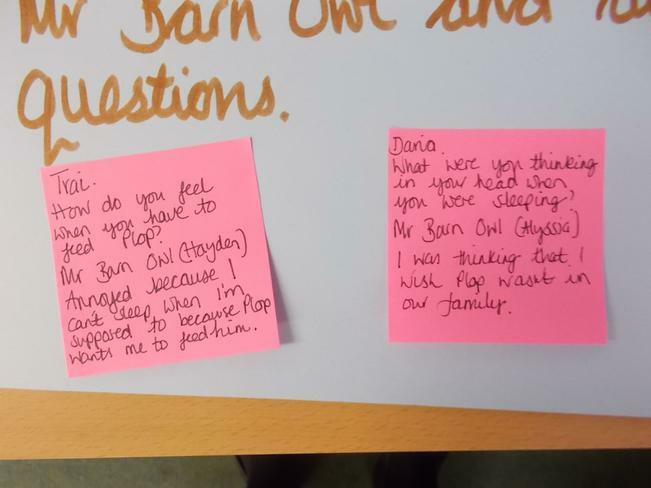 Some of the children answered questions as if they were Mr Barn Owl, whilst the rest of the class asked questions based on what they had read in the book. 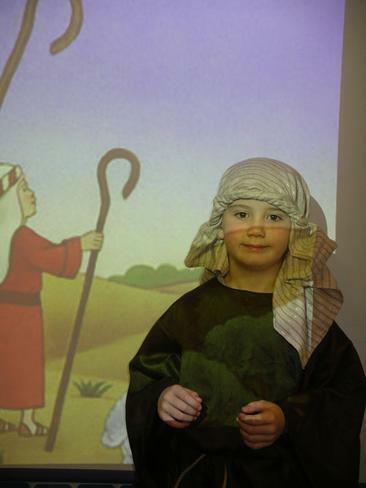 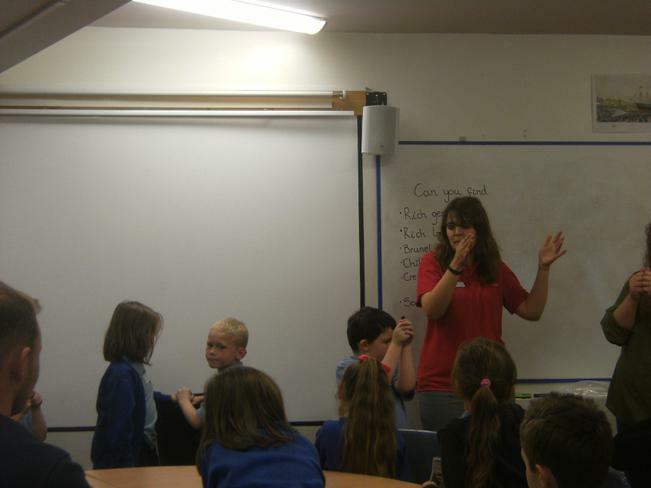 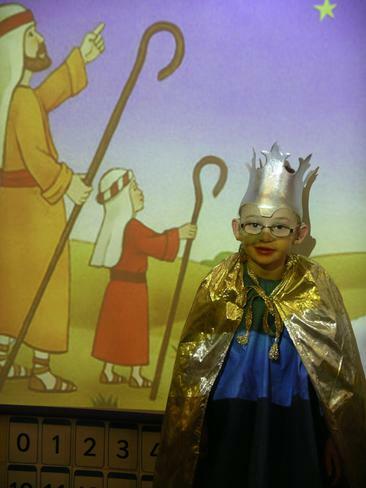 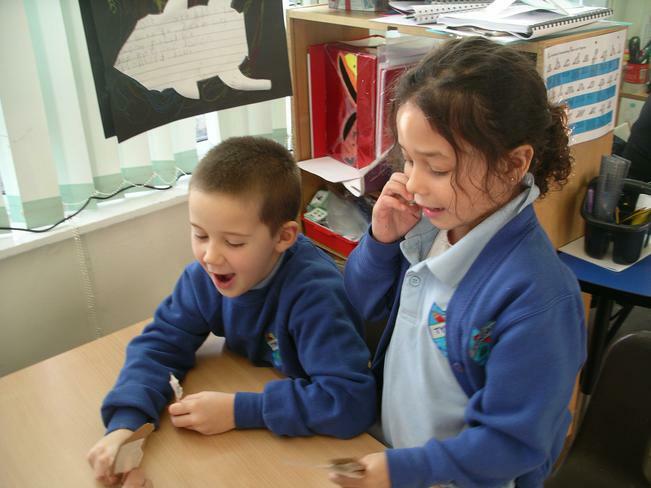 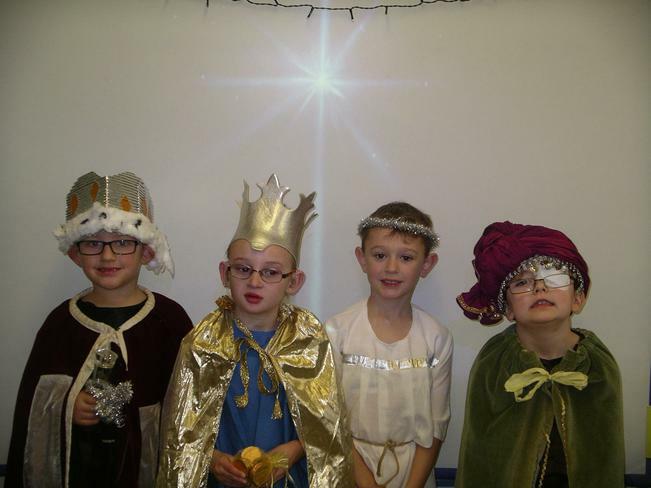 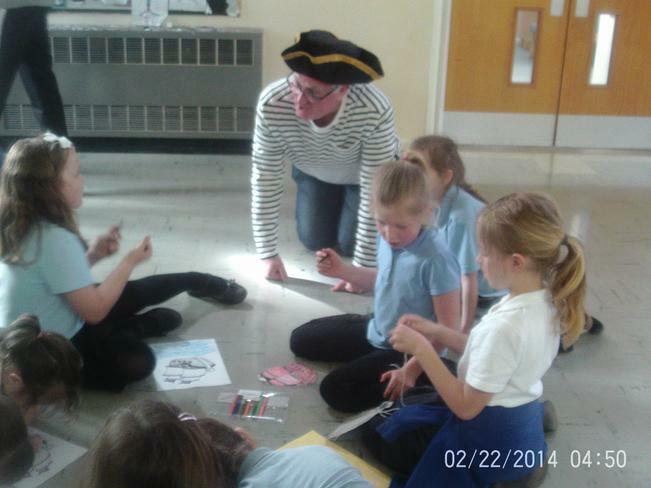 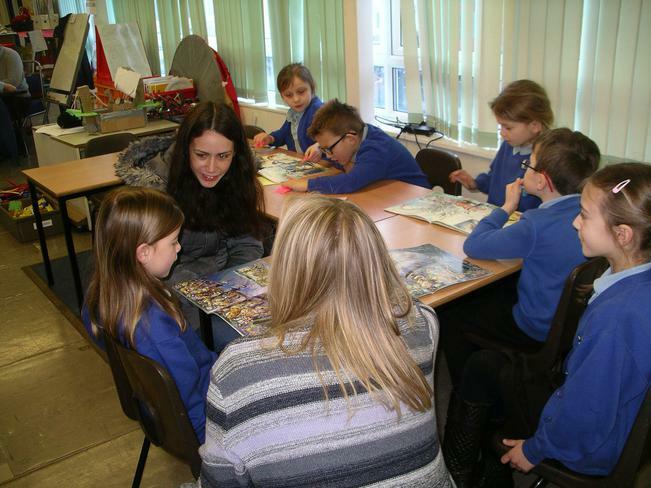 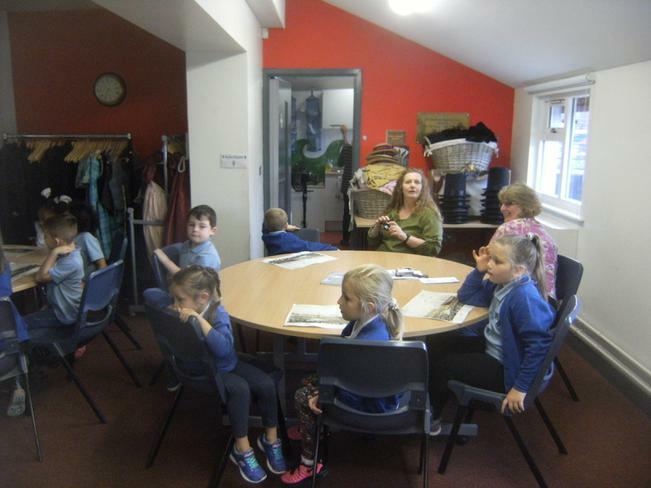 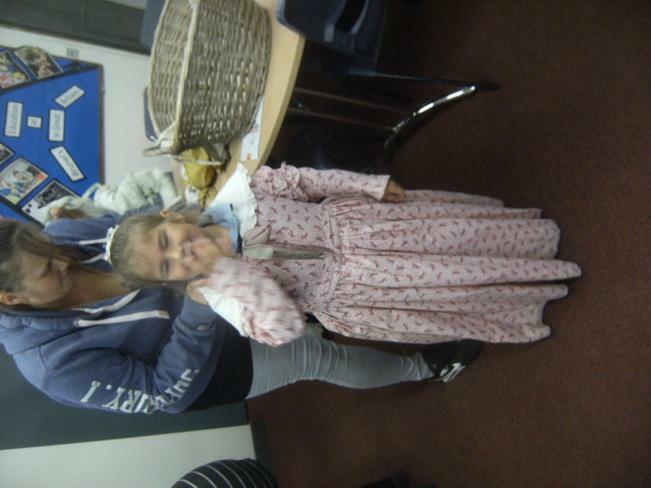 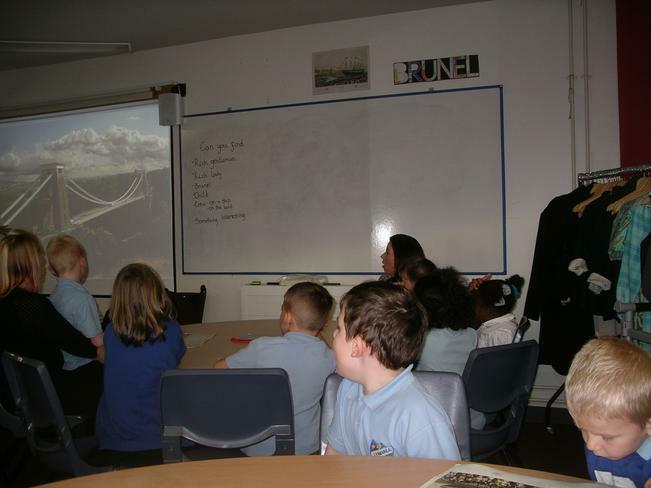 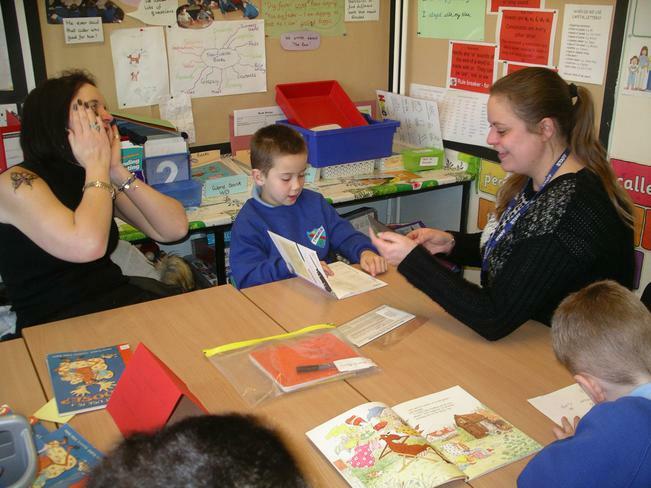 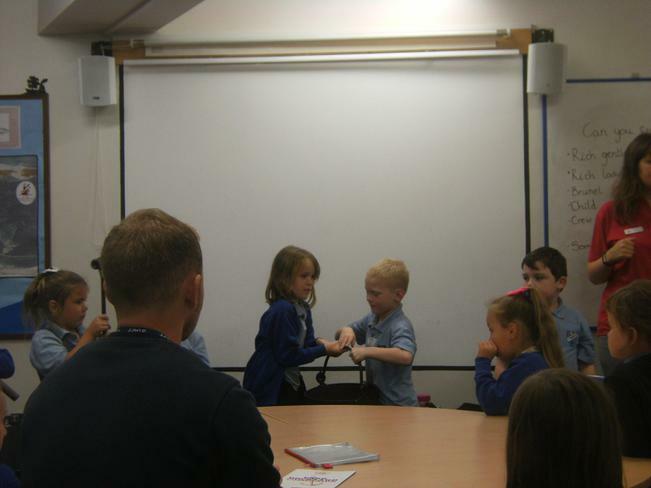 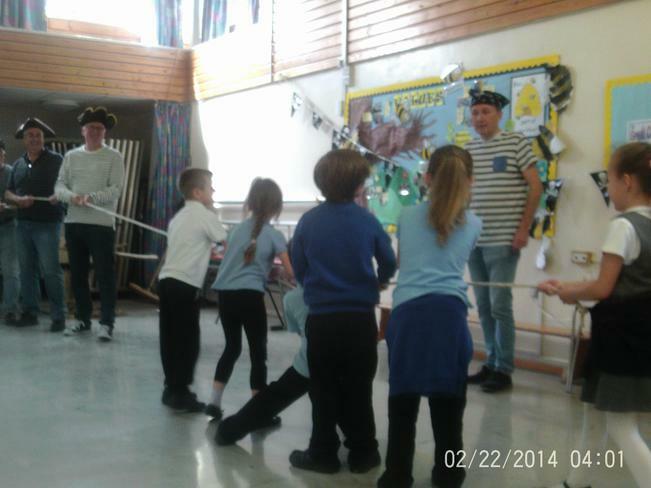 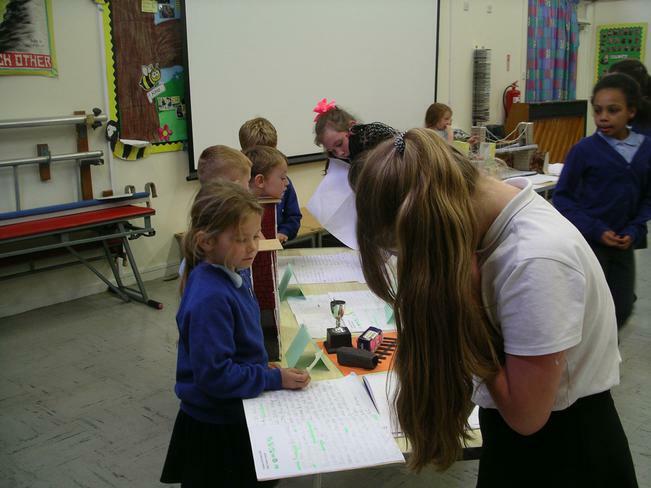 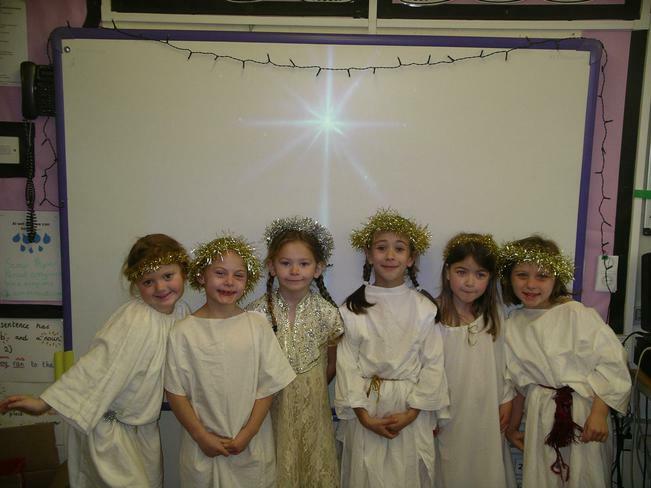 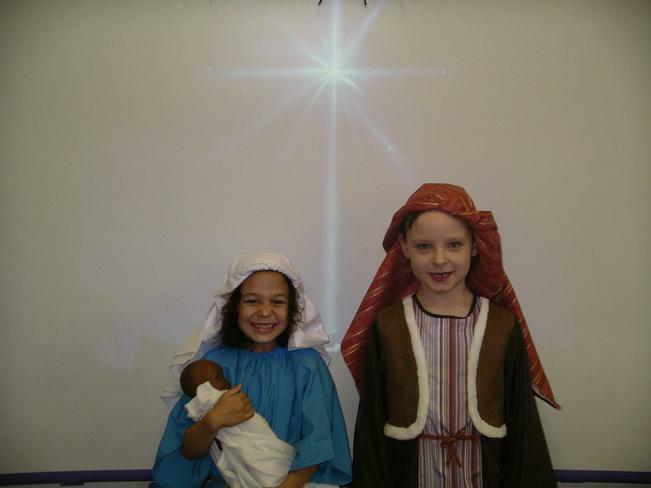 The children in role were very good at answering the questions, using their knowledge of the story to help them. 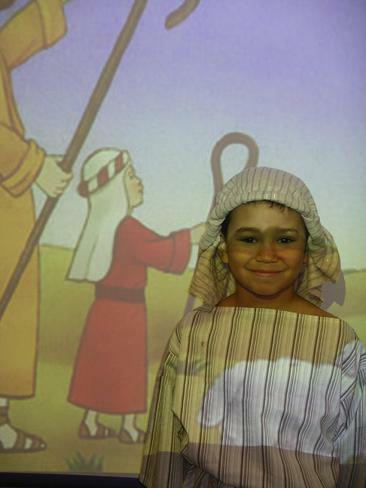 Homework for Term 2 - your children have brought home Term 2 homework today. 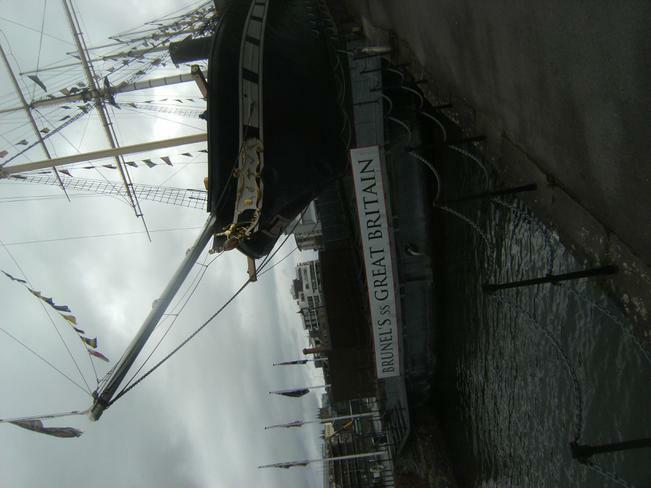 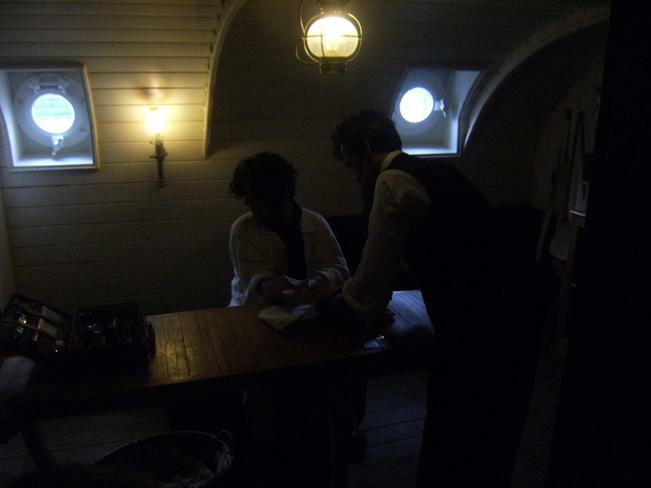 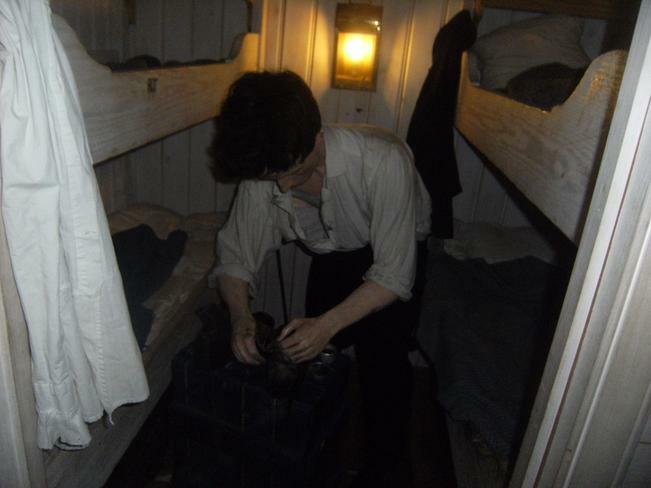 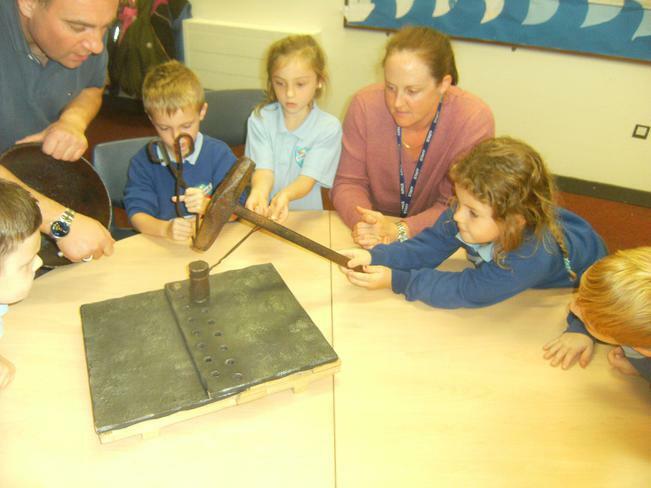 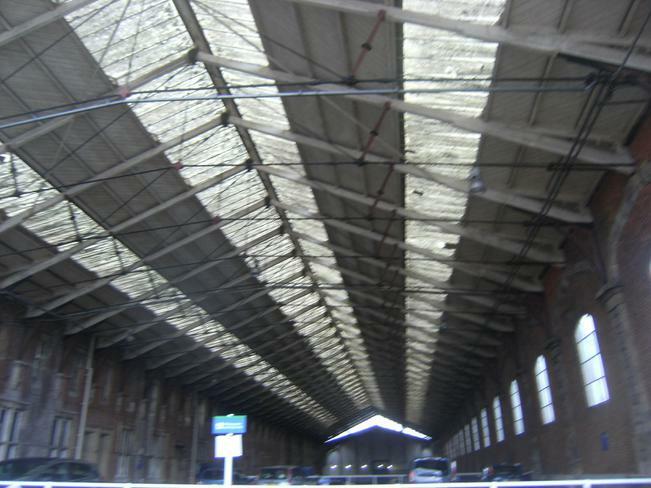 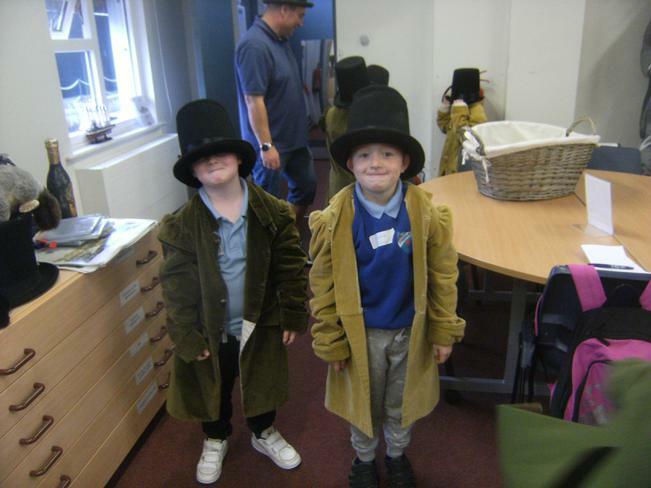 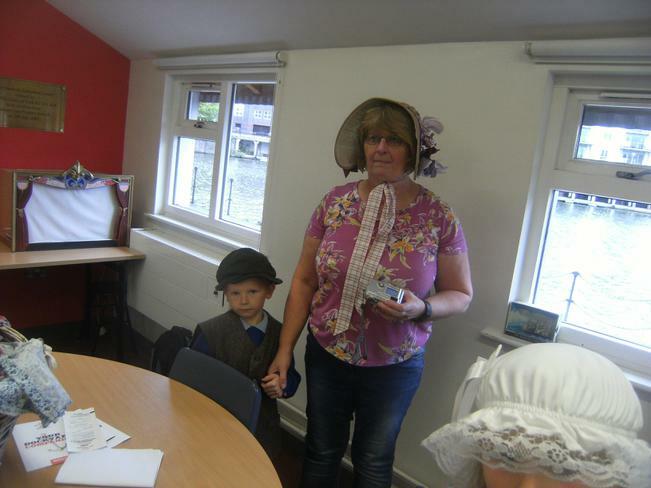 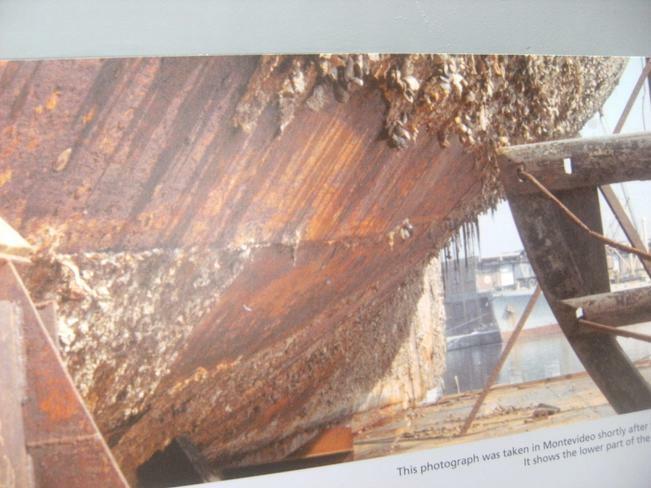 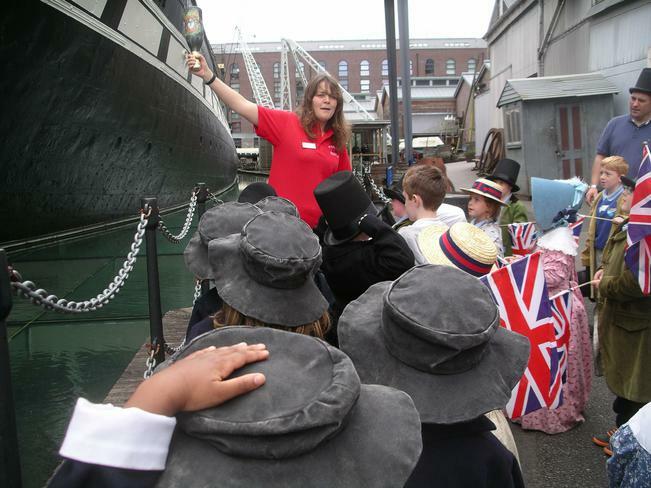 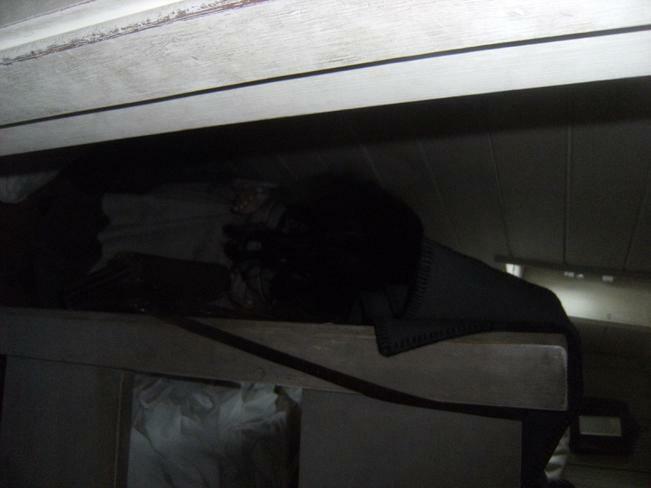 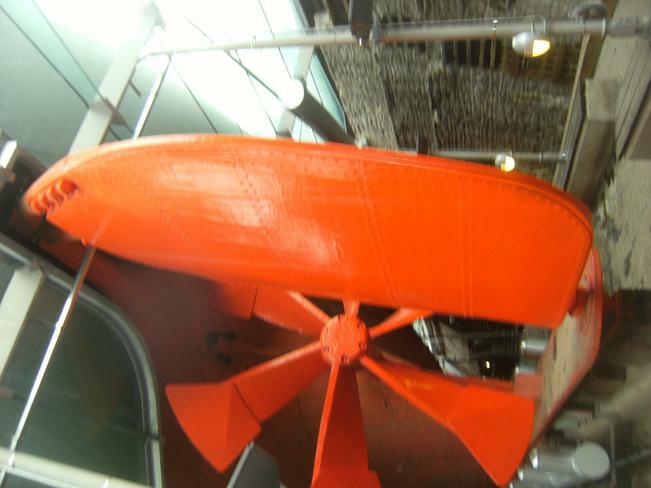 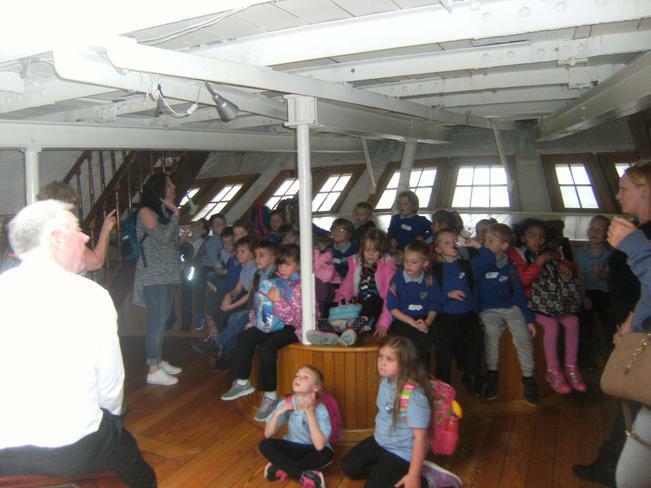 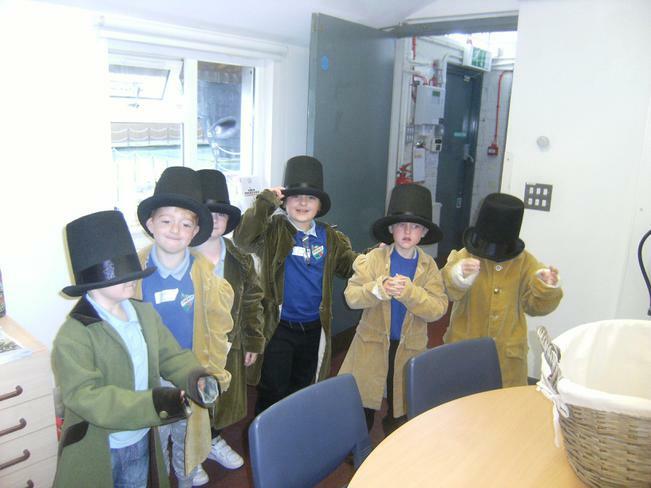 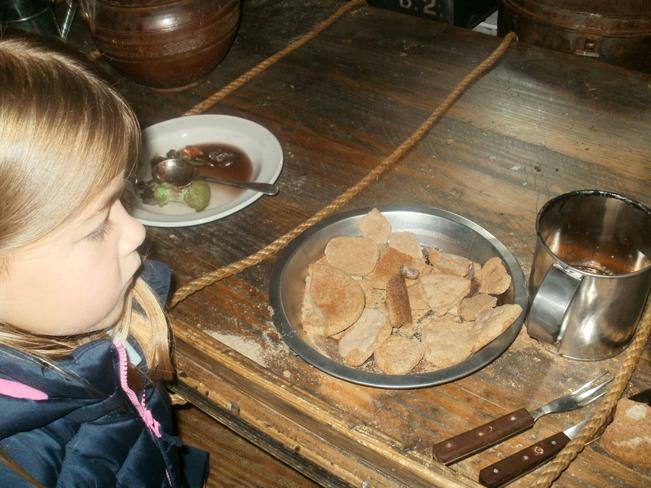 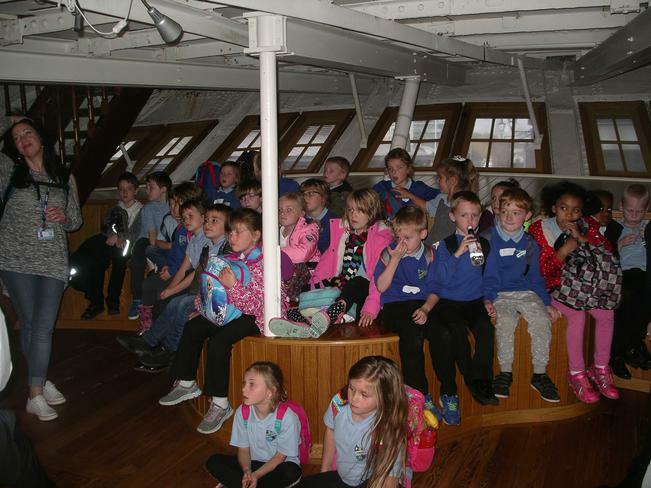 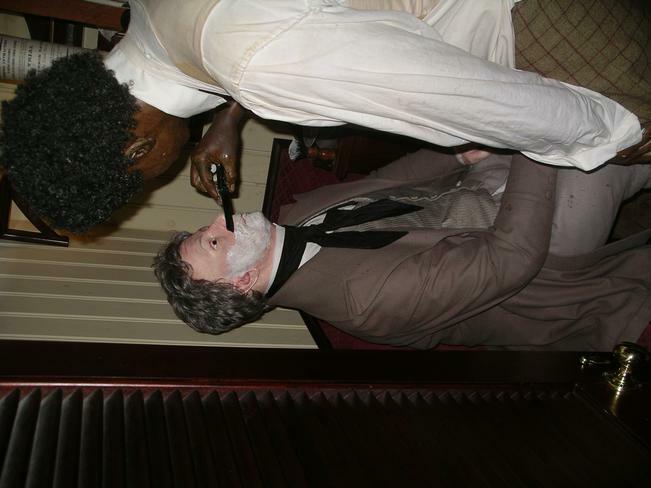 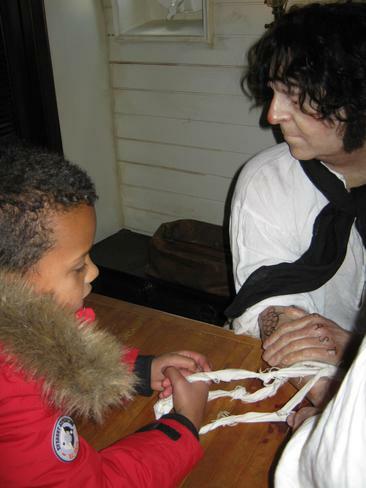 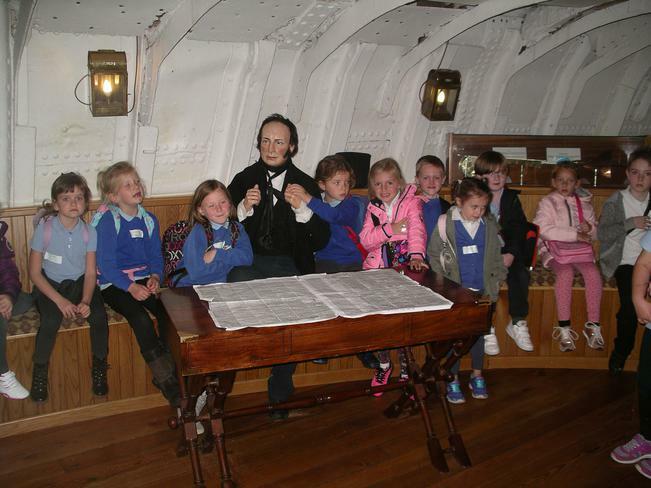 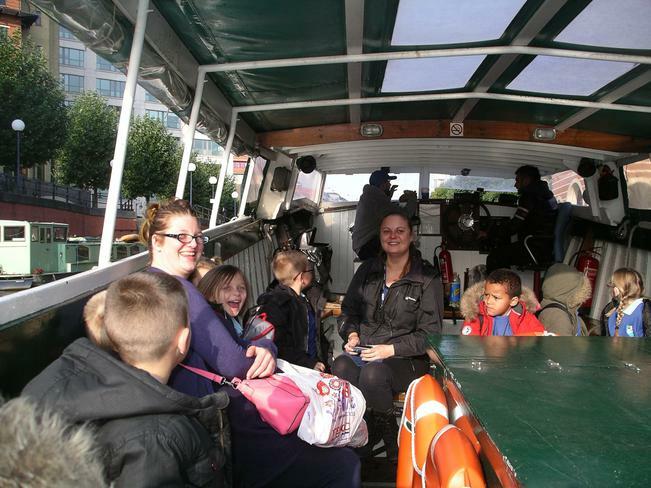 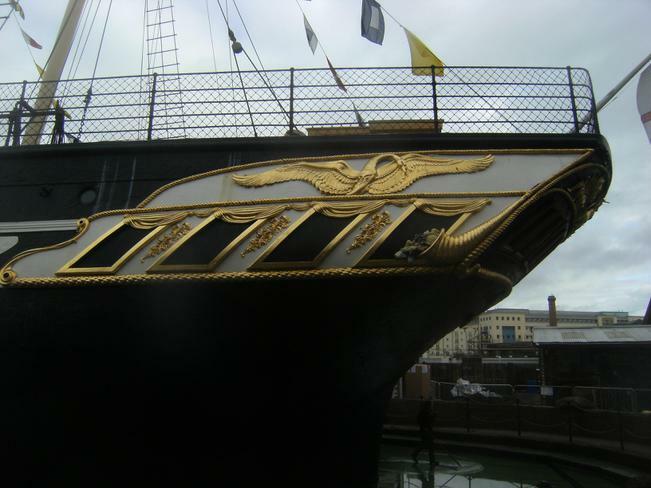 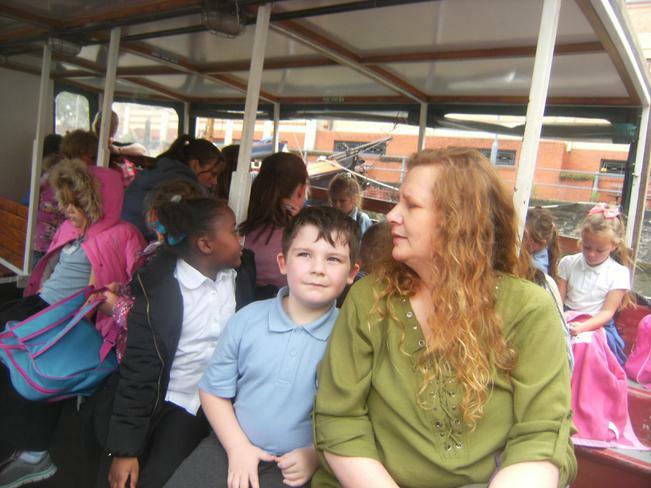 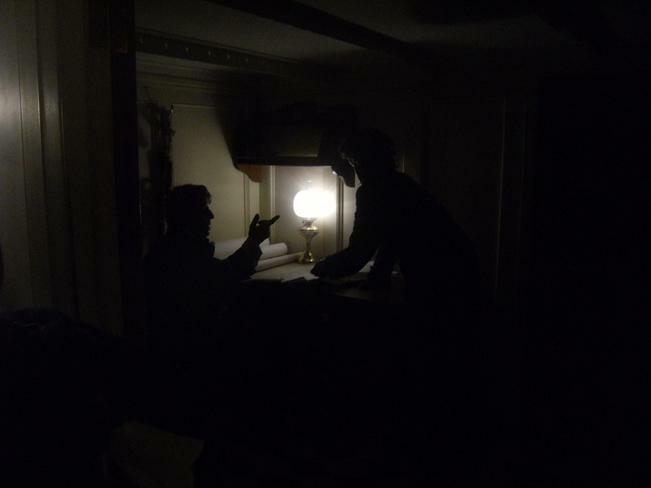 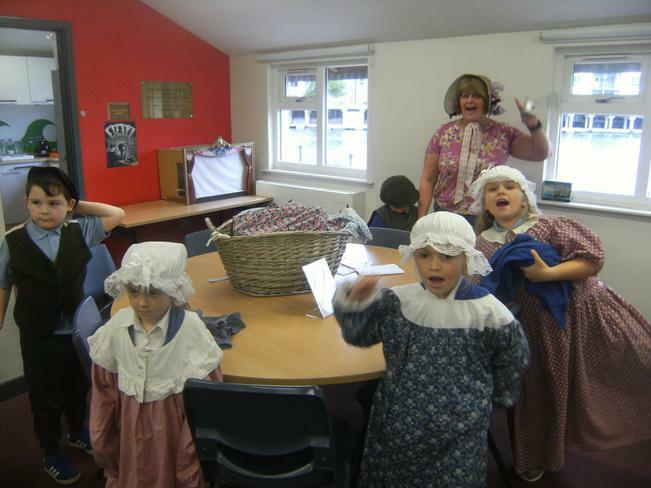 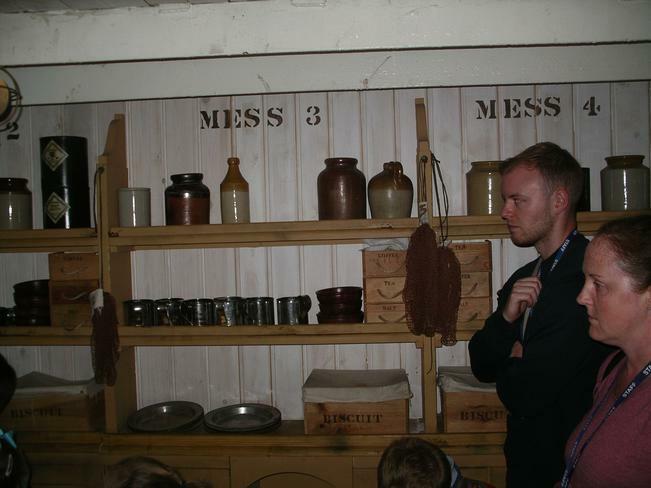 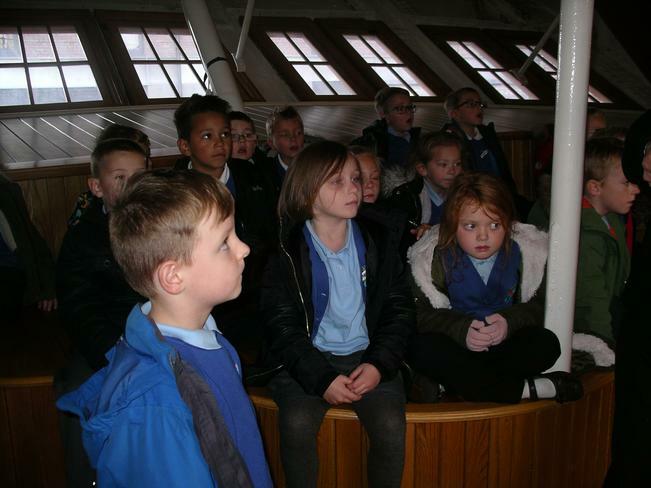 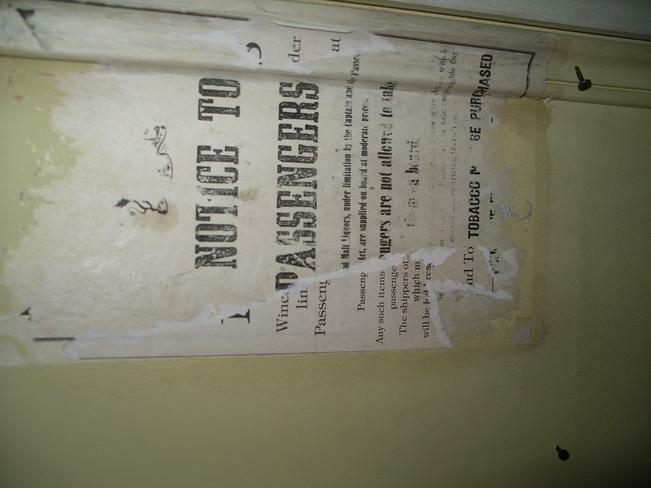 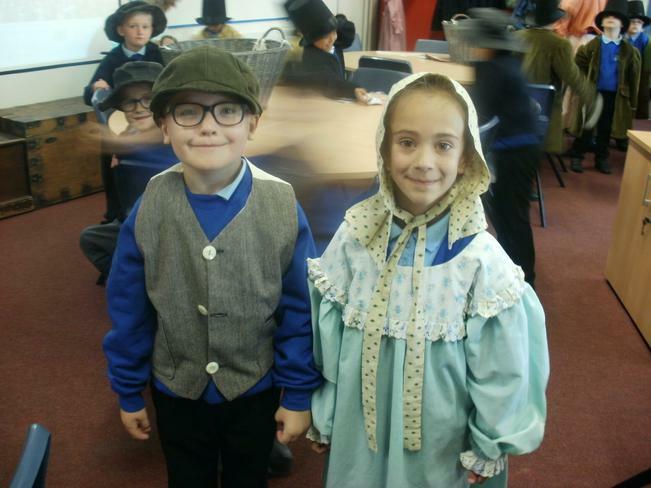 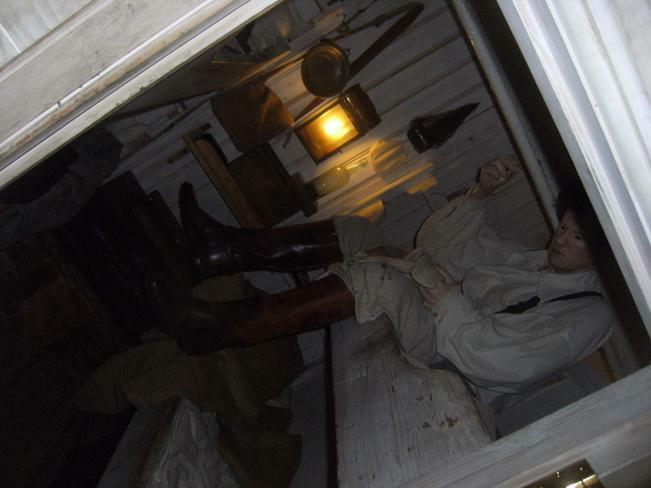 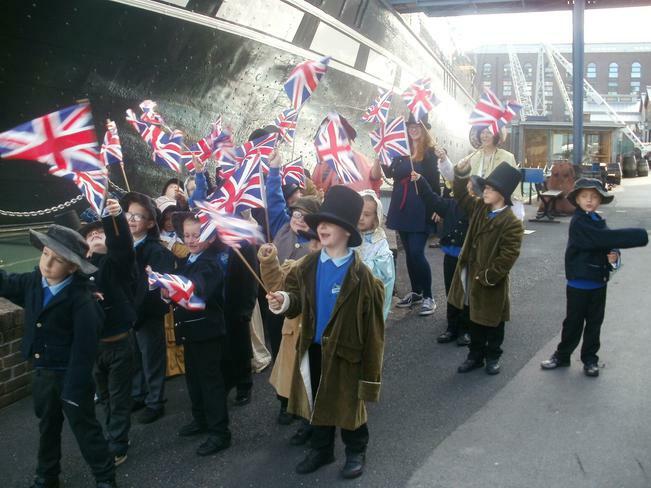 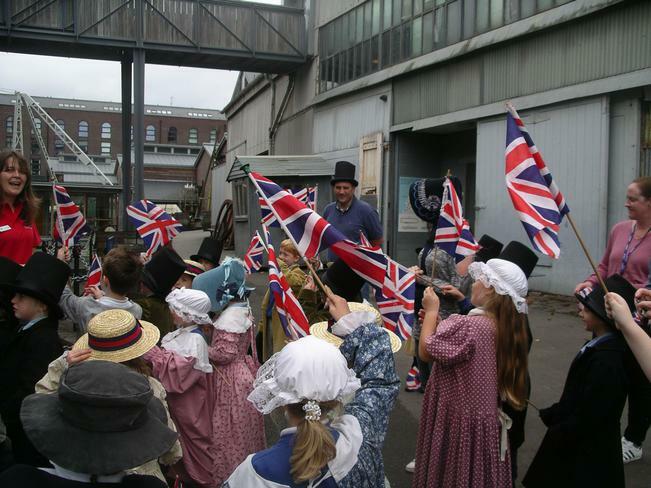 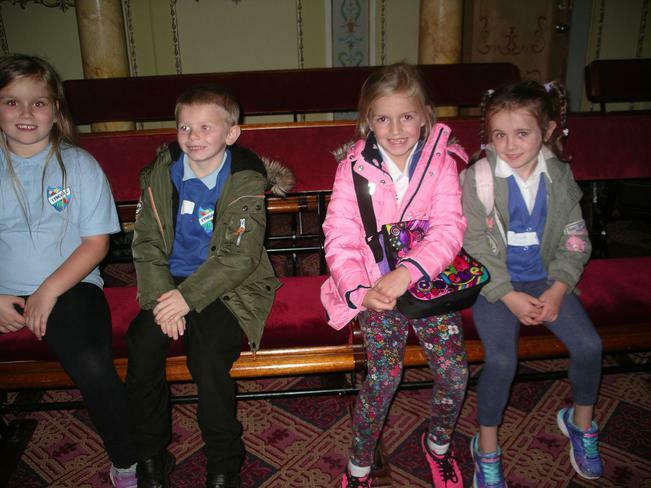 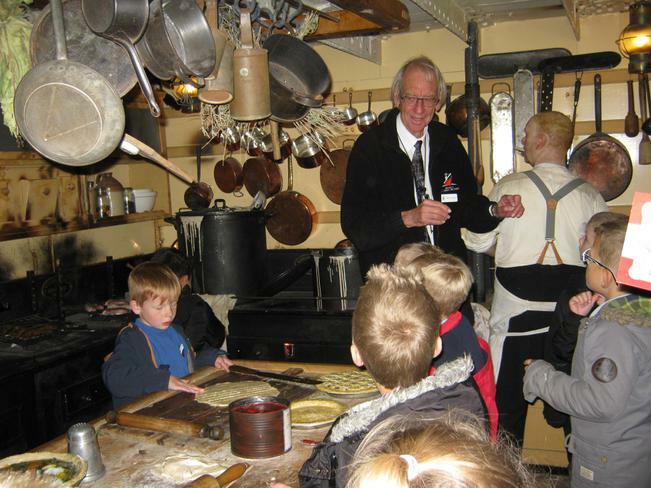 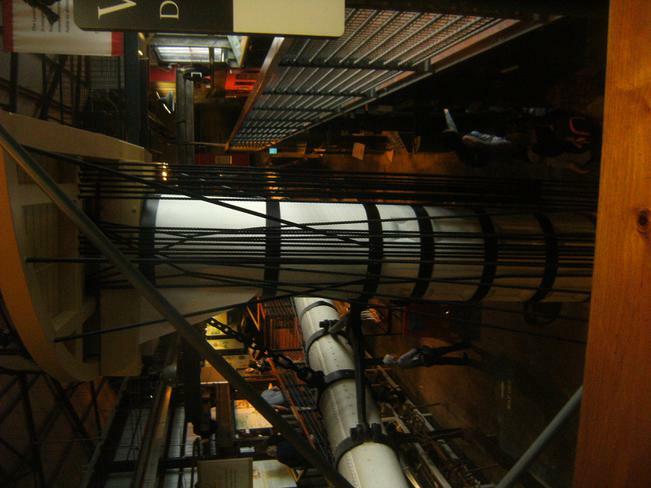 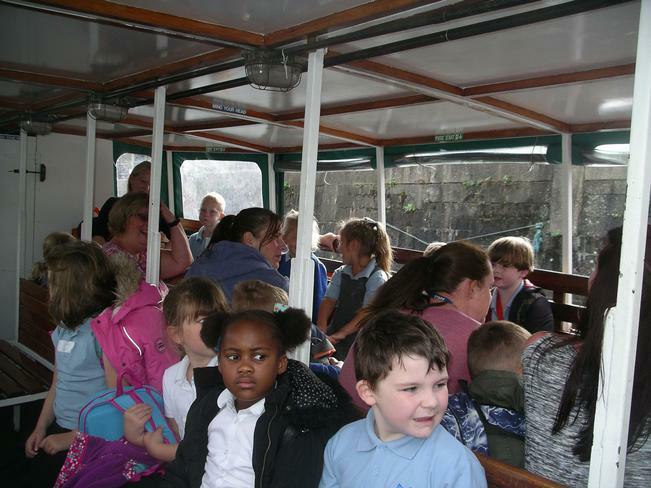 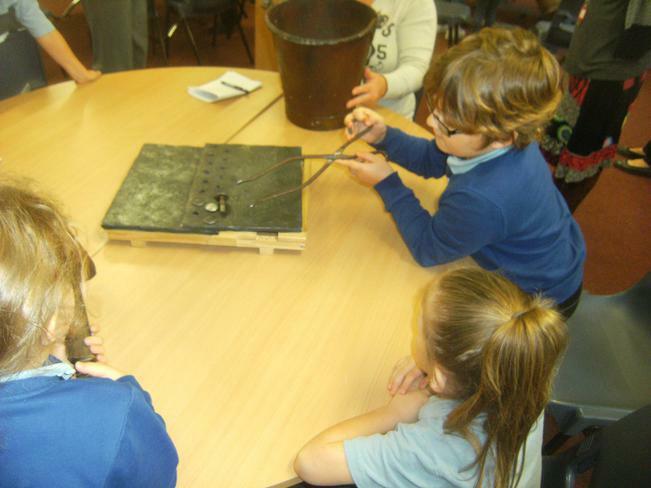 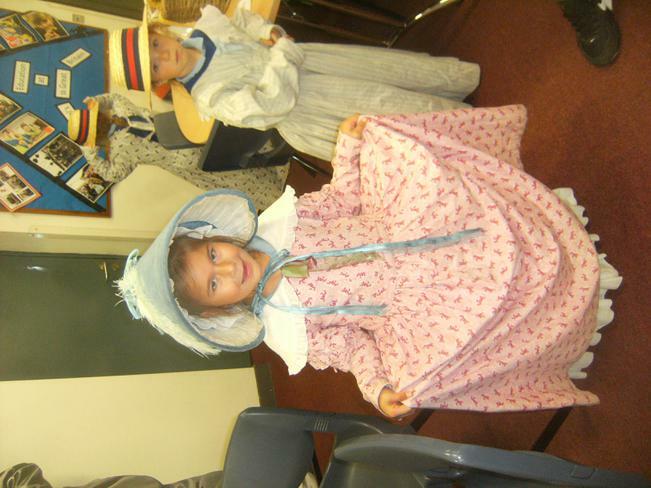 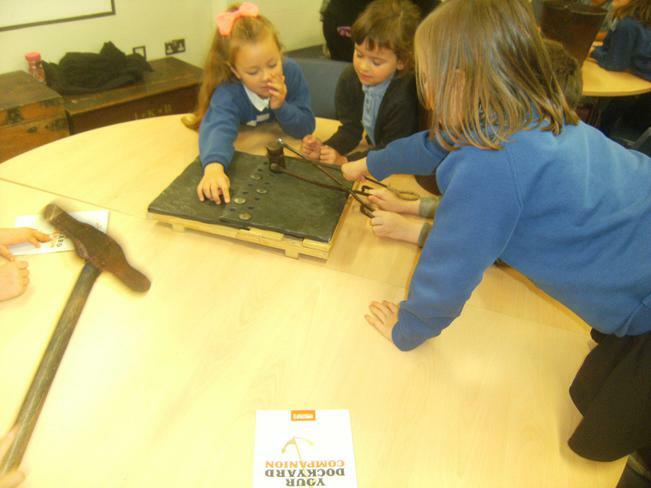 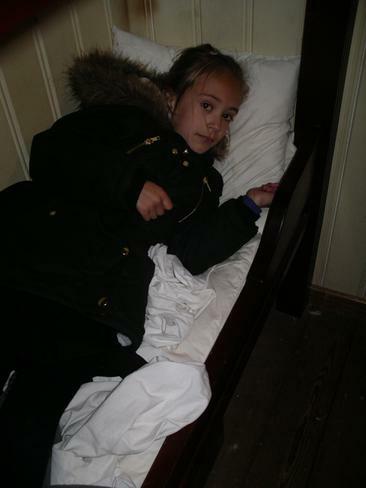 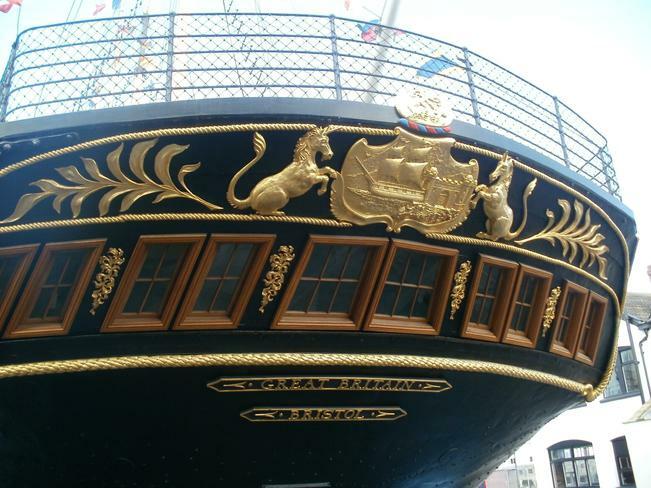 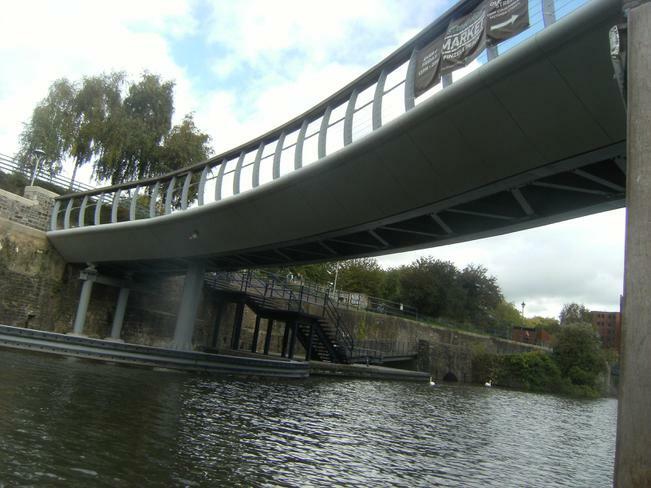 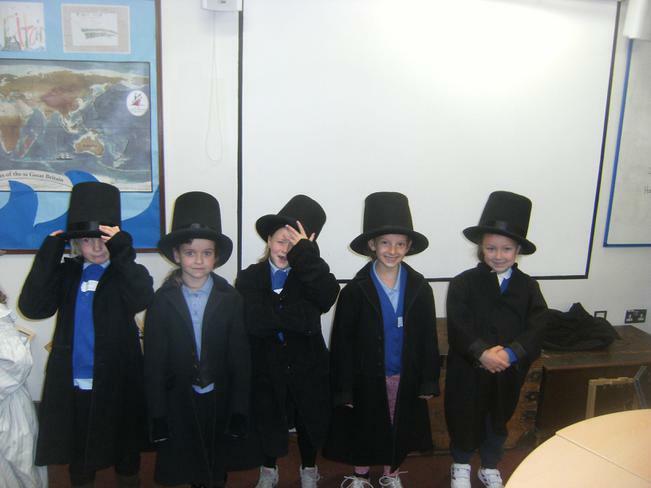 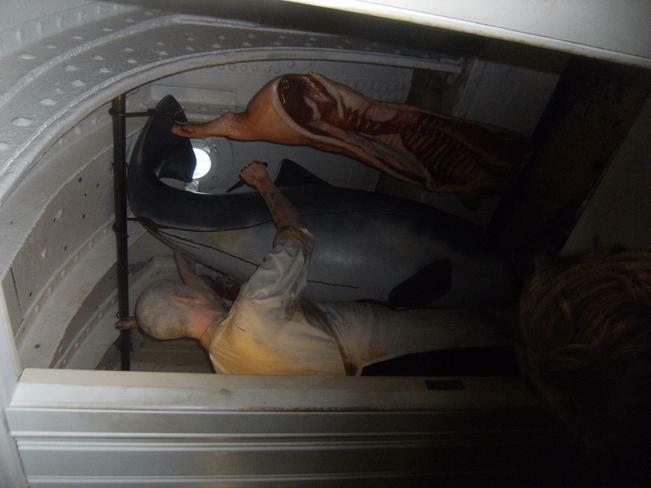 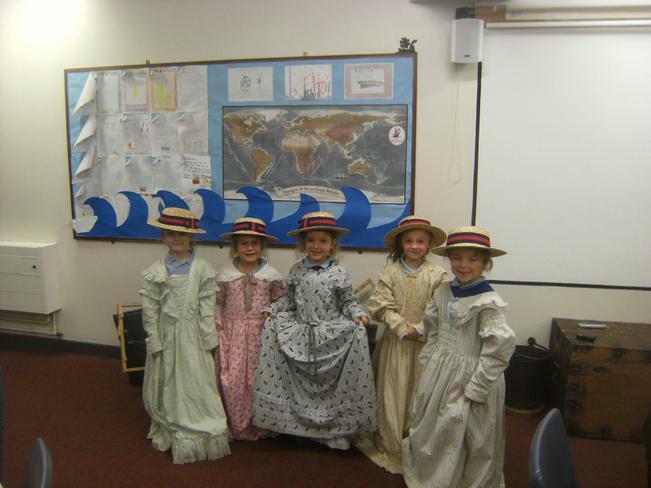 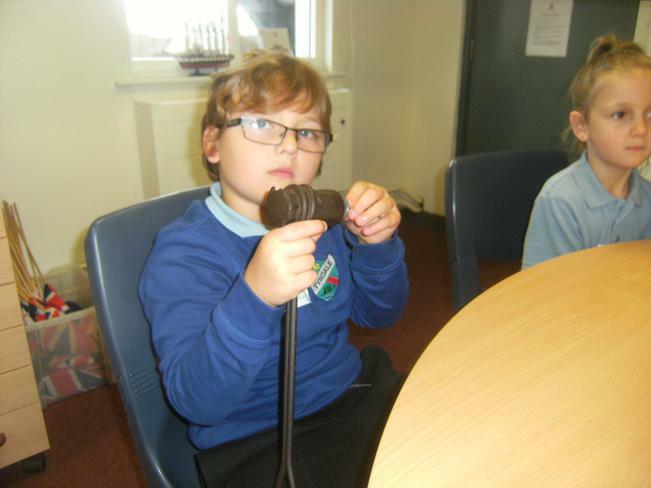 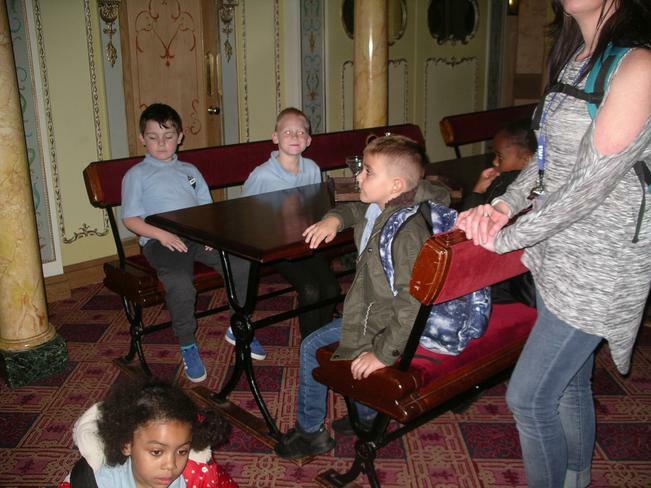 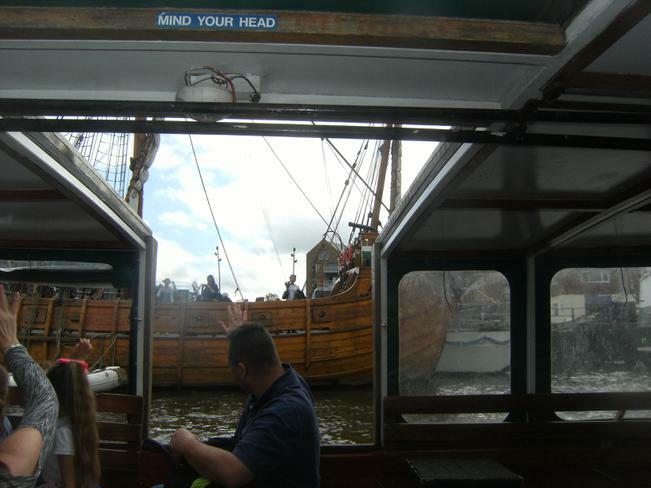 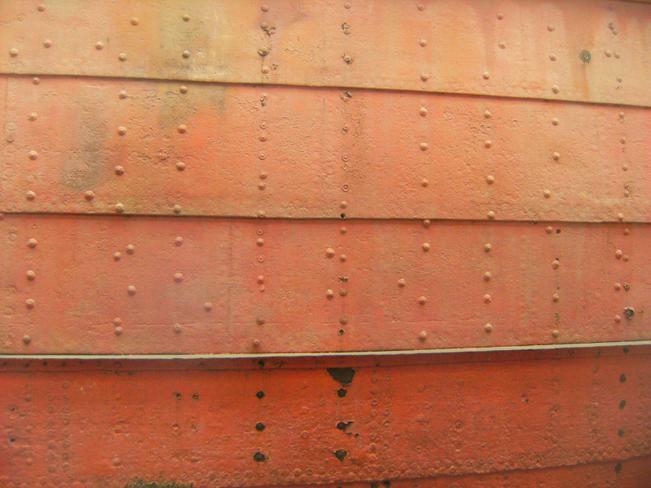 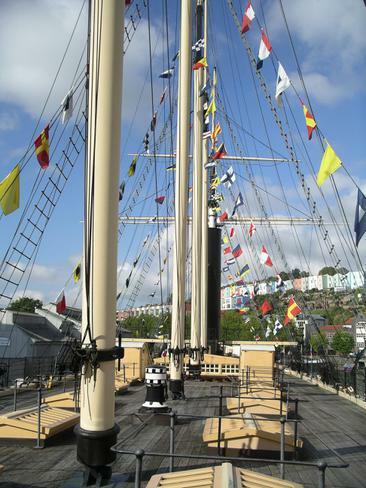 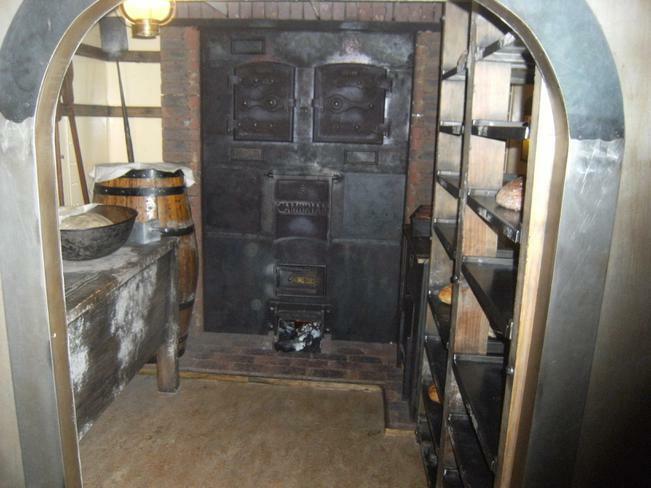 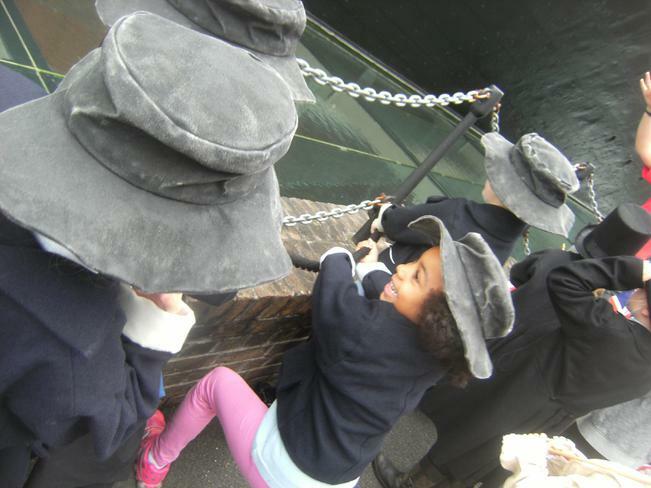 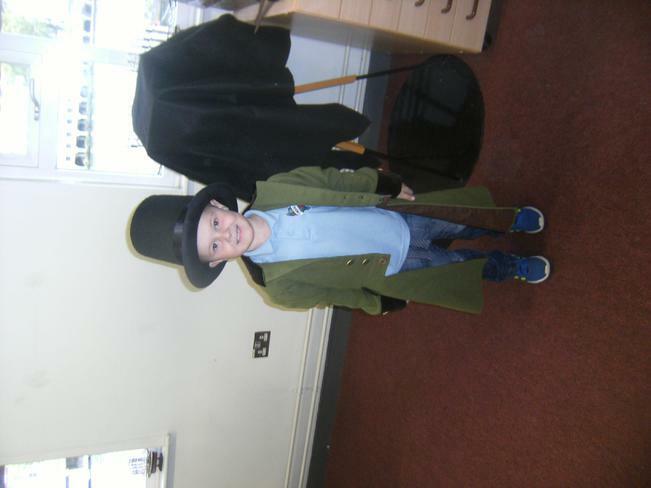 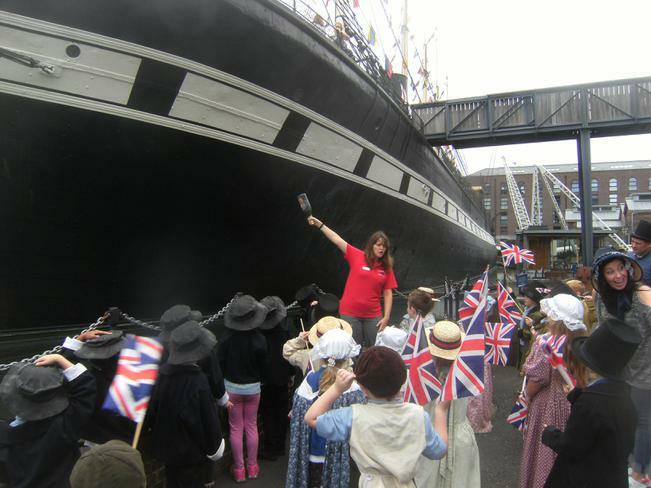 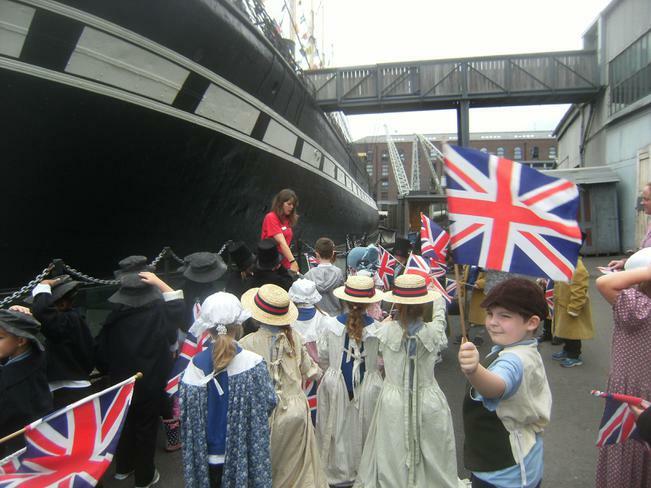 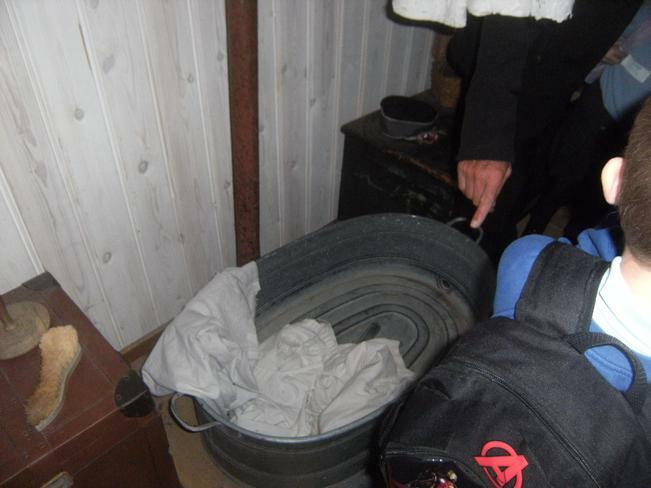 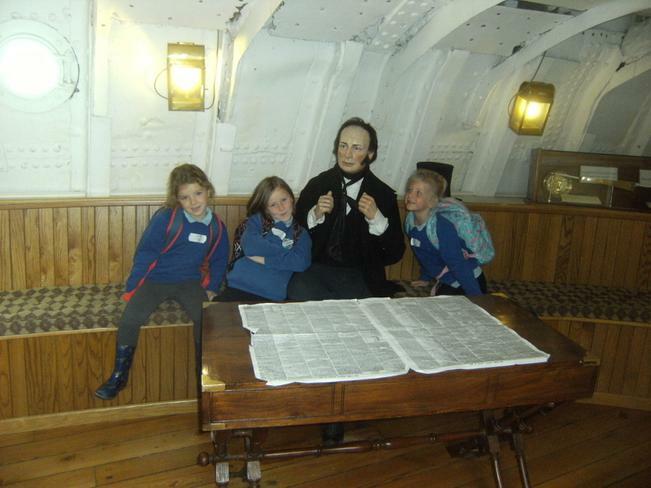 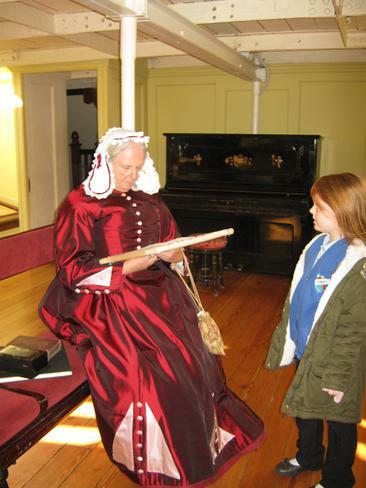 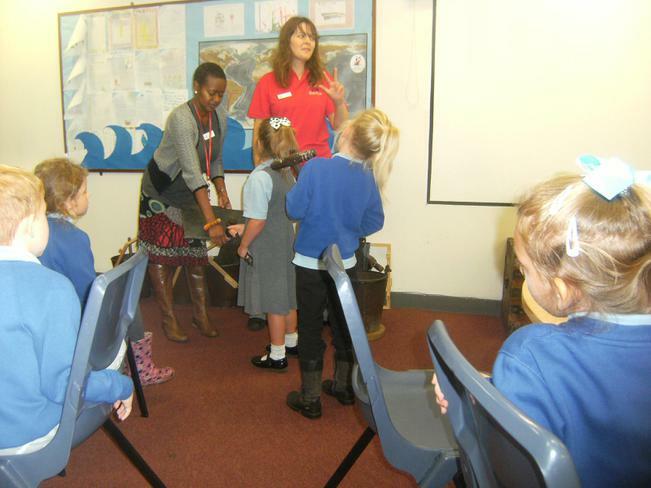 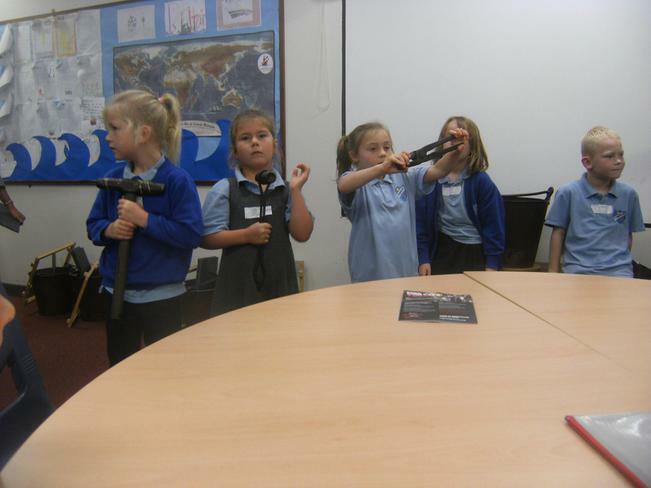 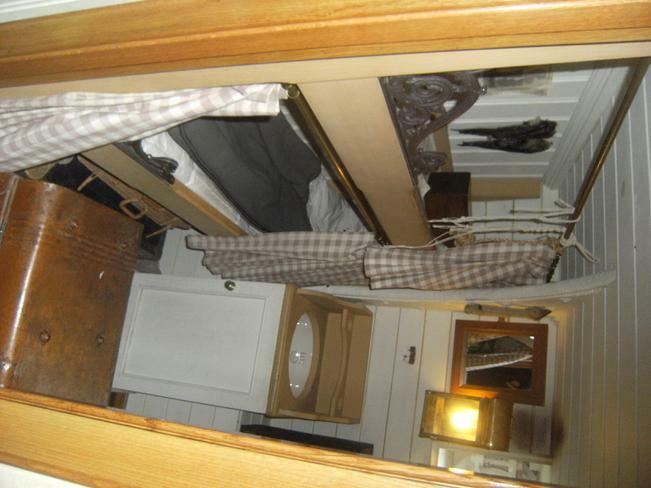 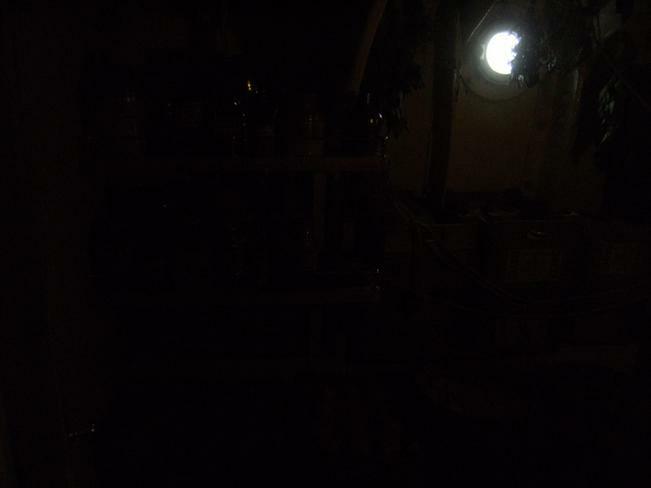 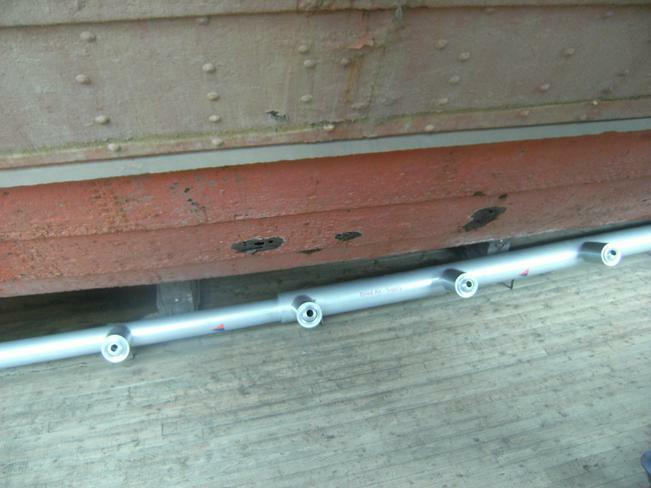 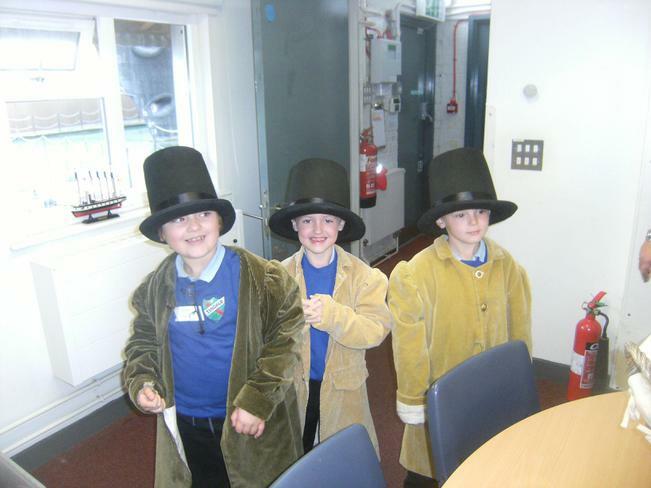 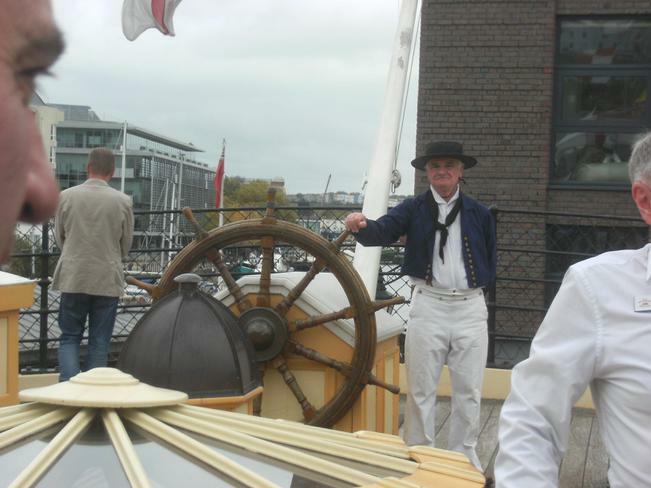 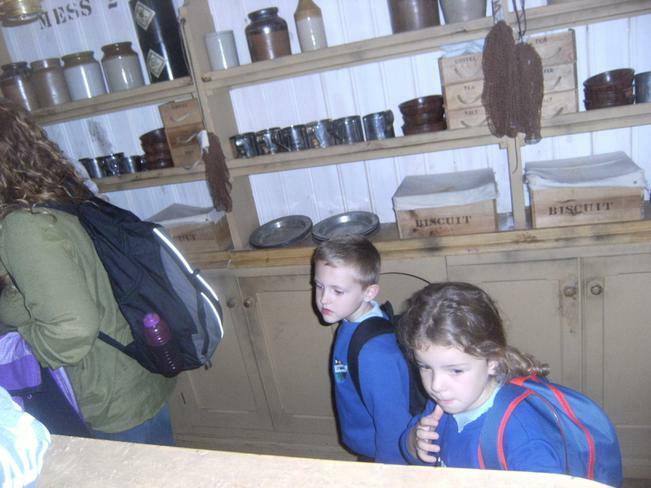 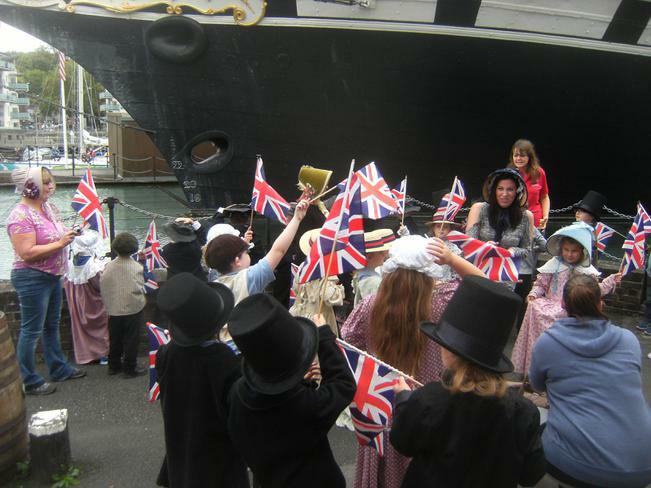 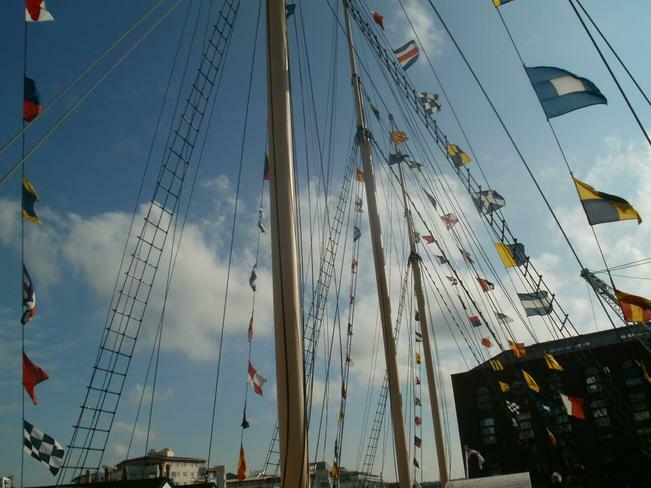 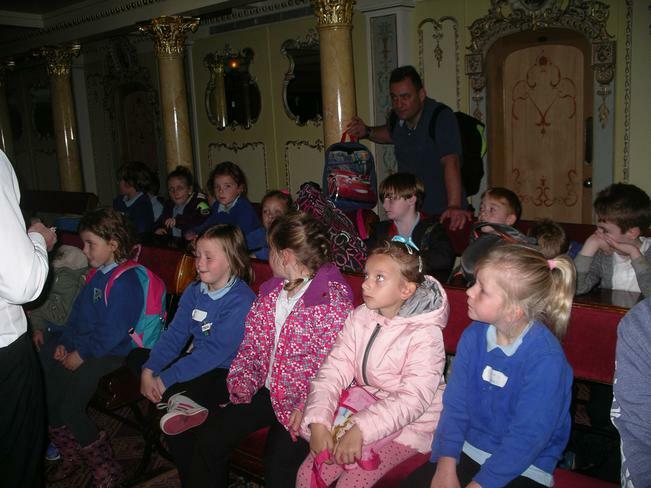 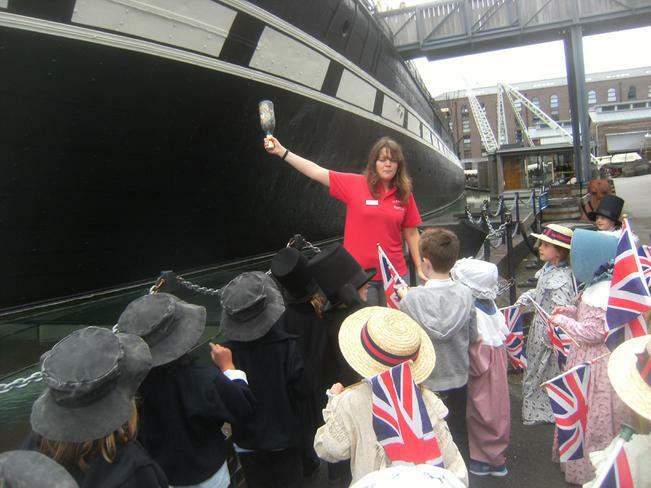 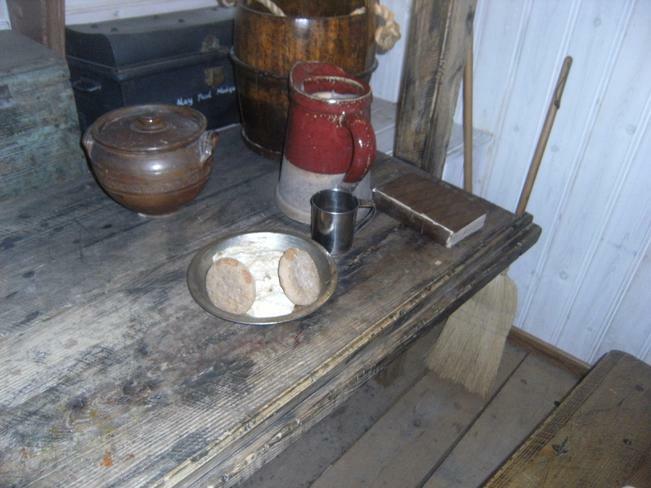 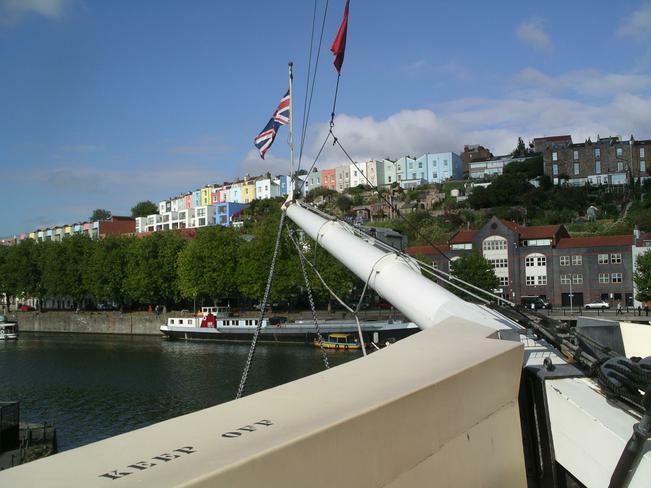 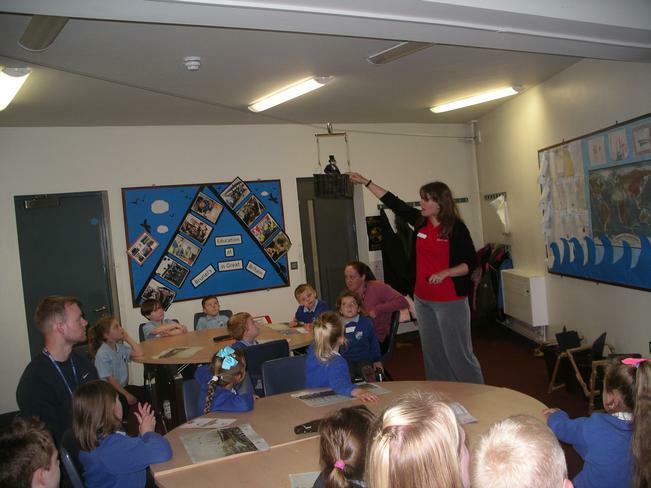 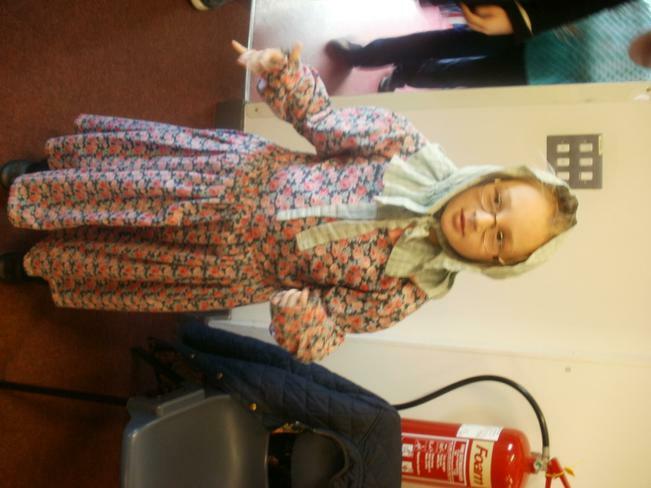 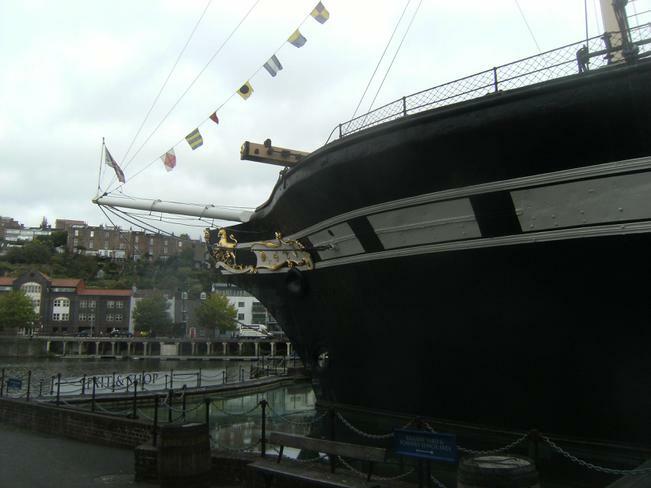 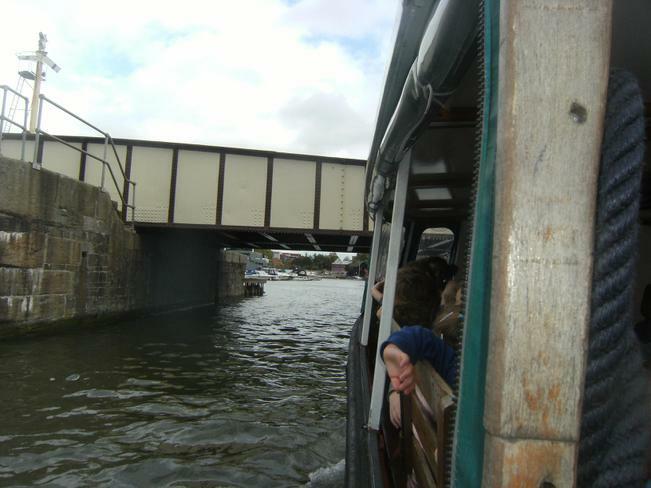 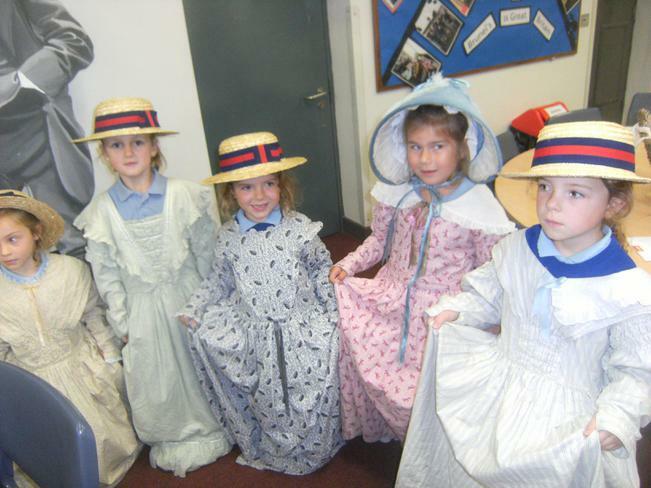 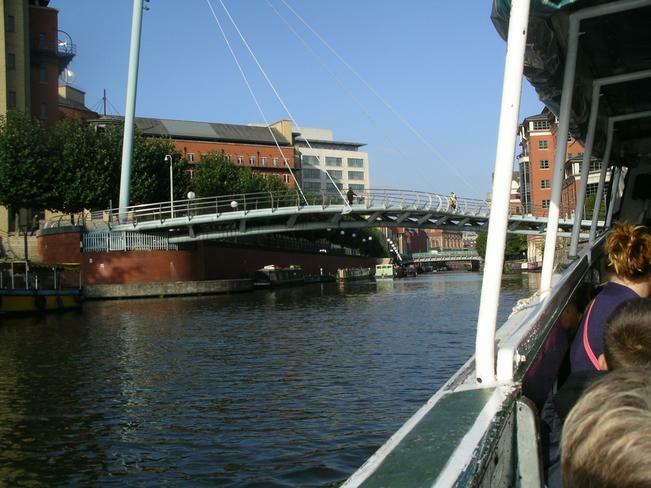 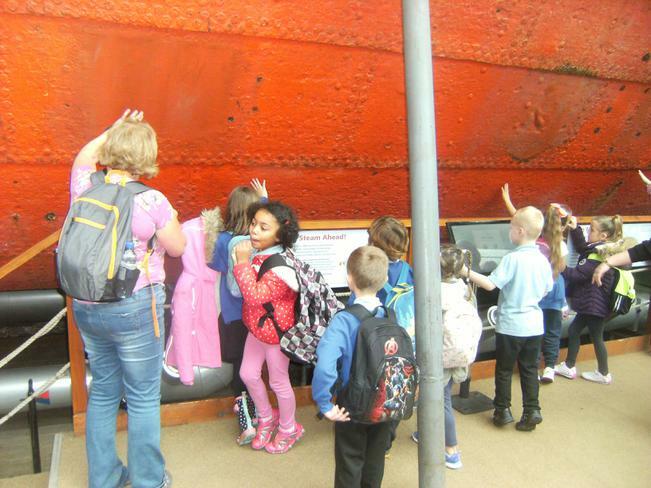 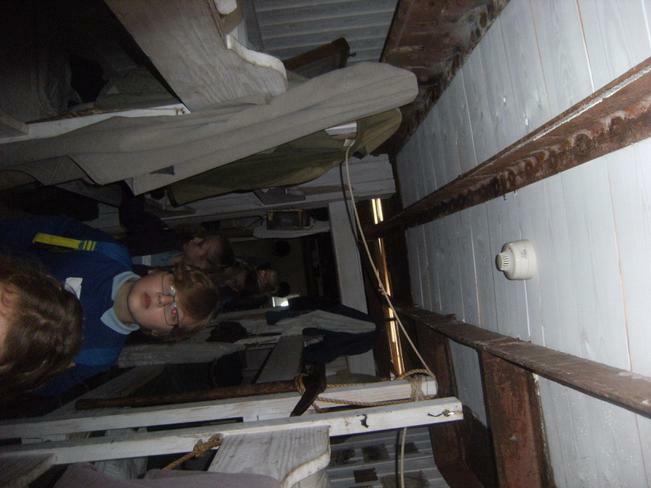 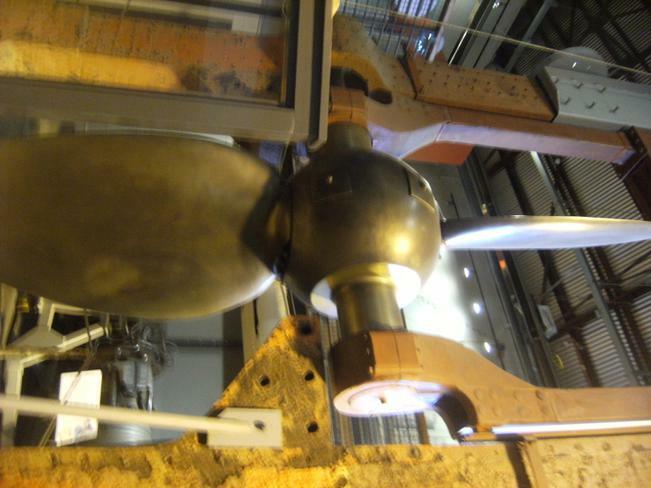 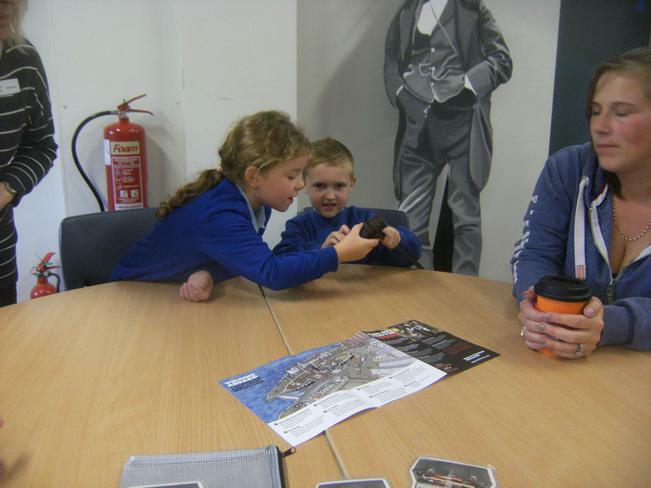 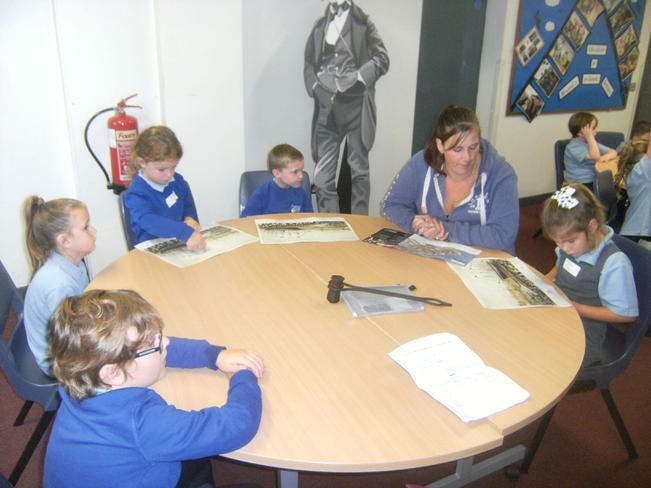 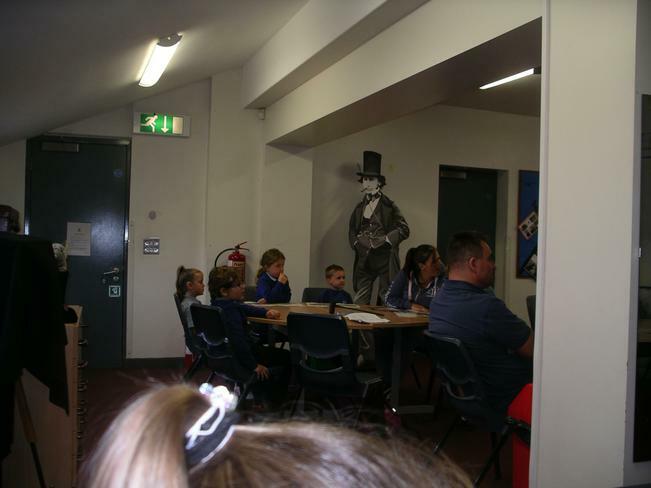 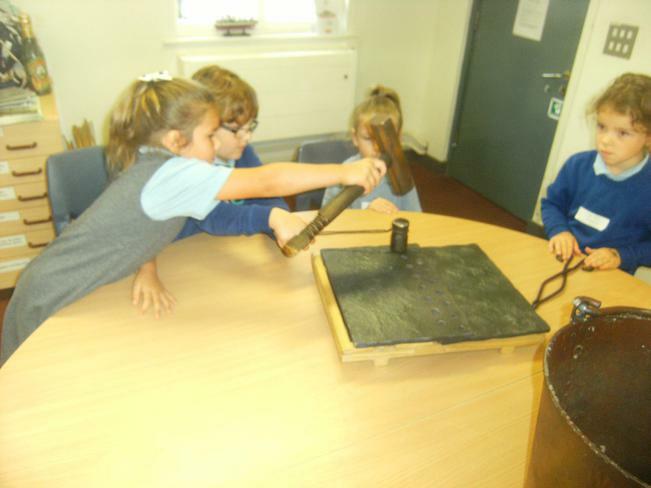 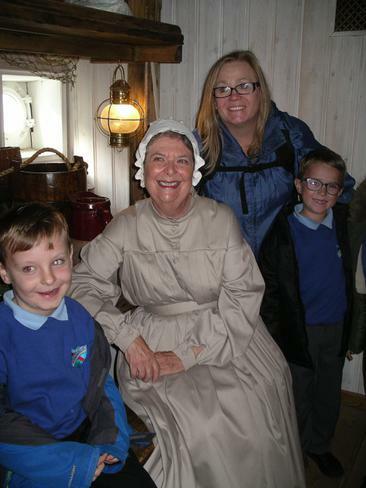 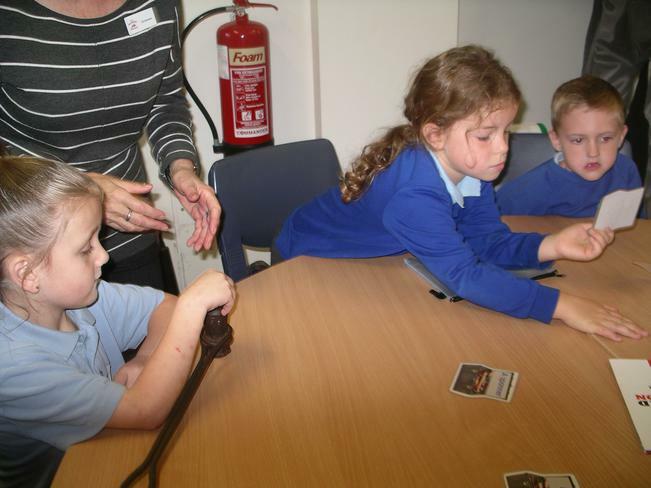 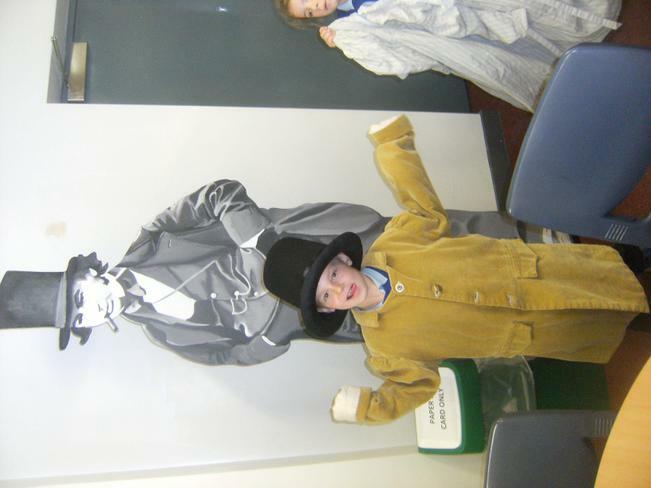 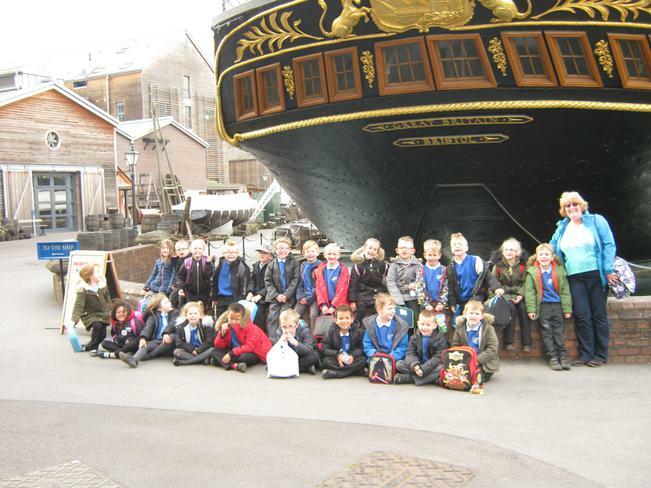 Here are more photos from our trip to SS Great Britain. 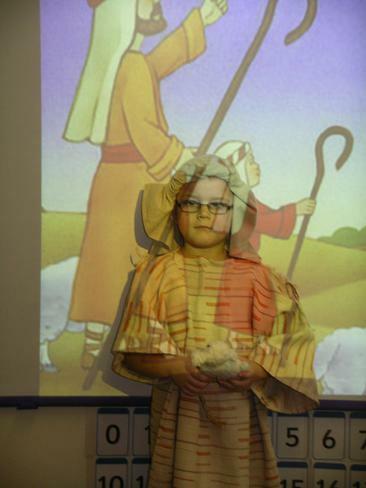 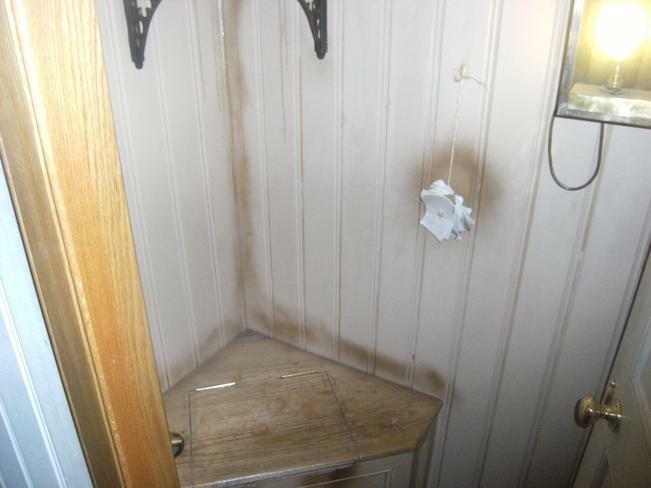 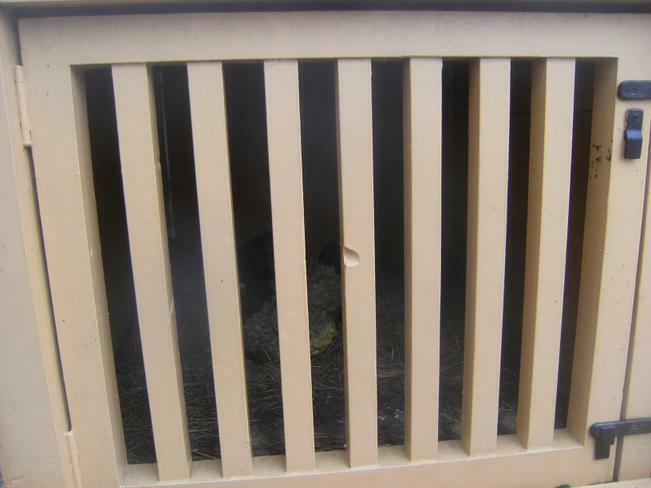 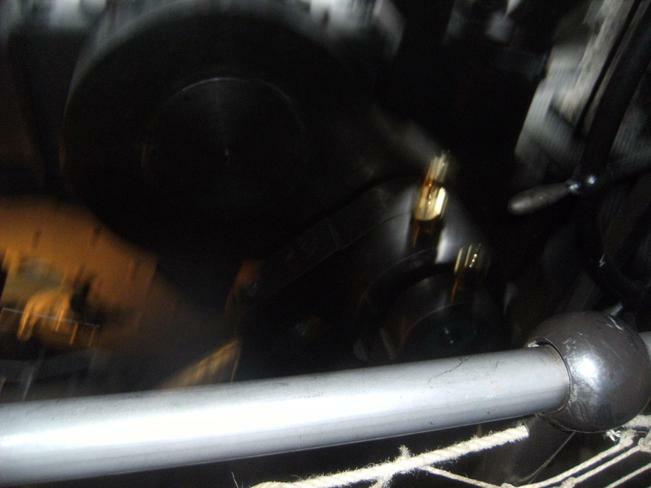 This slideshow shows our day from start to finish. 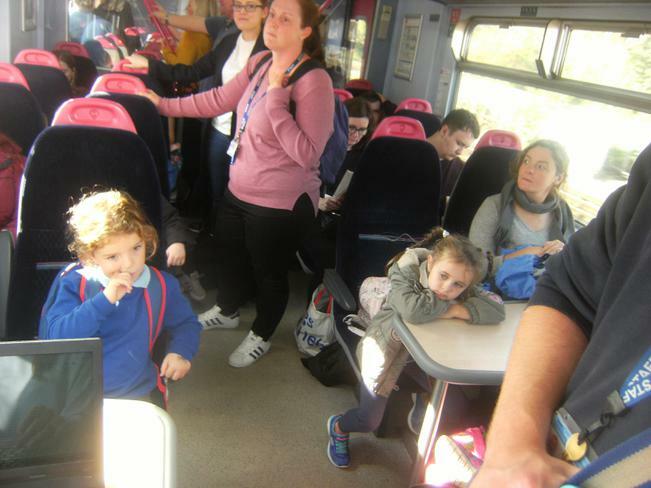 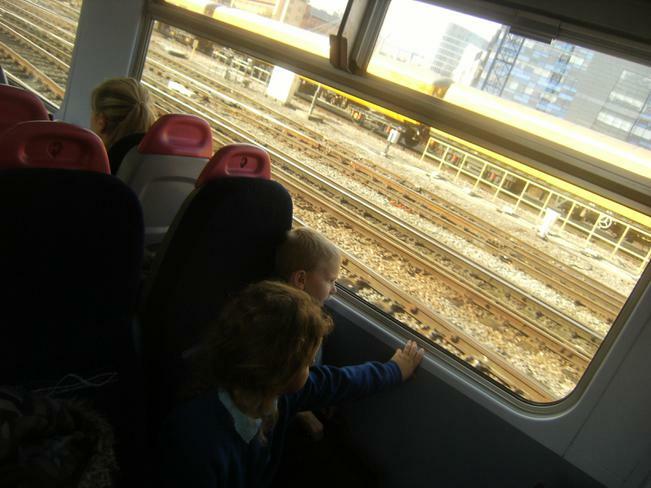 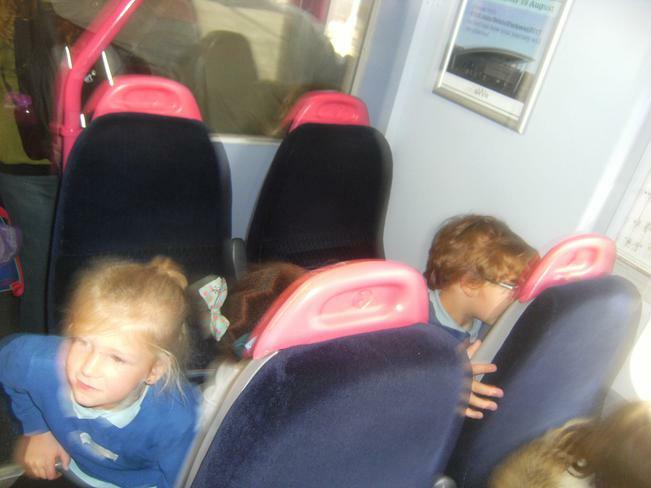 We were feeling very tired on the train coming home! 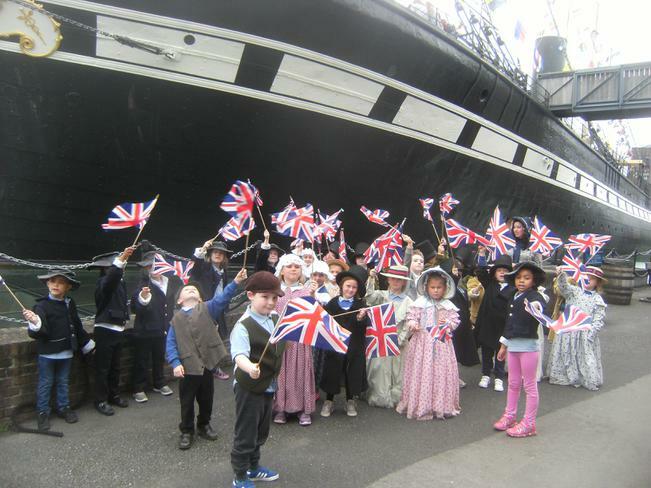 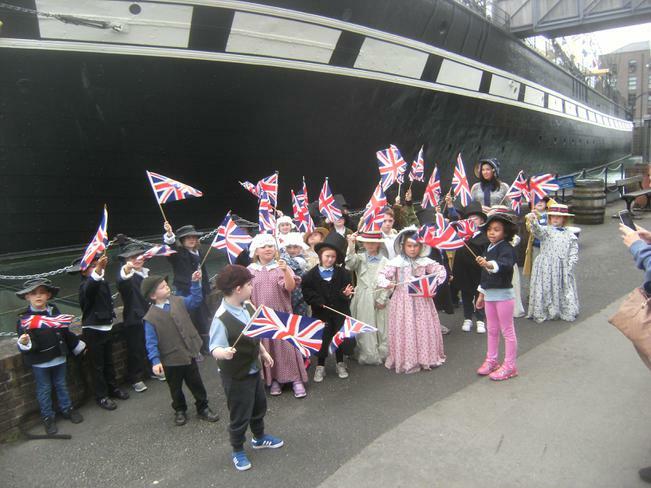 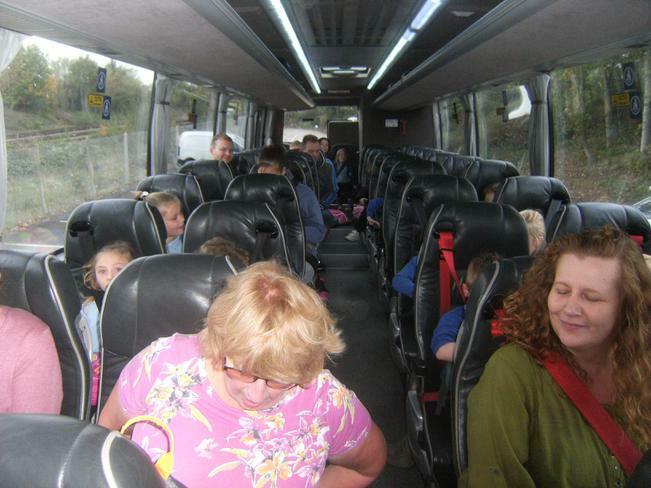 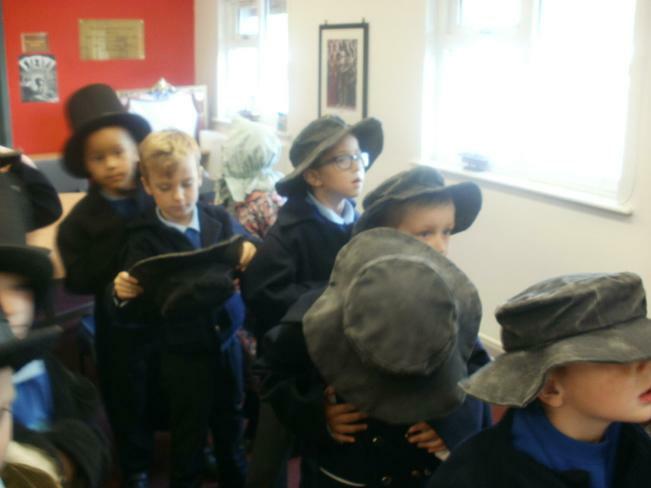 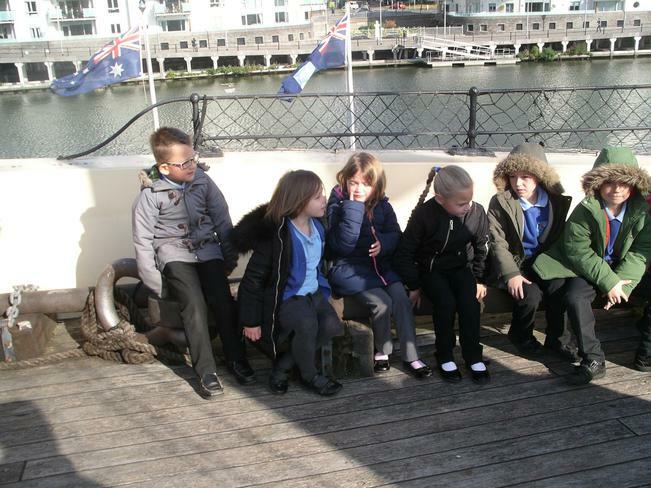 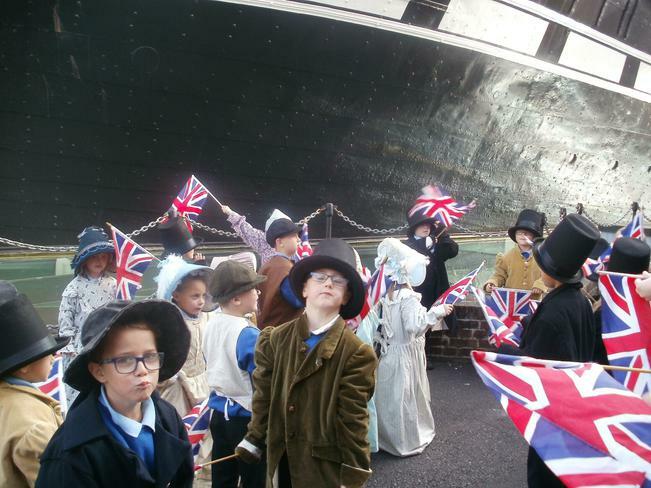 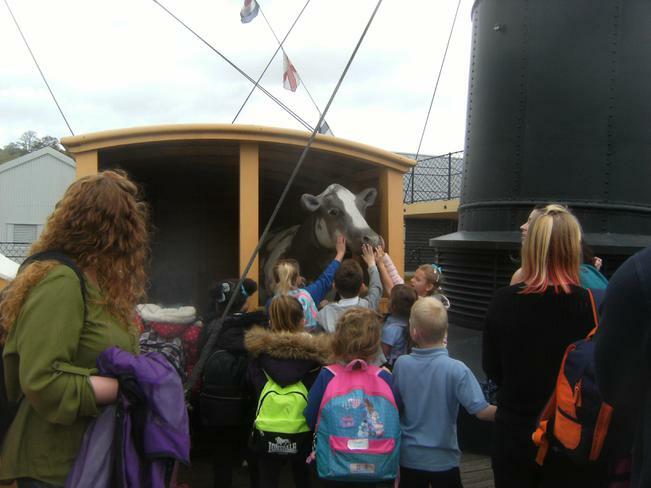 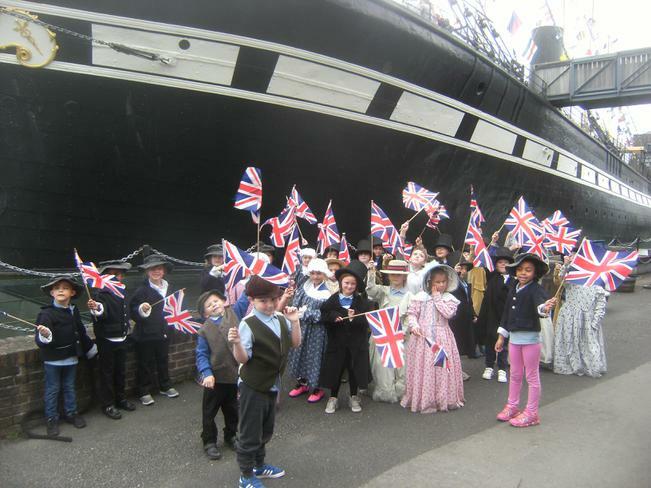 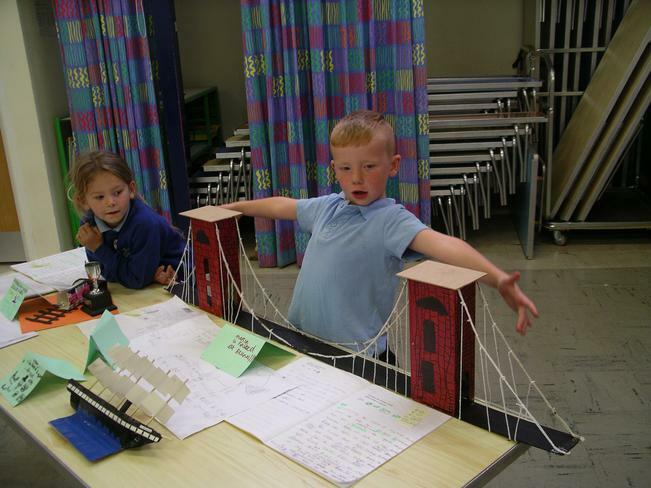 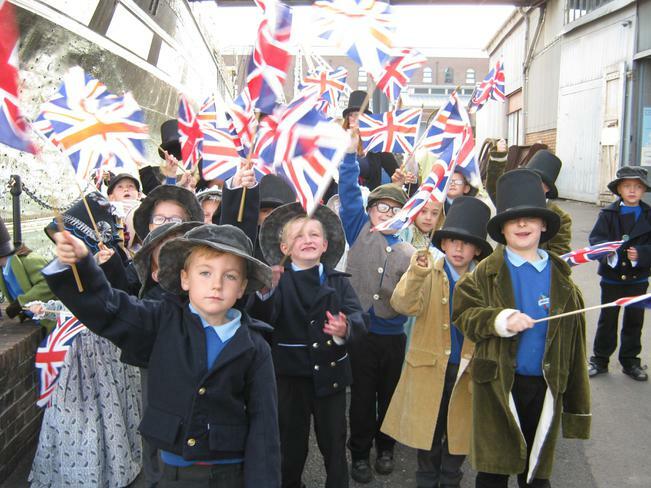 Year 2 had a lovely trip to see SS Great Britain. 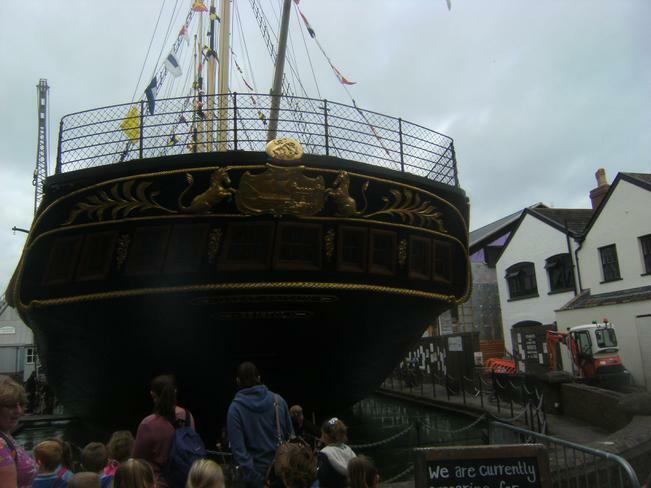 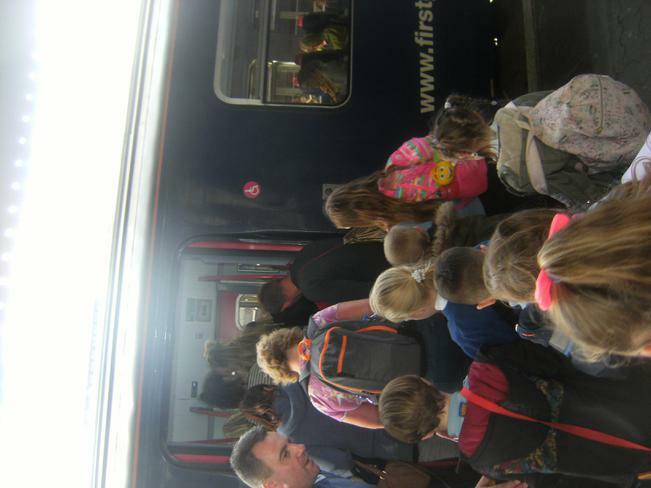 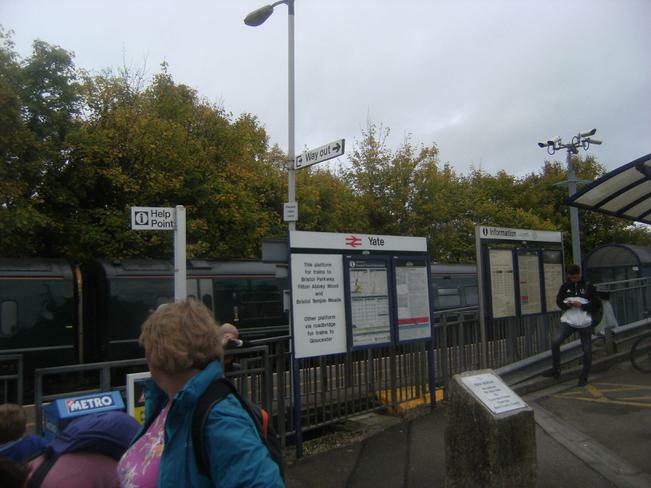 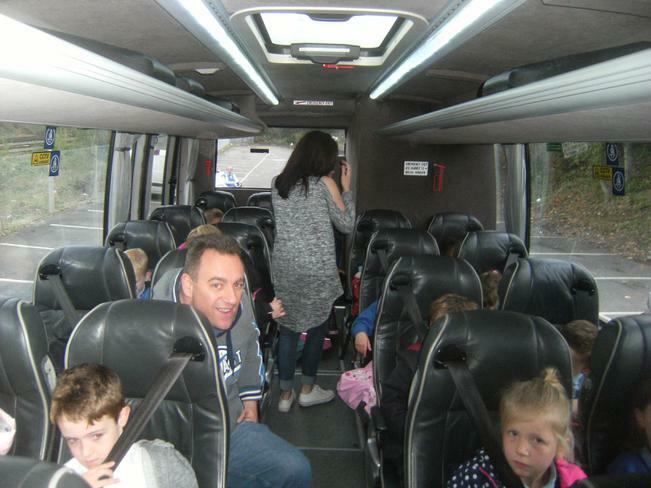 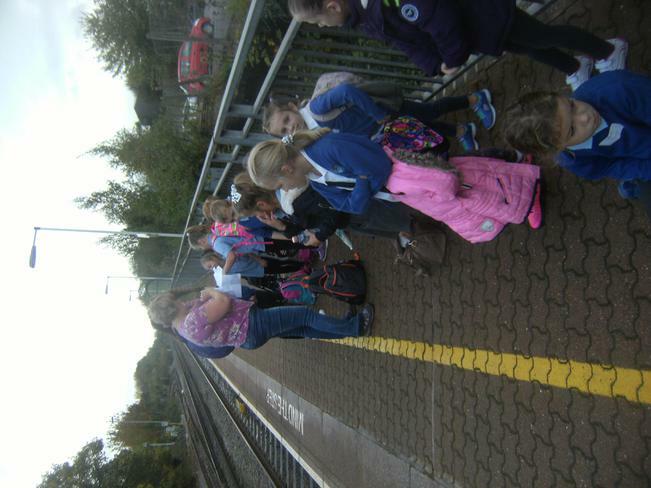 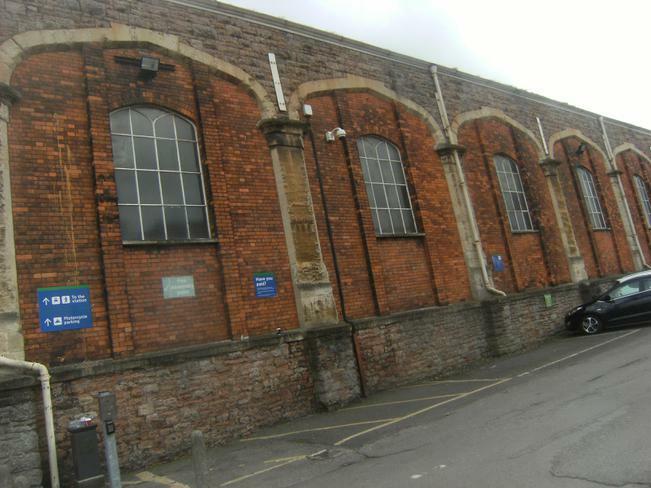 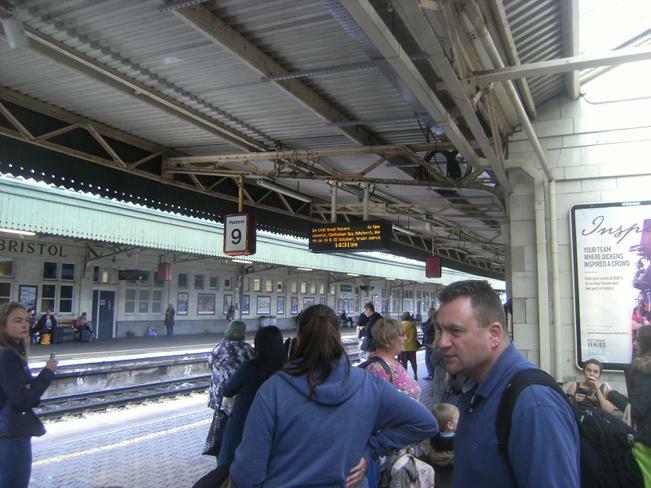 This didn't go to plan at first because the train had broken down but we had a coach instead to take us straight to the SS Great Britain. 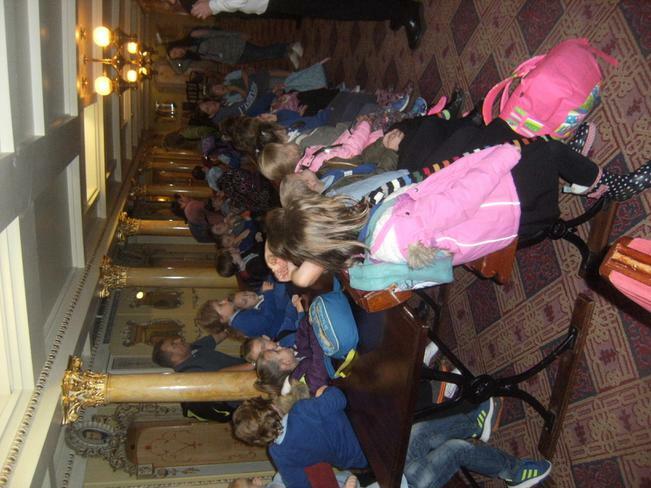  Here are some of the photographs from the trip. 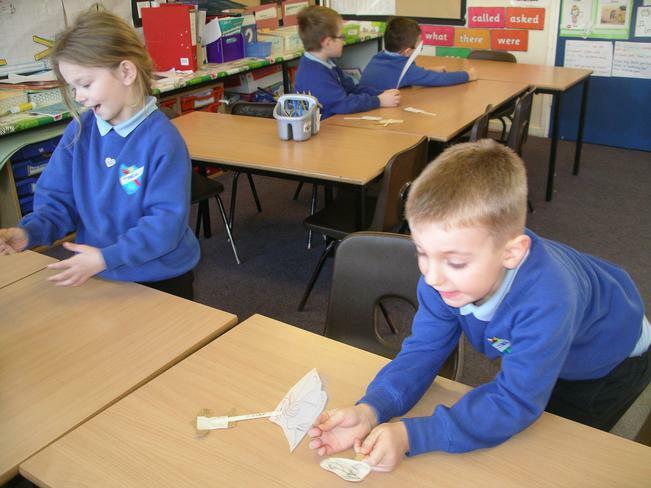 Choose an item from the main menu that we have covered in class. 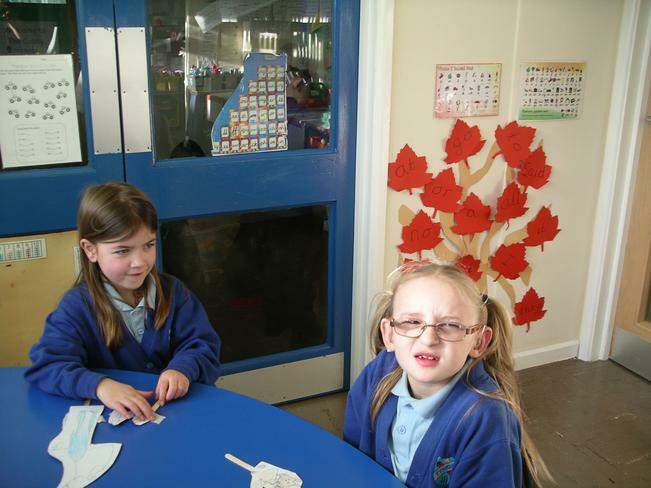 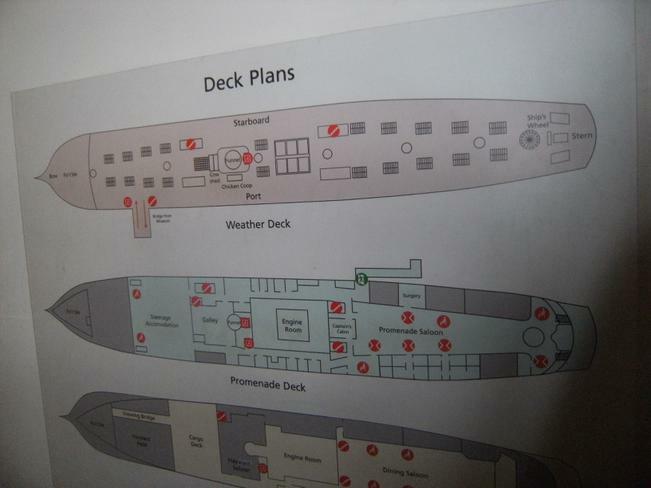 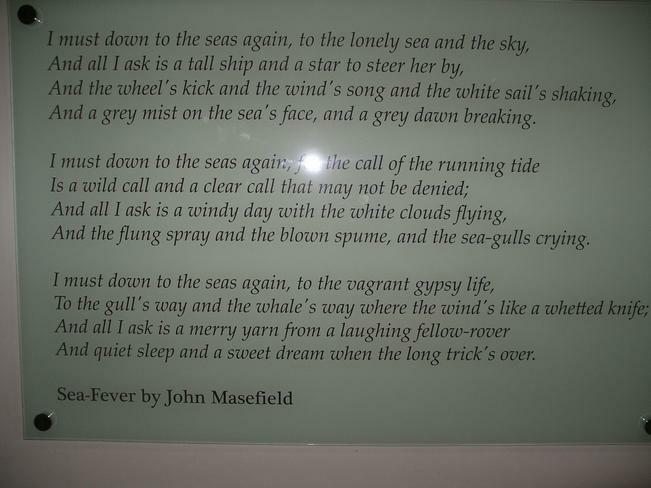 As the term goes on we will cover all the items. 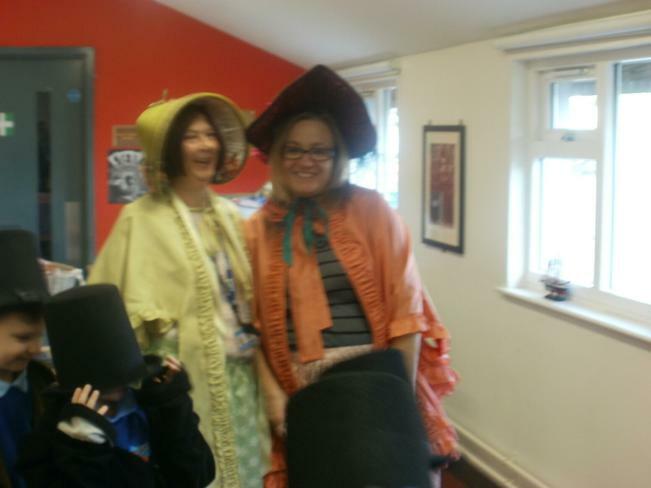 Falcon class staff are Mrs. Kirby and Ms Hardy. 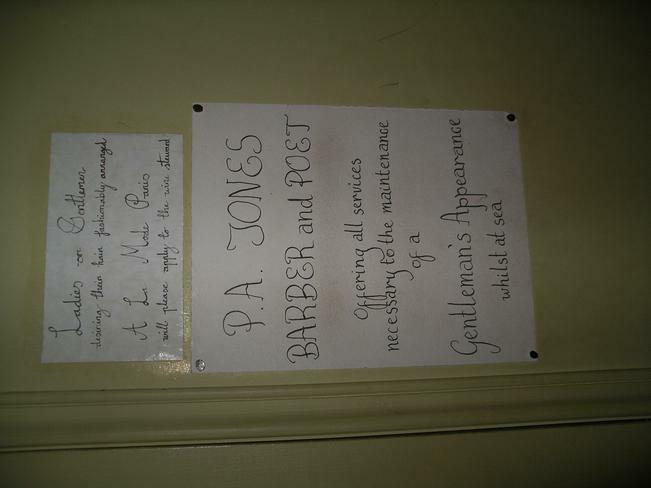 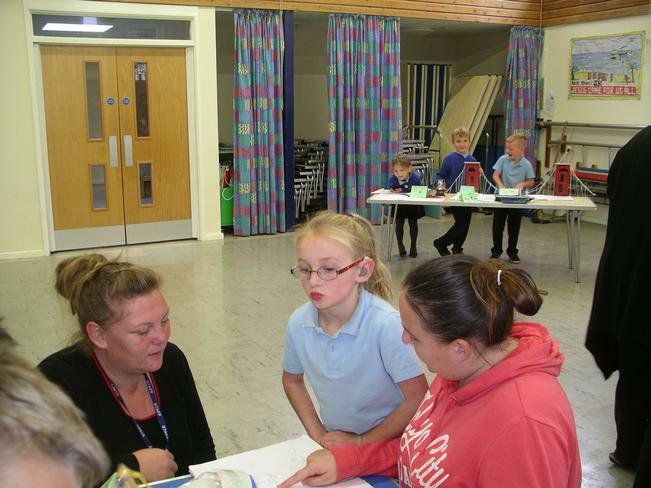 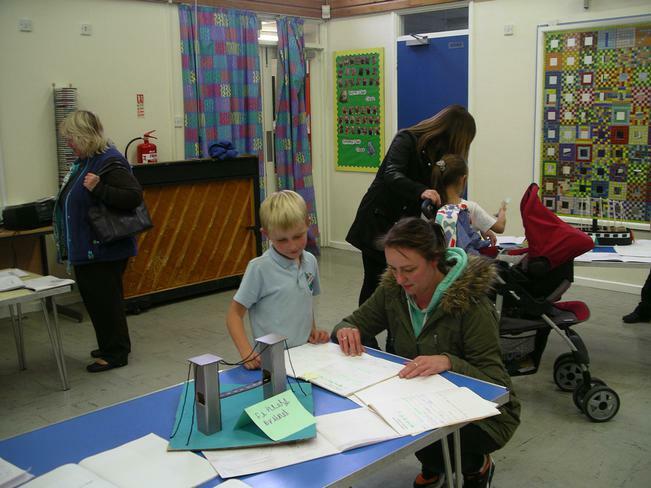 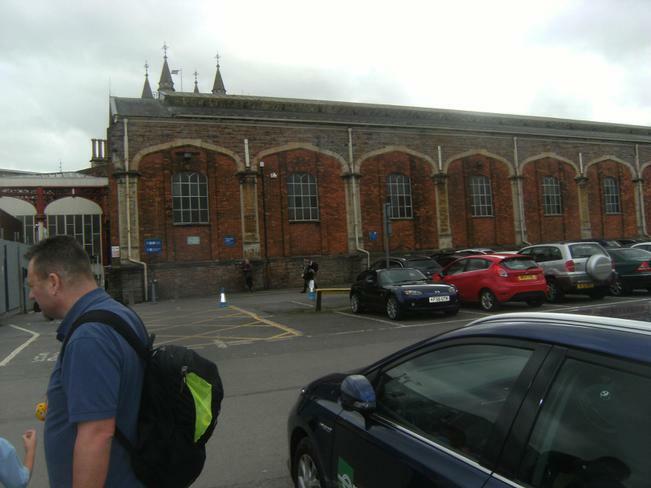 At the beginning of the school day your children can hand in reply slips and homework books. 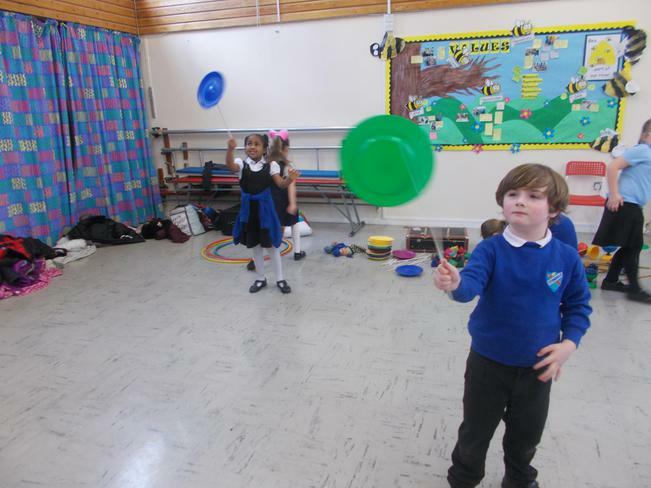 PE is on Mondays and Thursdays. 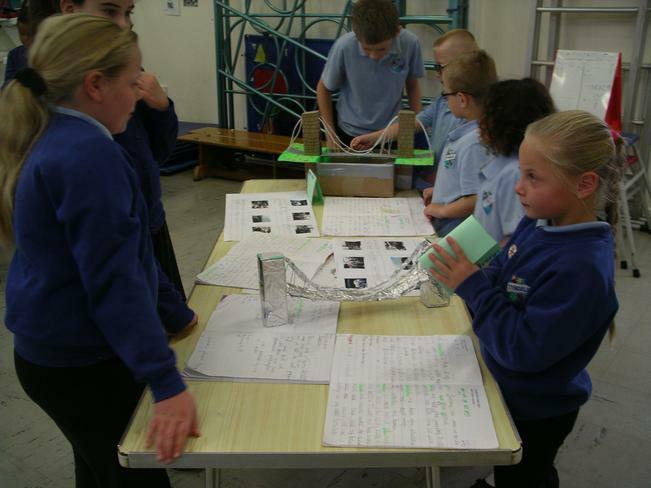 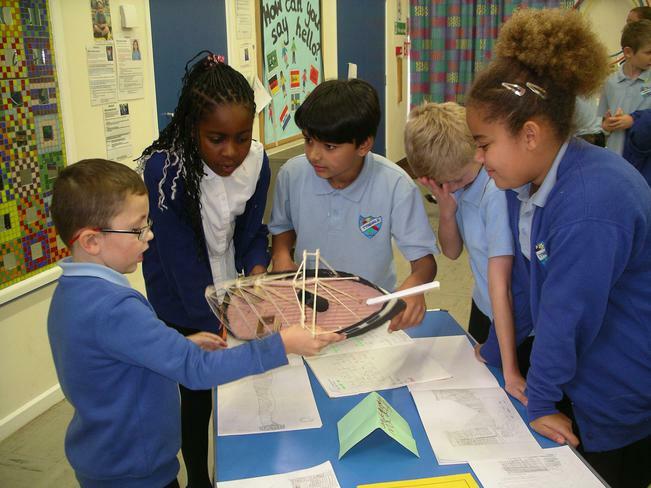 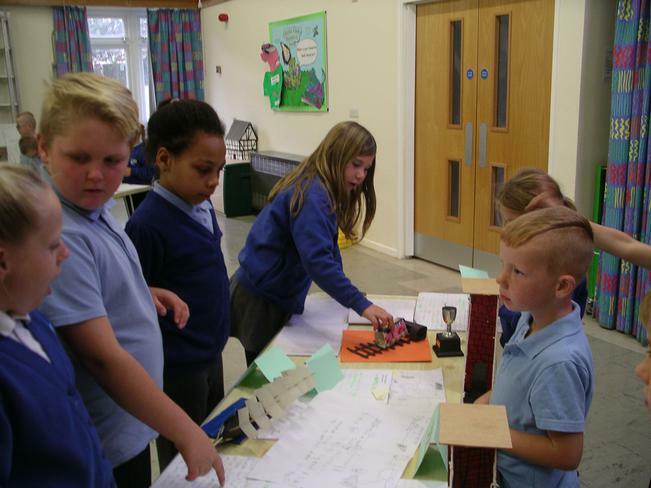 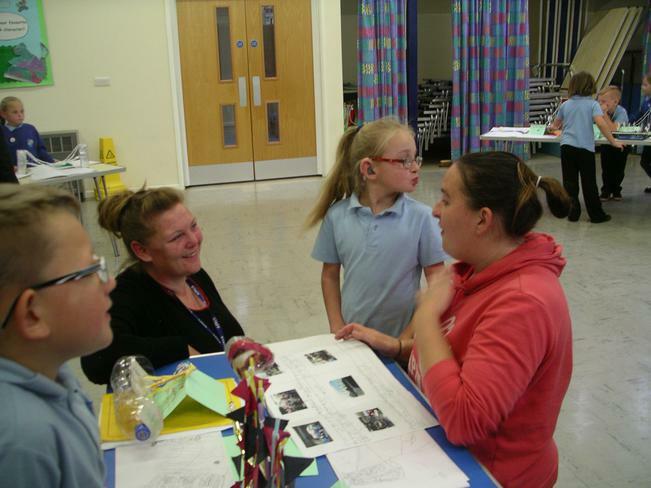 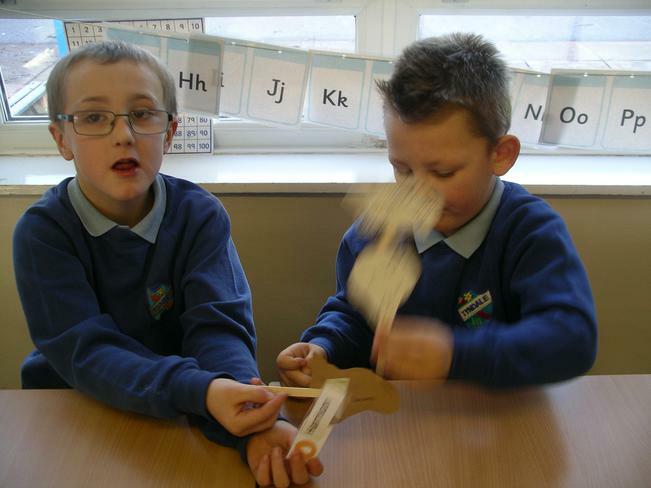 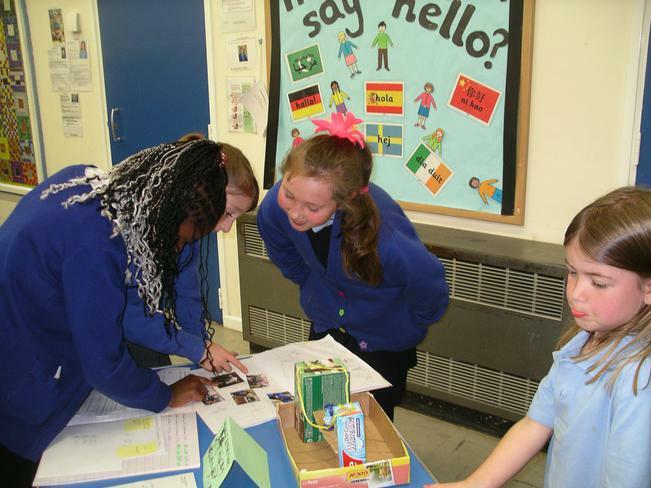 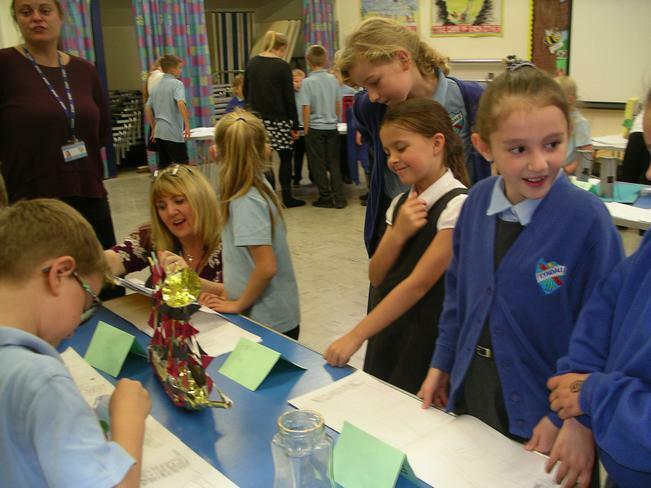 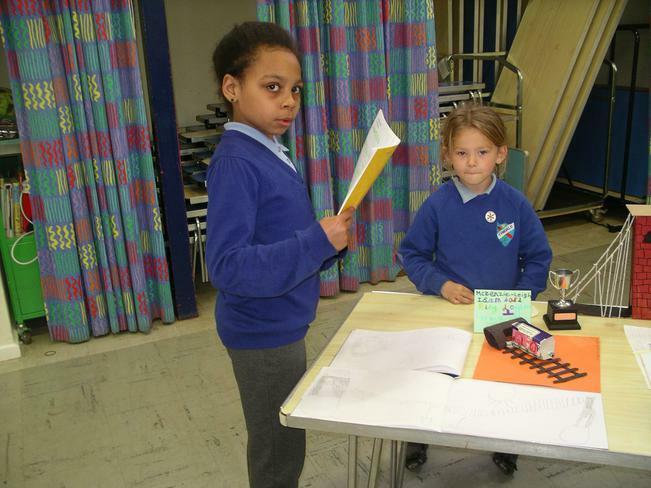 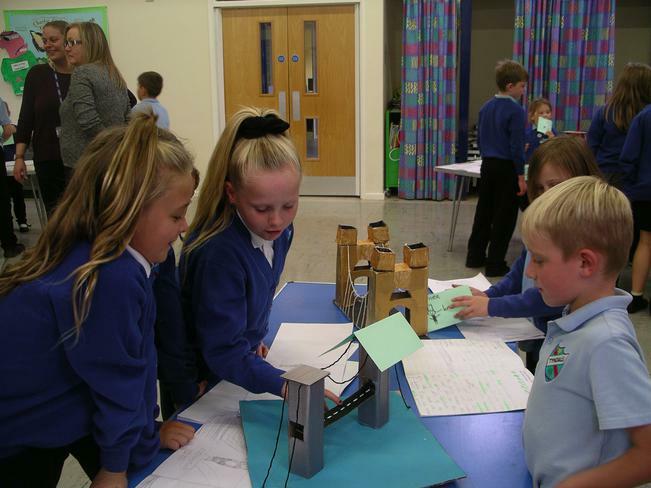 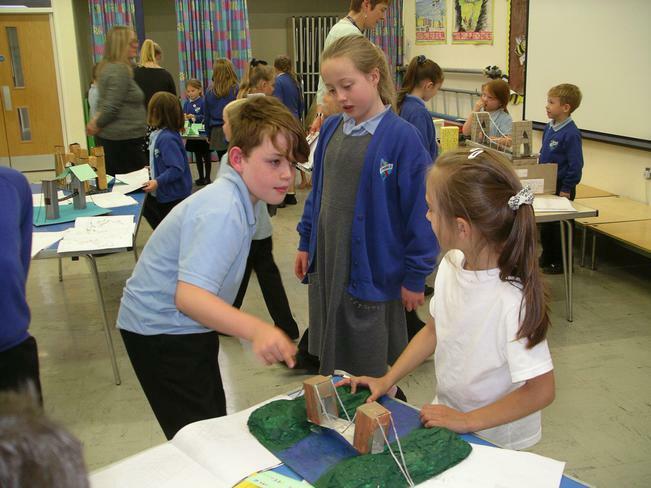 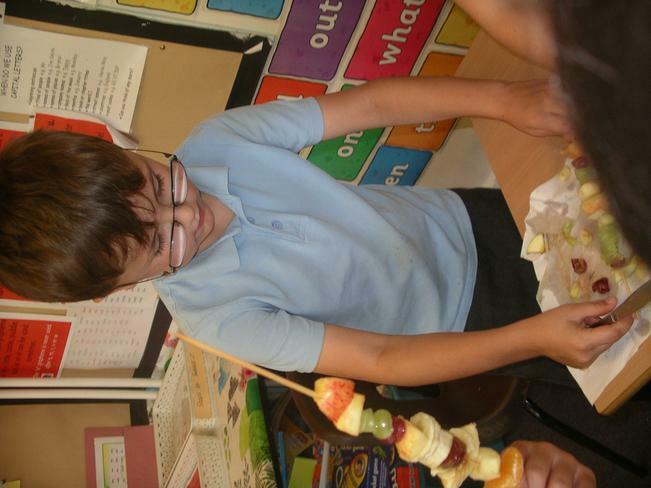 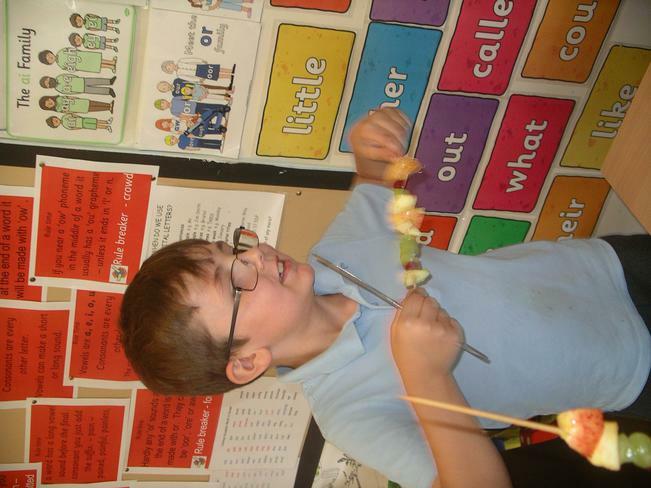 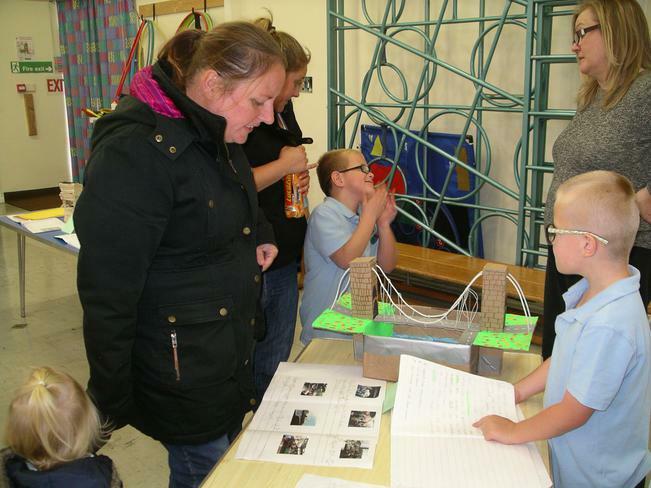 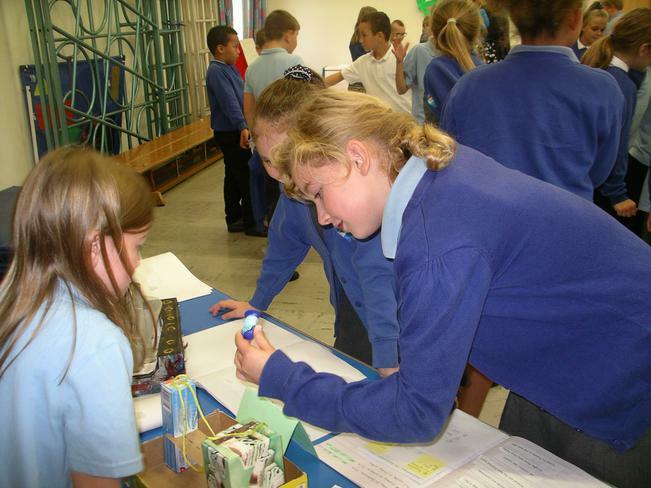 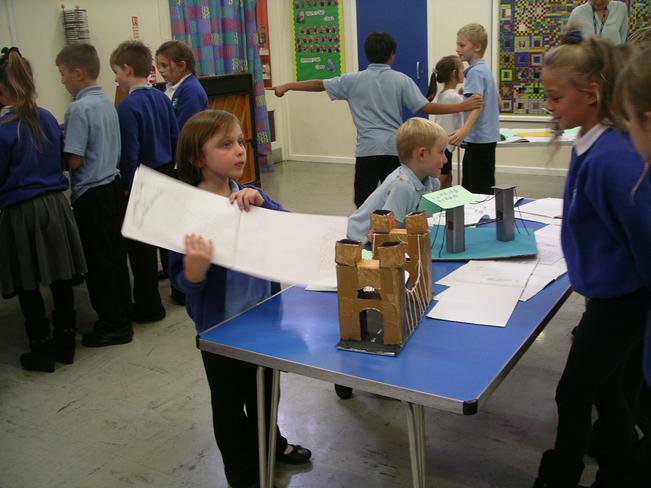 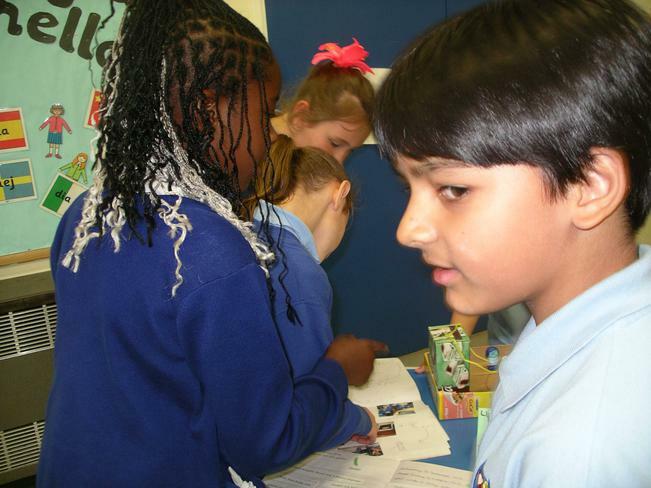 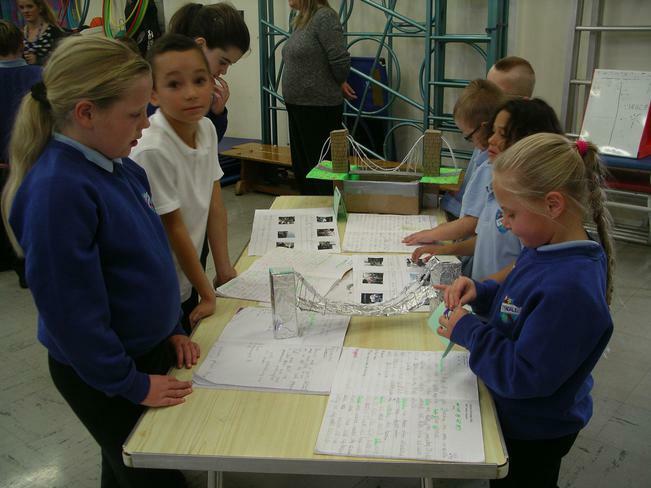 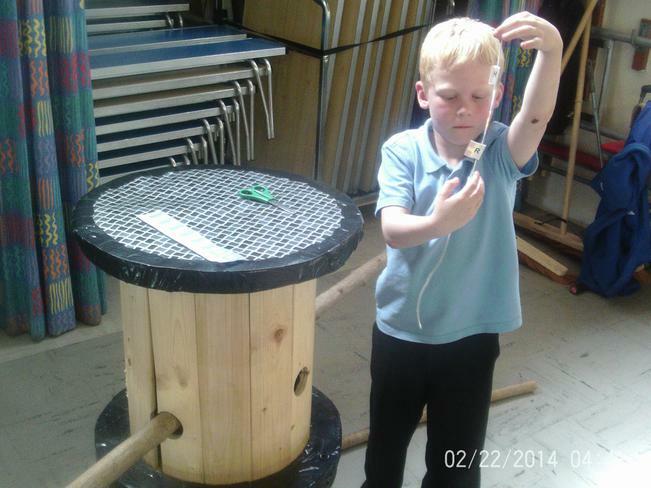 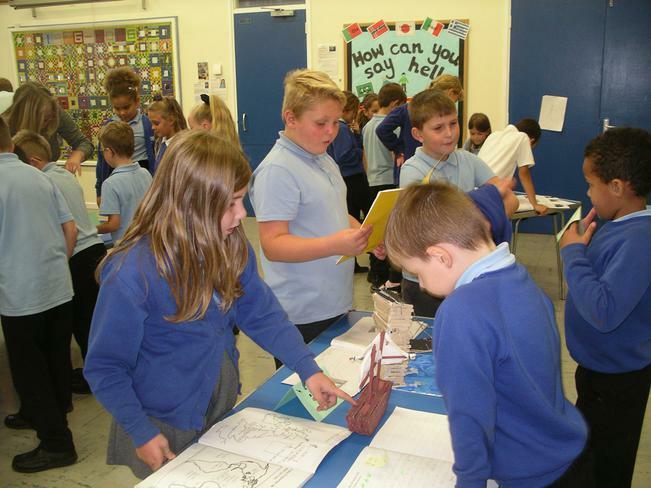 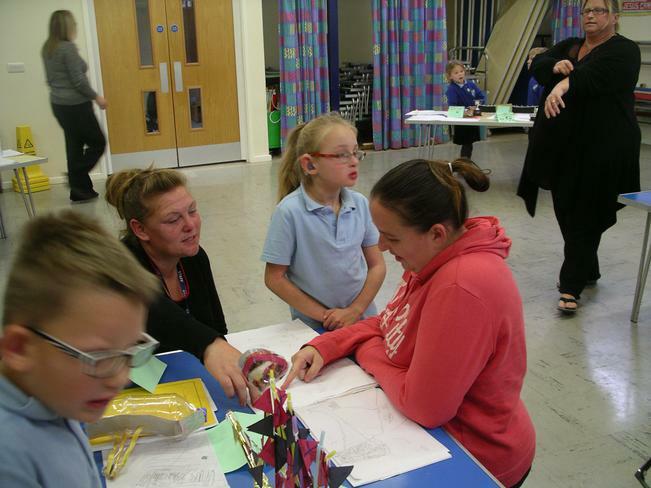 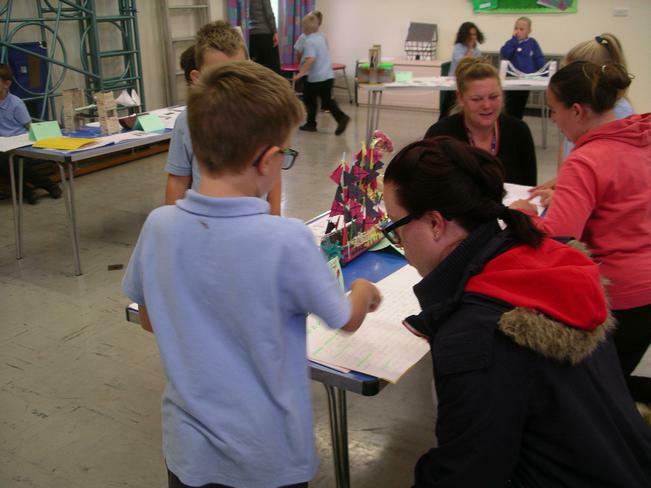 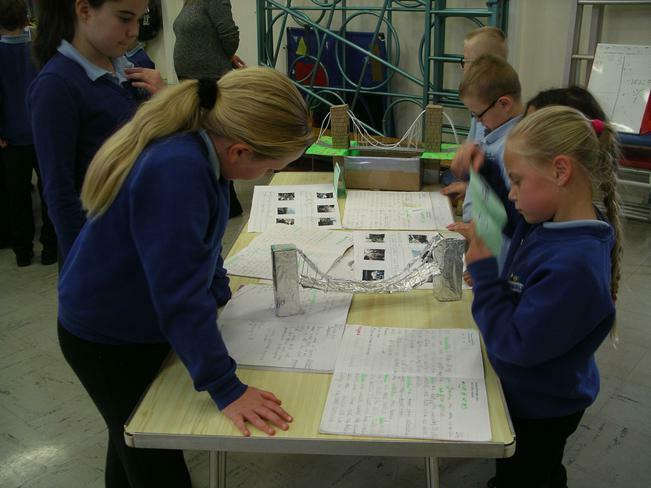 Last Tuesday, the whole school had a Science Day. 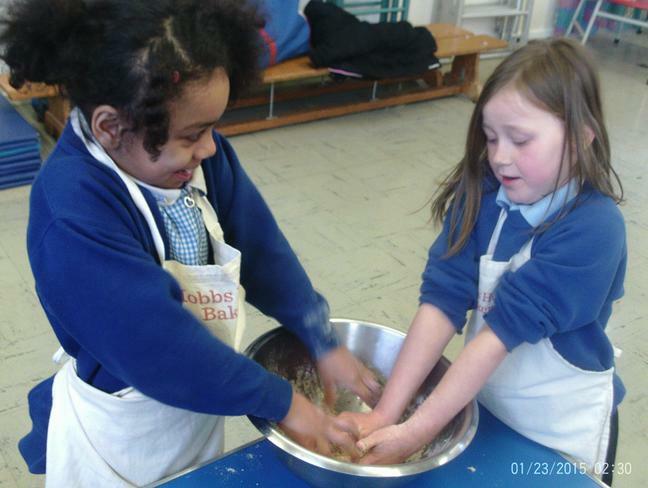 We melted chocolate to decorate biscuits with. 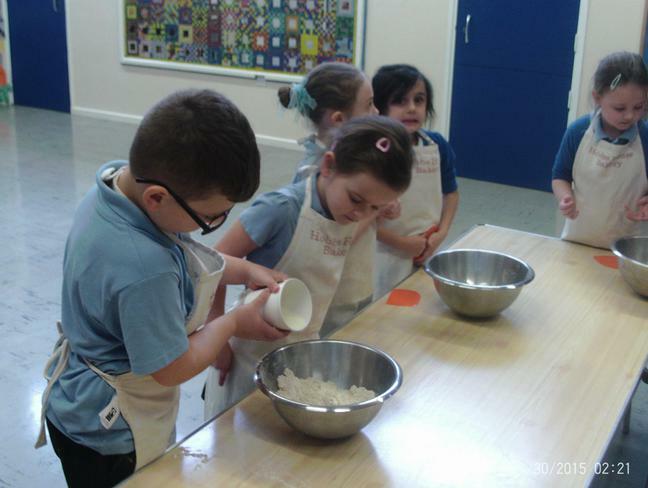 Then we made icing and it turned to a liquid. 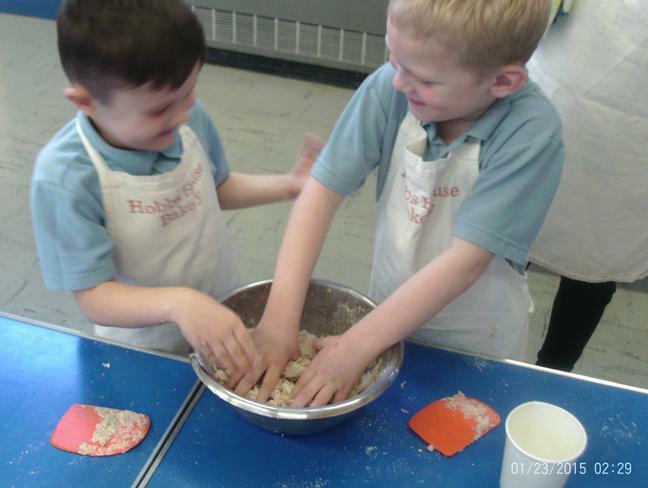 We made dough for biscuits. 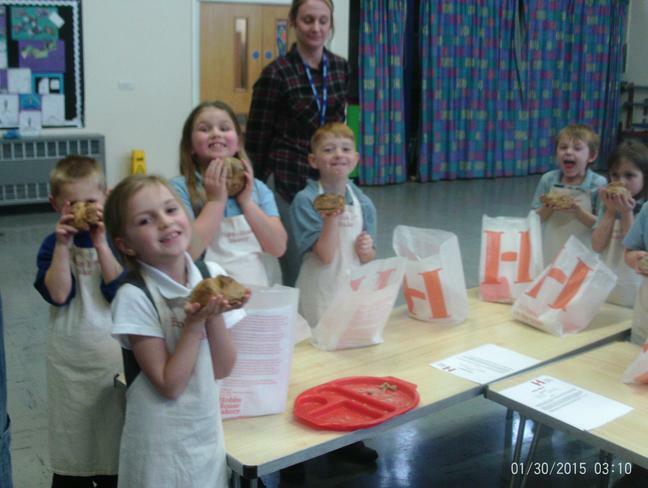 Then we baked them and they went hard. 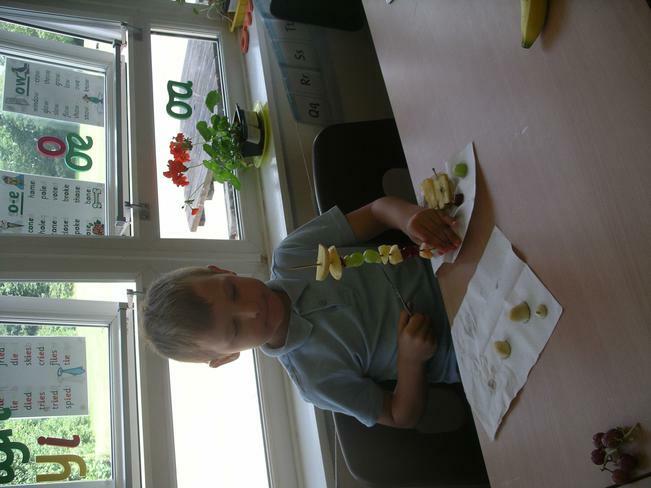 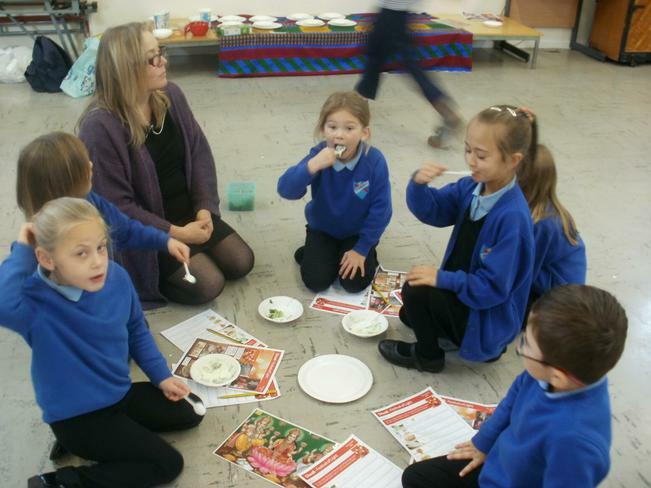 We enjoyed eating them - they were yummy. 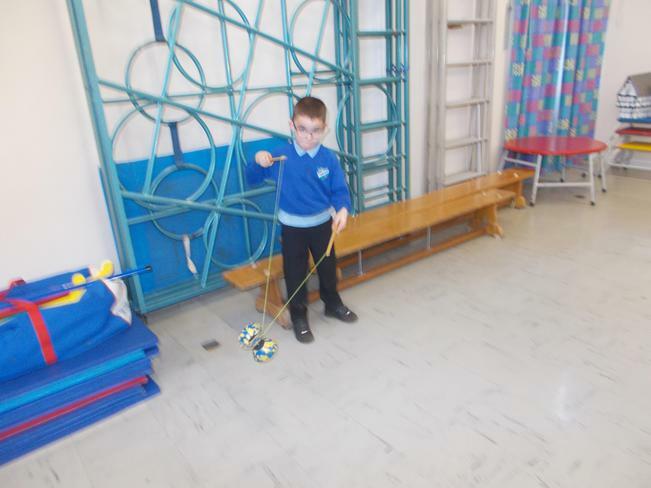 We found that not all changes are reversible. 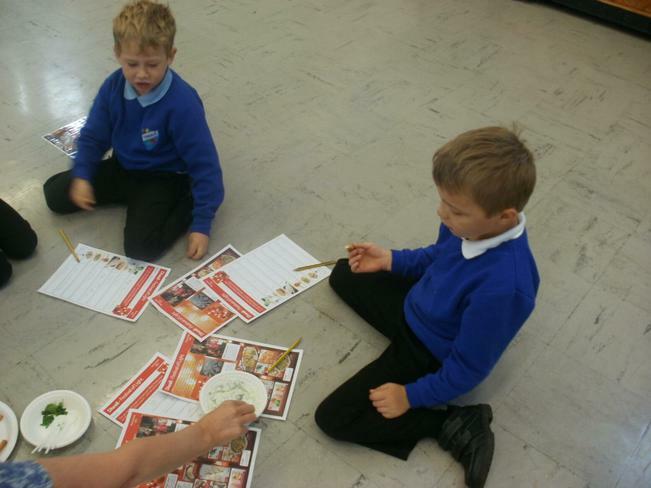 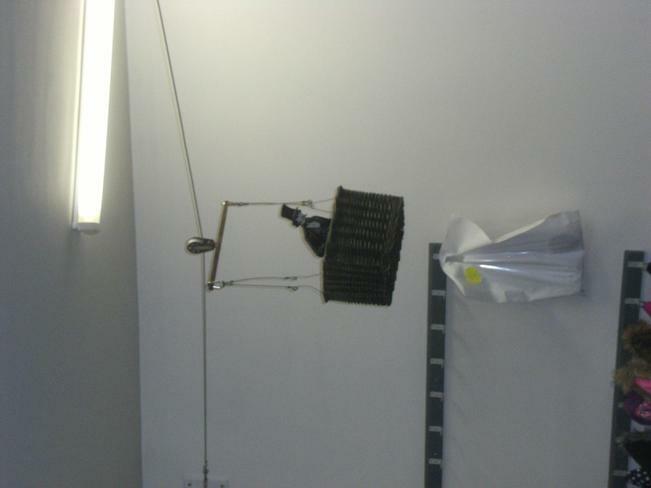 Mrs. Kirby held a dish above a boiling kettle. 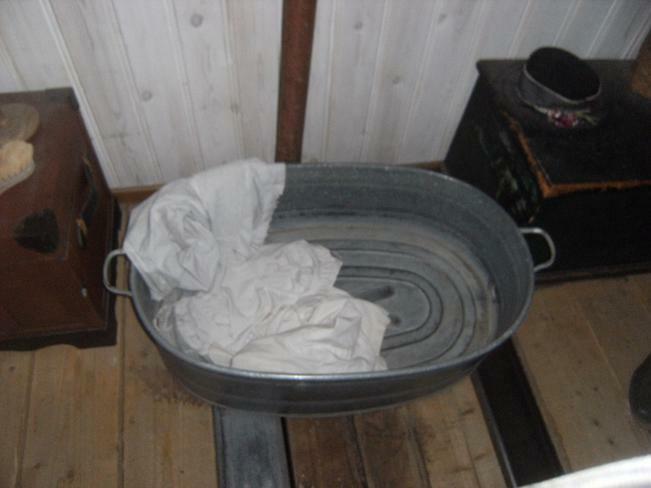 The steam collected in the dish. 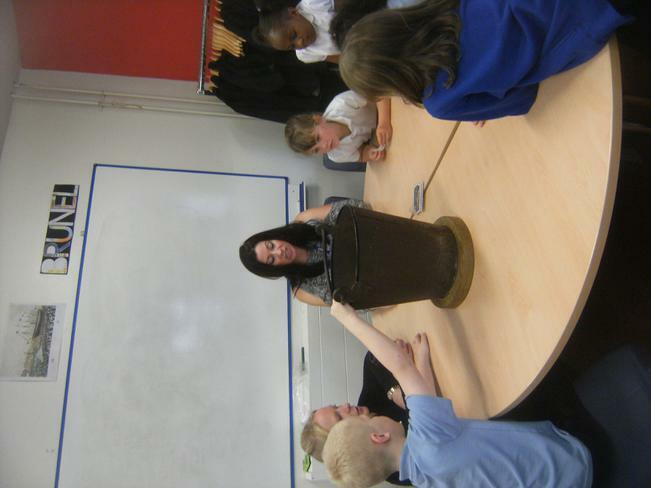 There was a lot of water vapour in the bowl. 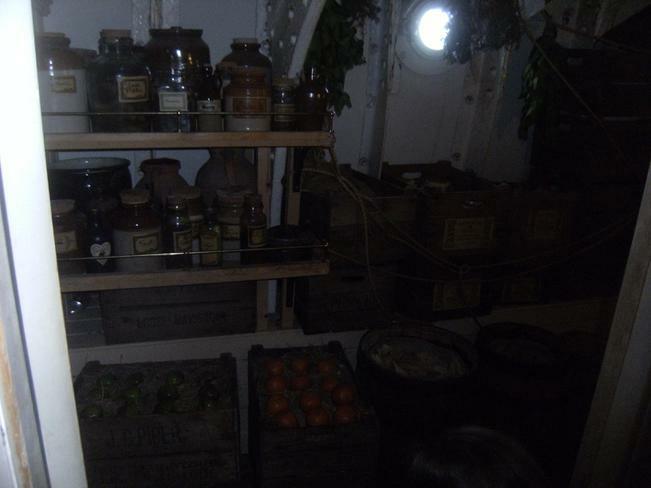 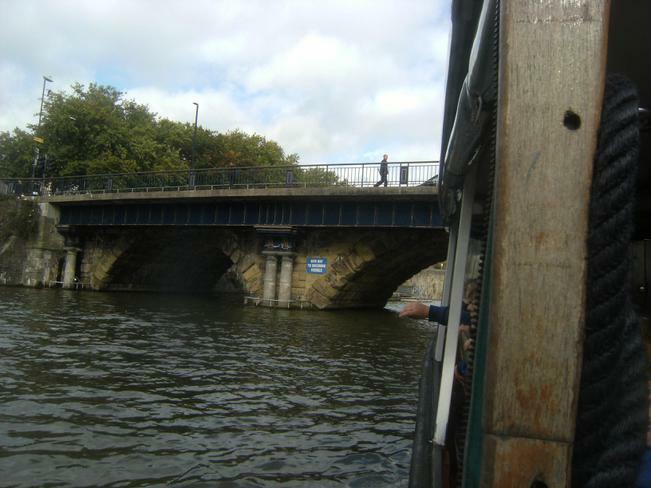 Then some of it condensed back into water. 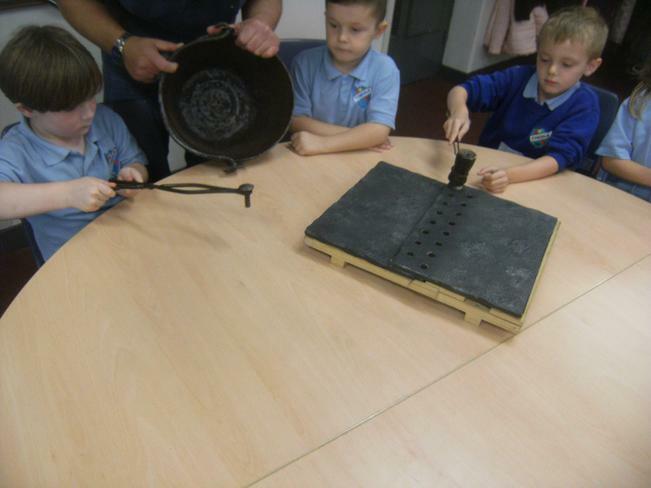 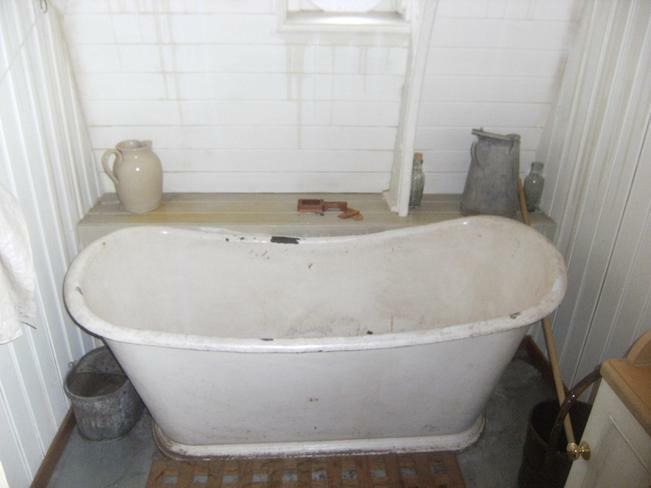 We could pour the water onto the table. 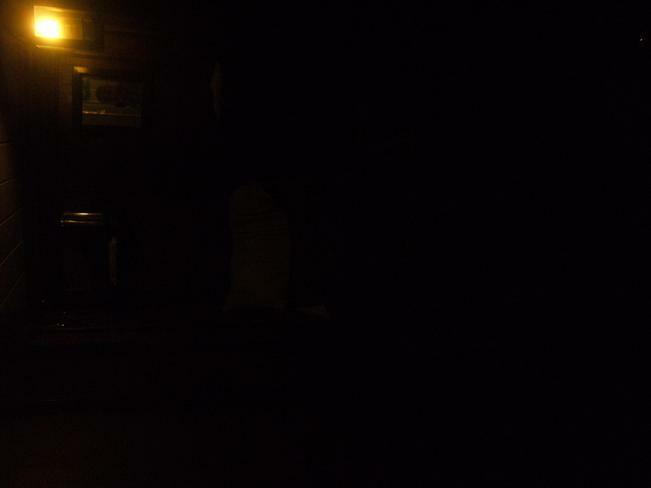 The same thing happens every day in the world. 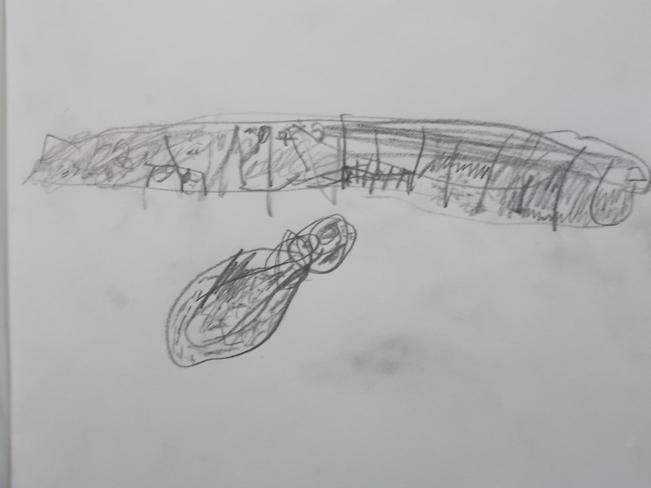 It is called The Water Cycle. 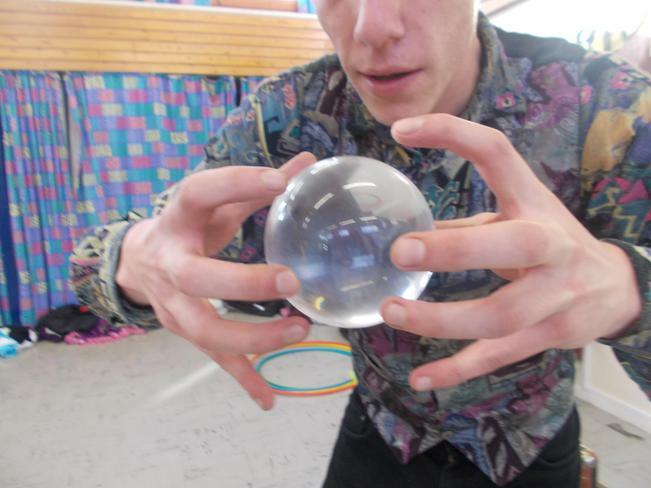 We got the ice out of the balloons. 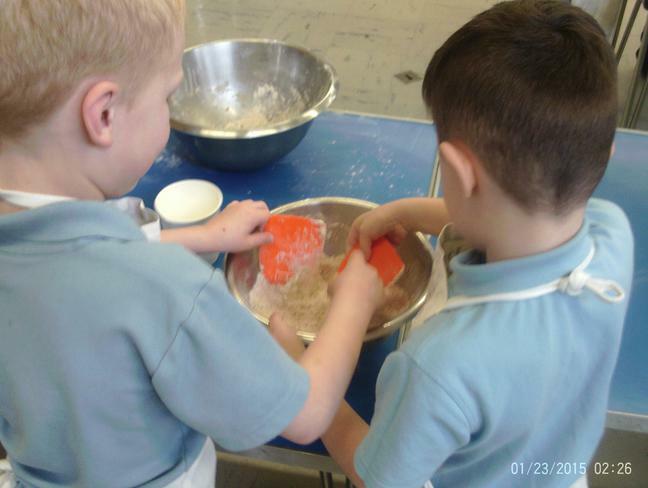 At first we couldn't cut the ice. 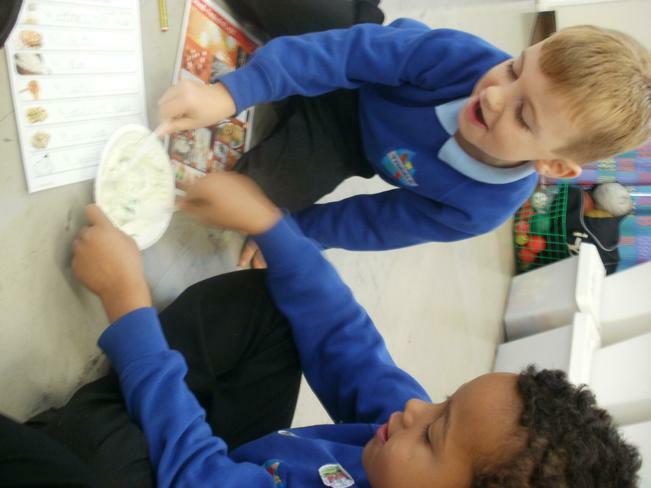 Then we tried putting salt on the ice. 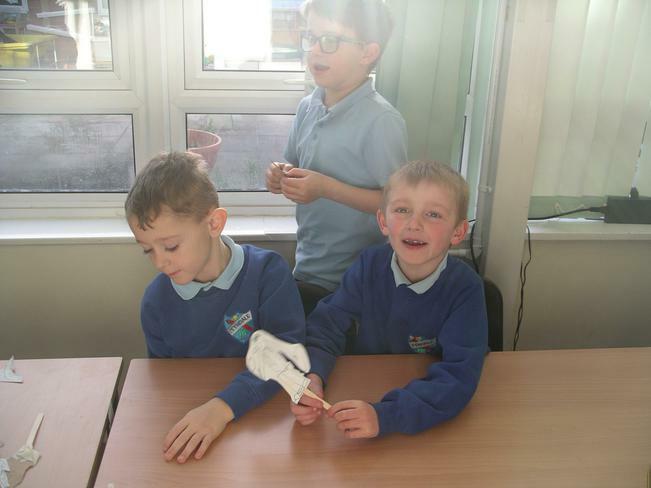 Then we cut the ice easily. 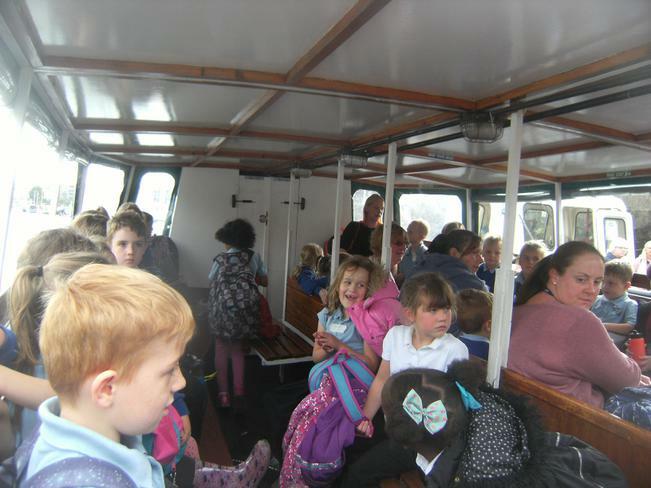 The ice didn't feel smooth any more, it was bumpy. 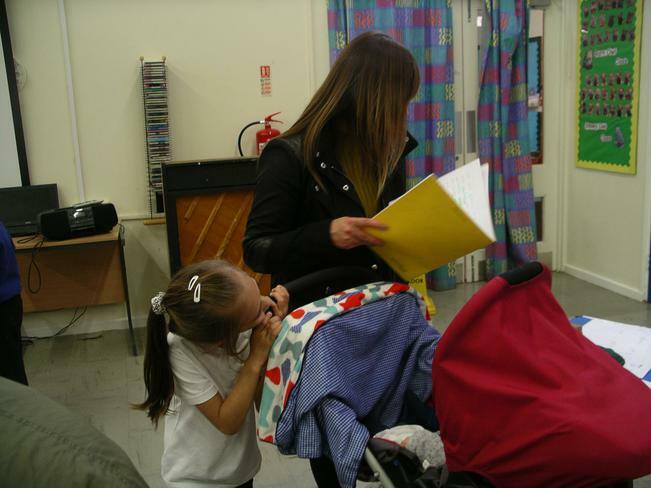 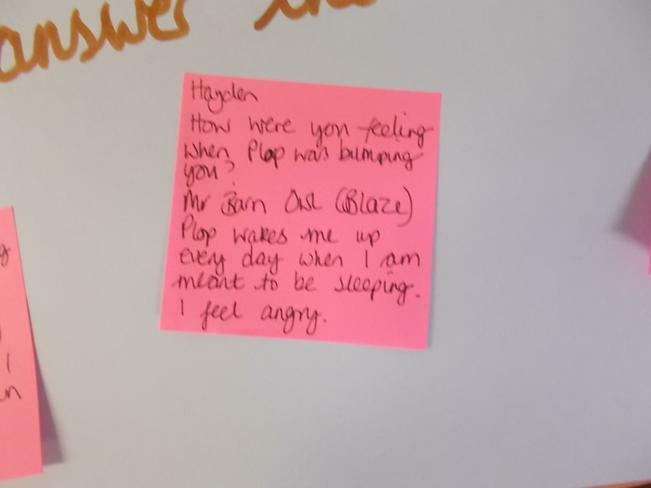 Some parents came for Stay and Write. 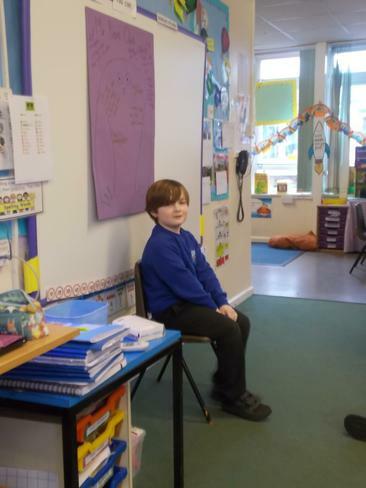 We chose a character from a traditional tale. 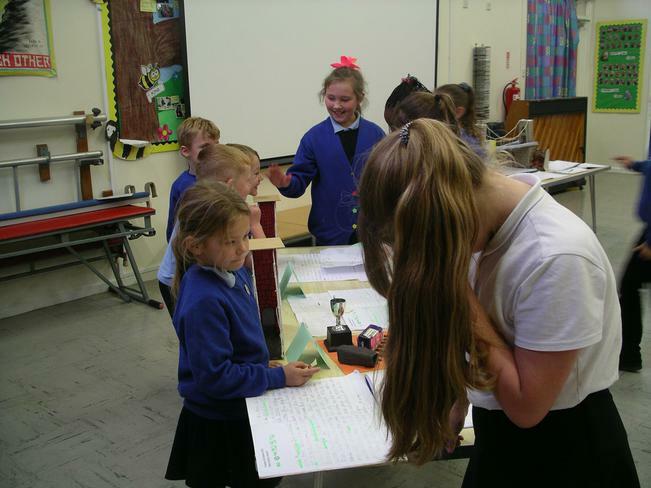 Then some of us wrote a report on them. 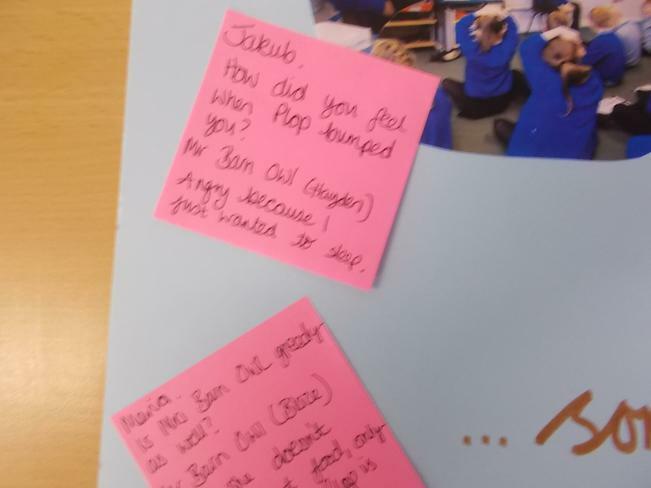 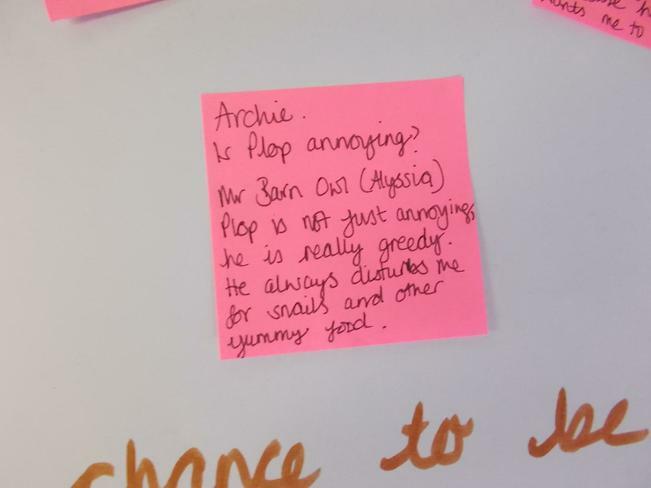 Some of us wrote a character description. 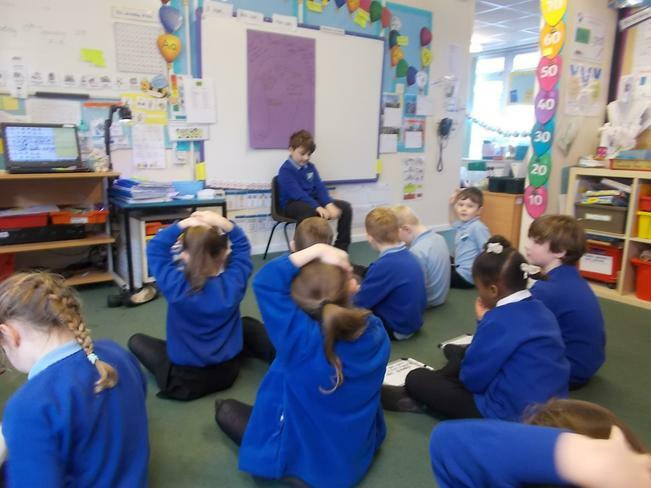 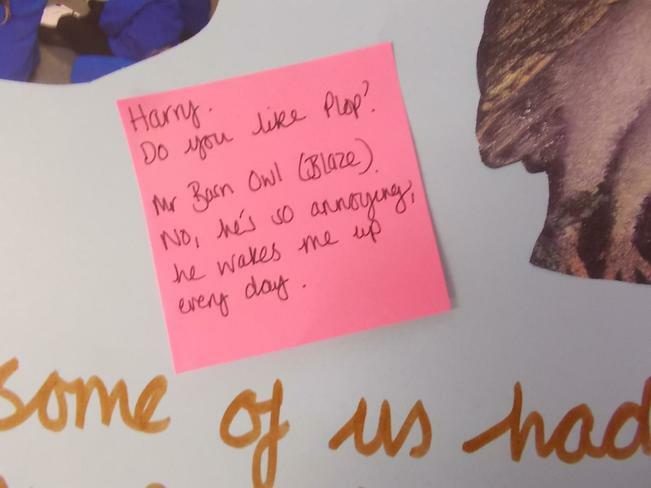 We talked about the characters. 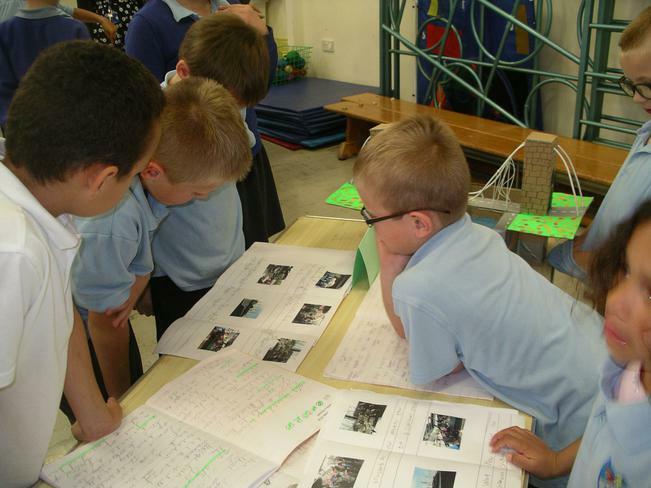 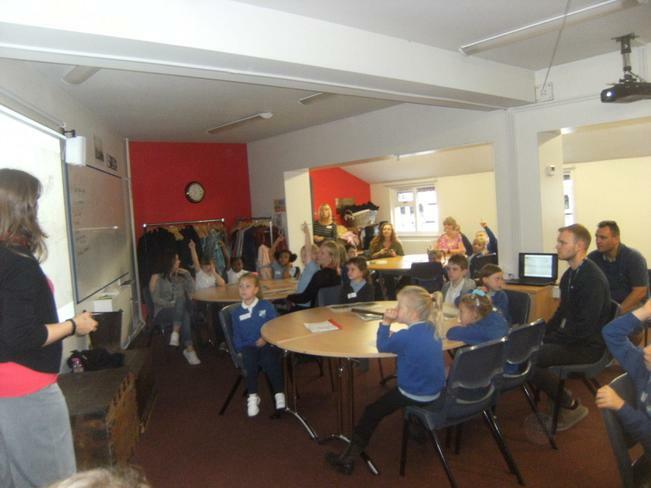 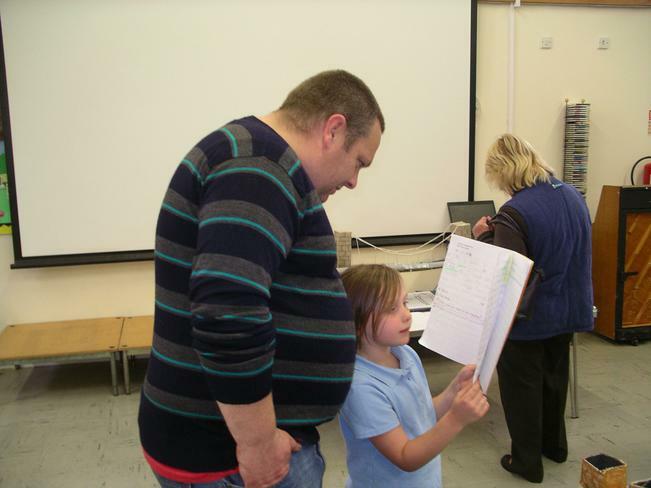 We showed Mums and Dads how we edit and review. 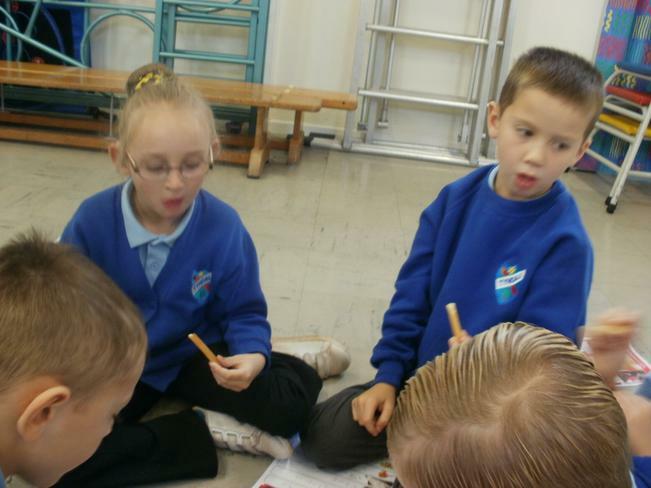 Some of us wrote about the Gingerbread Man. 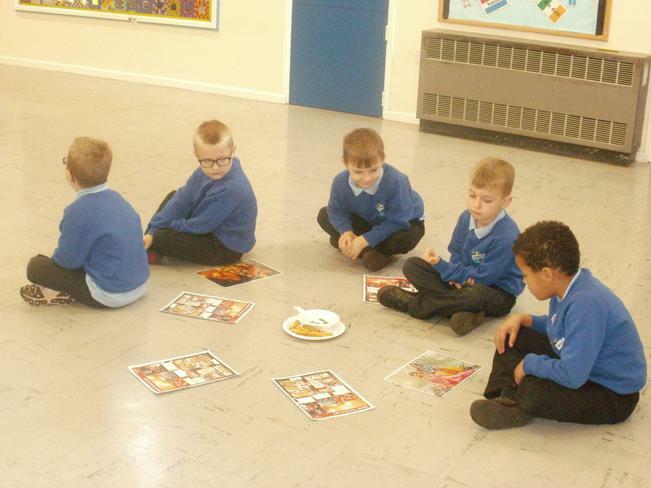 Others chose The Little Red Hen or Goldilocks. 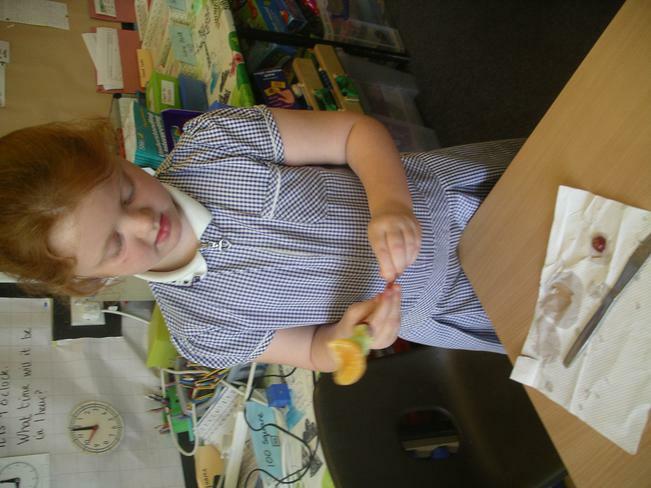 Some wrote about the fox in the Gingerbread Man. 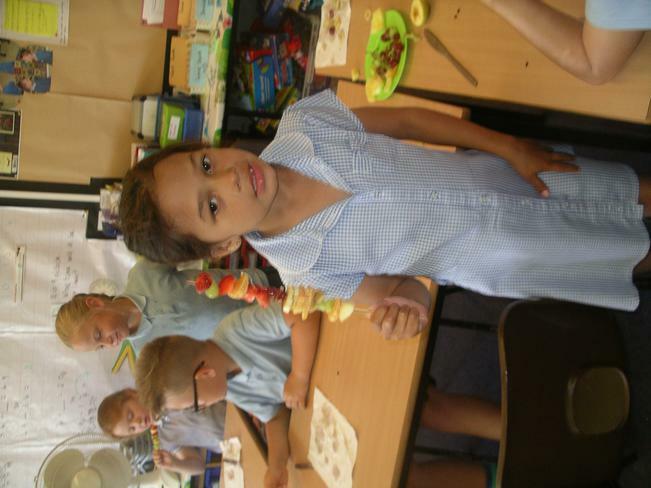 Our topic in Term 4 is Half a World Away. 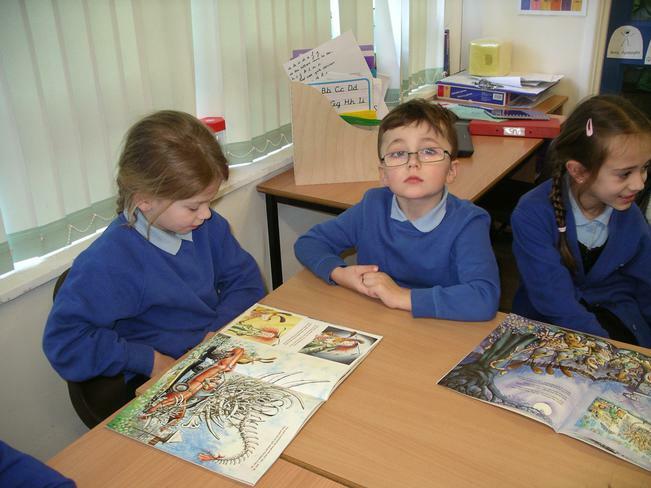 We re-told part of the story of Fantastic Mr. Fox together. 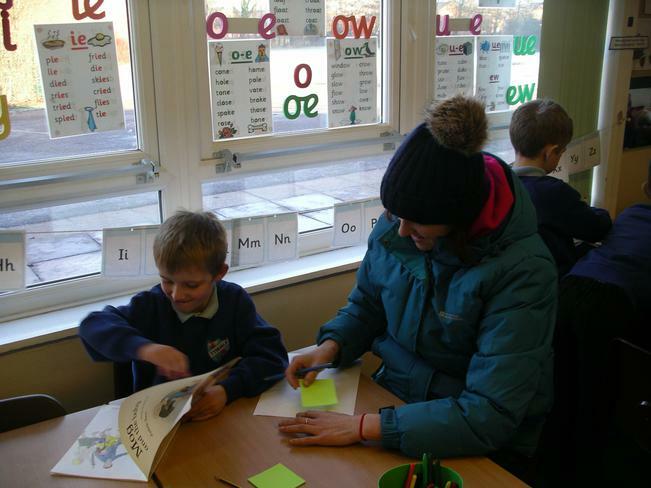 Some parents came in and we shared books. 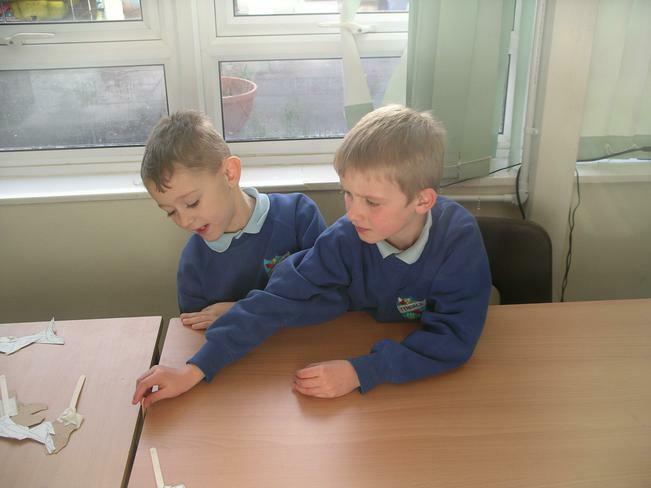 We created a story plan. 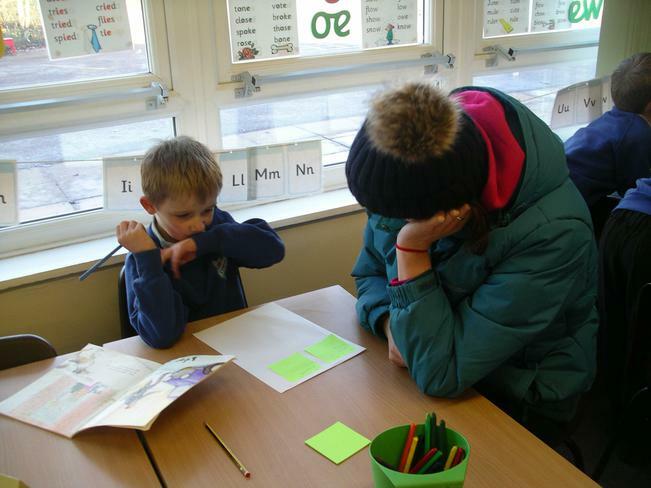 Then we made characters from our story and told our story to a friend. 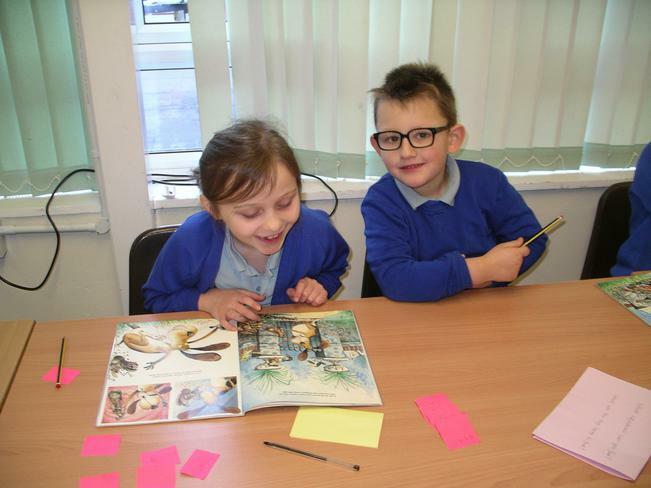 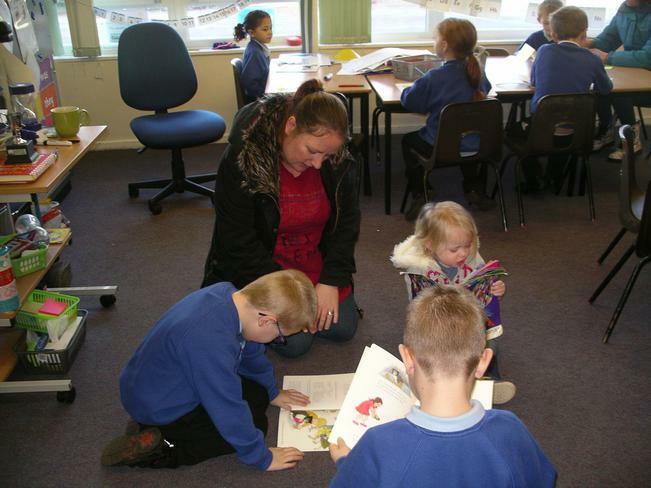 Falcon class enjoyed reading Fantastic Mr. Fox. 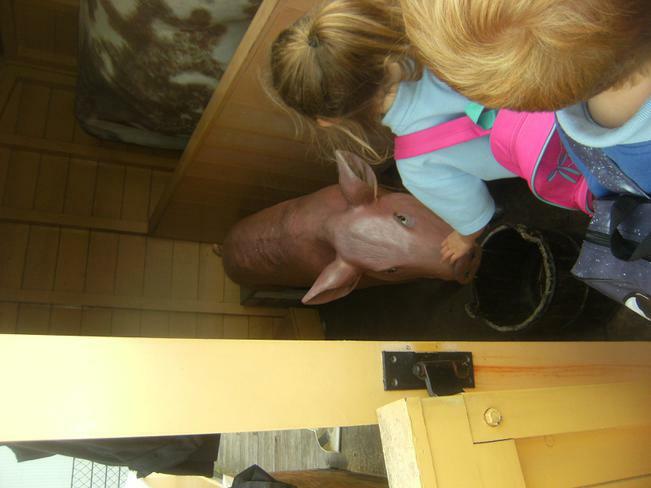 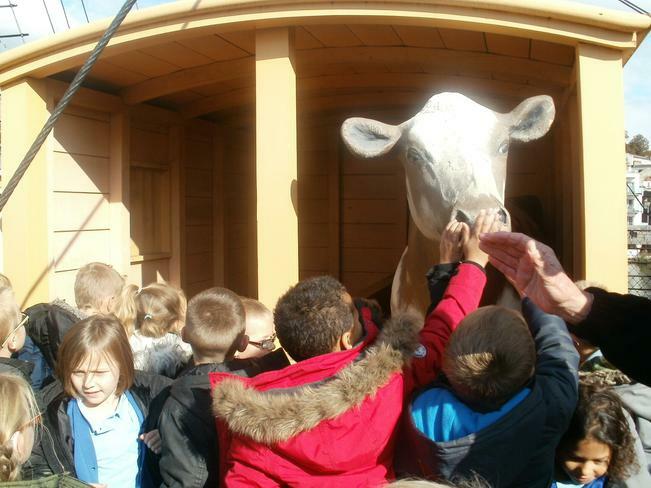 Farmer Bean came to visit and we asked him lots of questions. 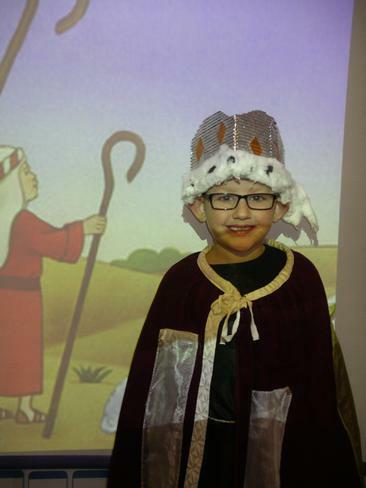 A Christmas story in Santa's grotto - thanks to the Friends of Tyndale for decorating it so beautifully. 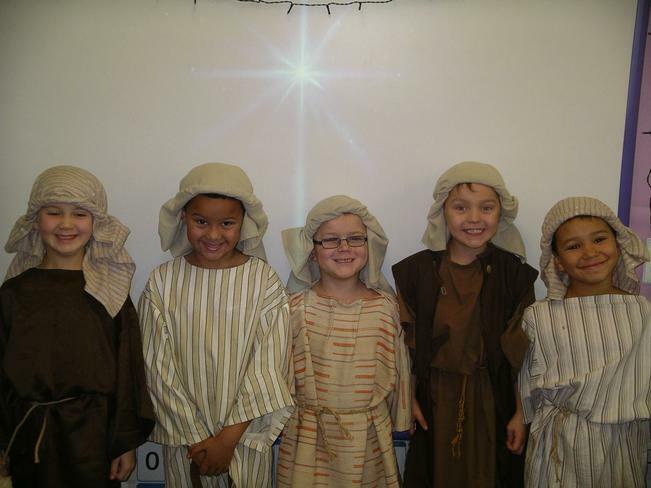 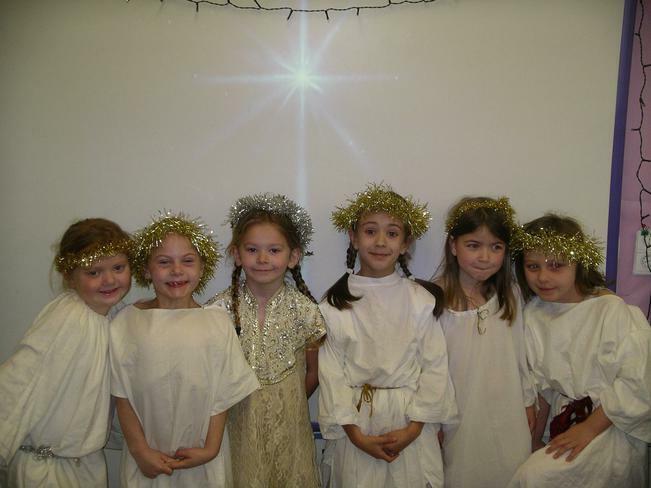 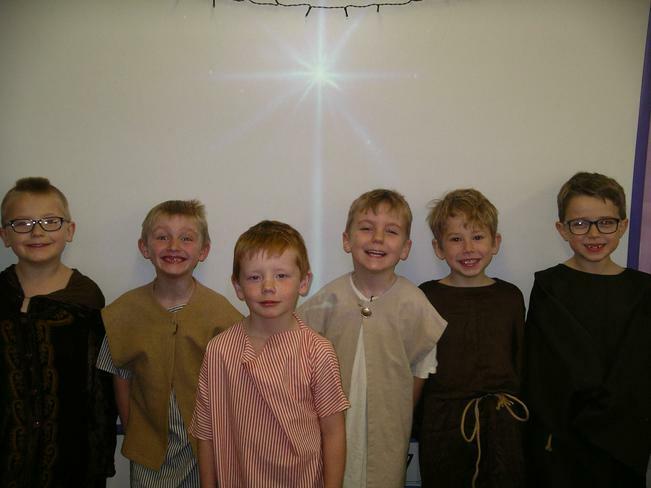 Press photograph of The Sleepy Shepherd cast - some of our cast were poorly when the photographer came. 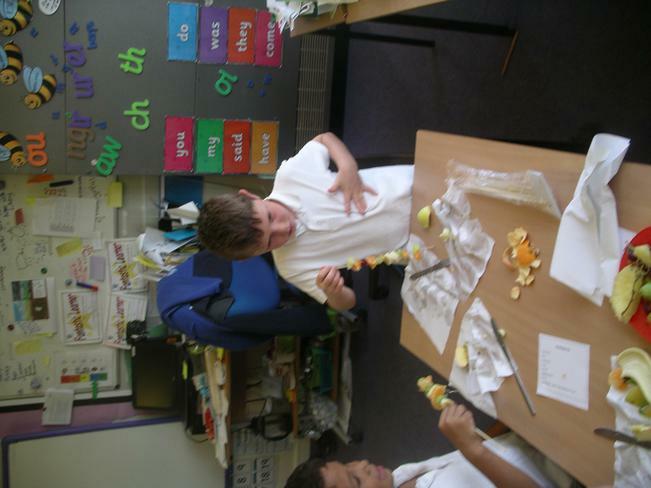 Making poppies to help with poppy waterfall.